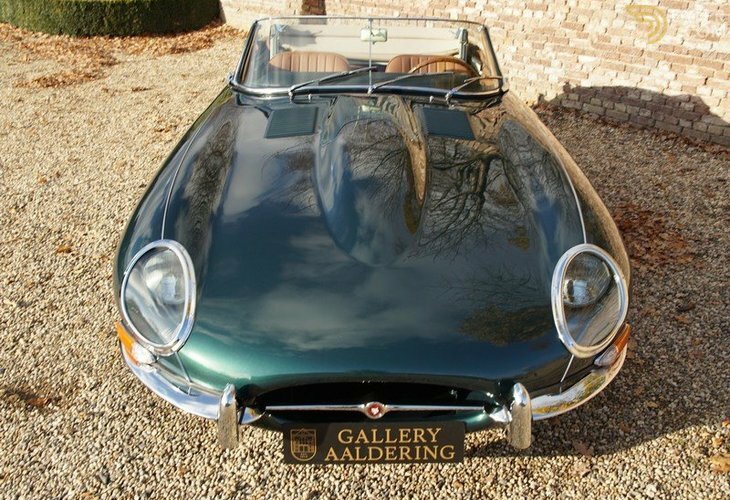 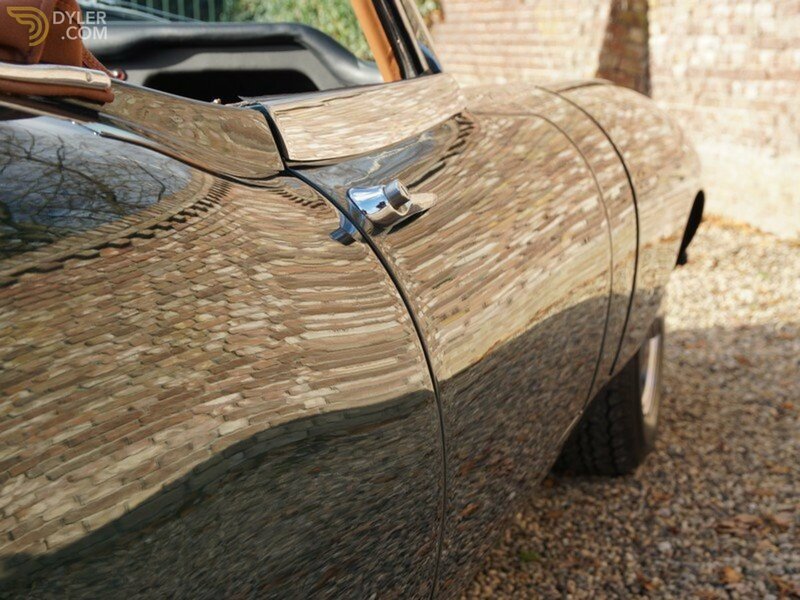 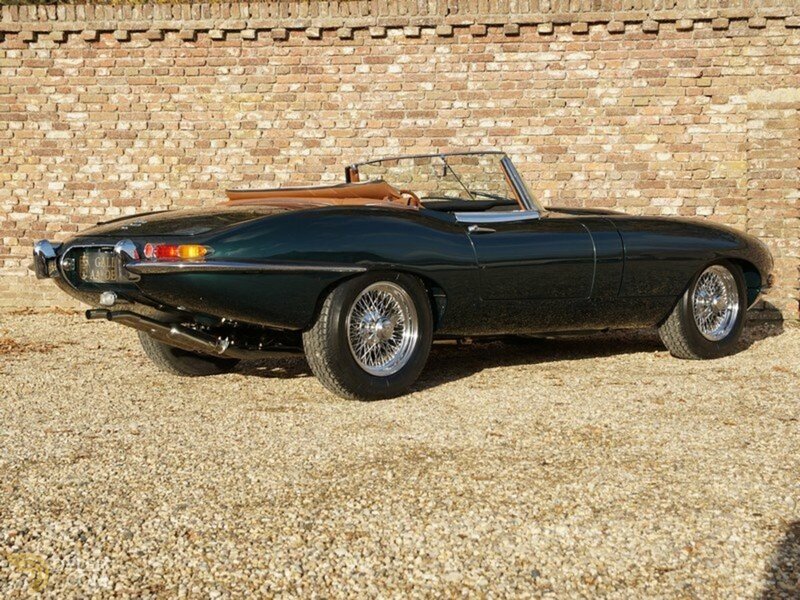 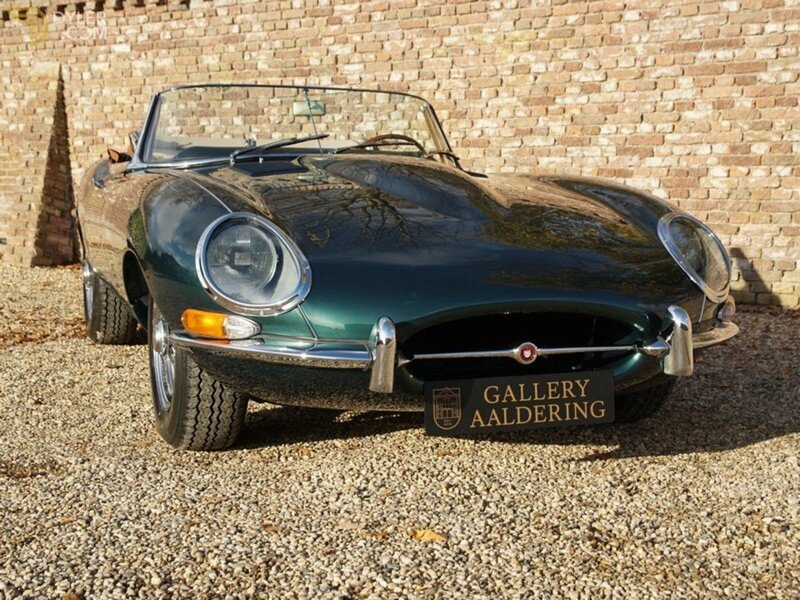 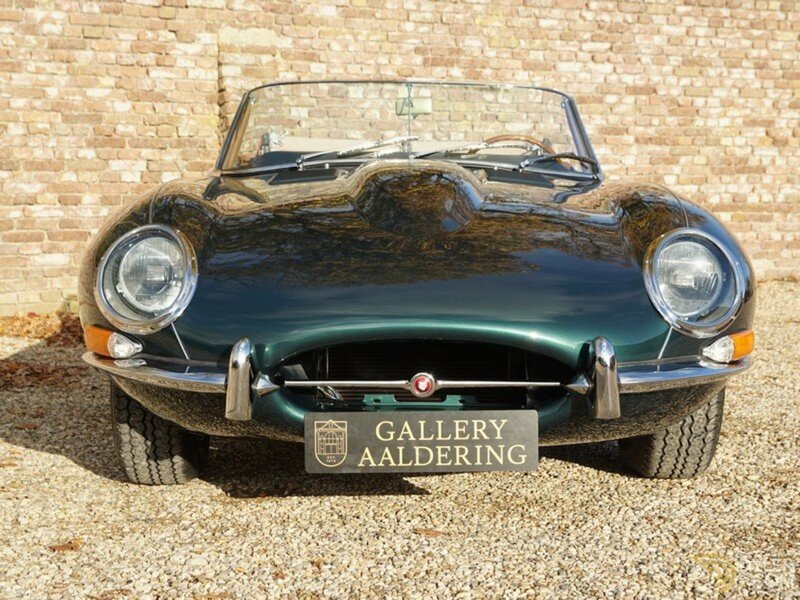 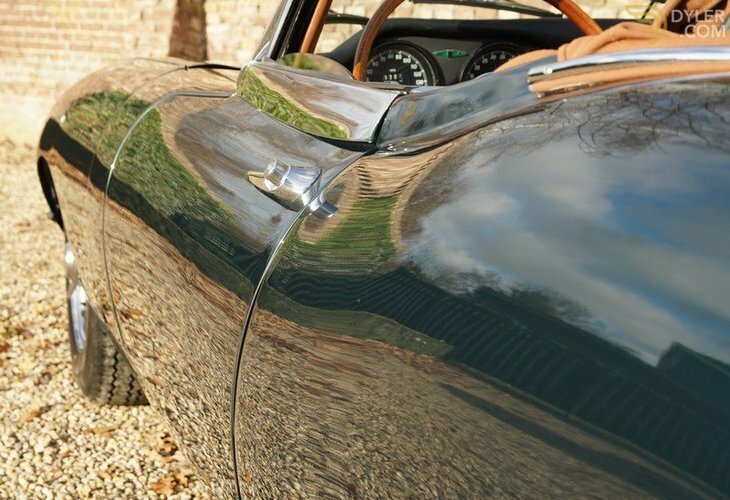 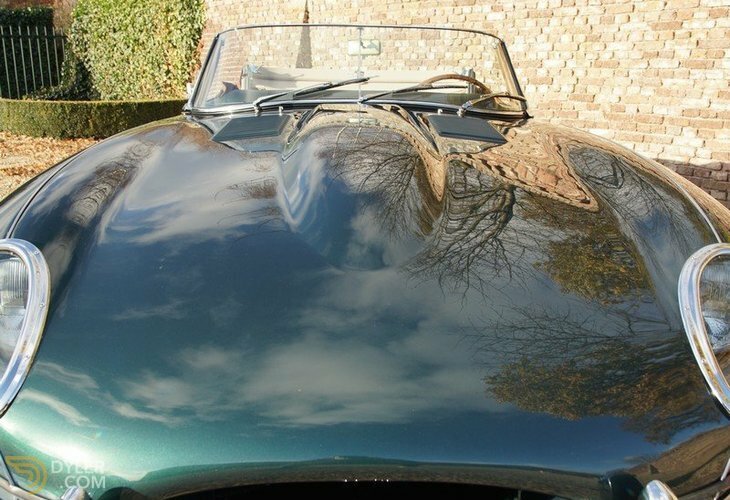 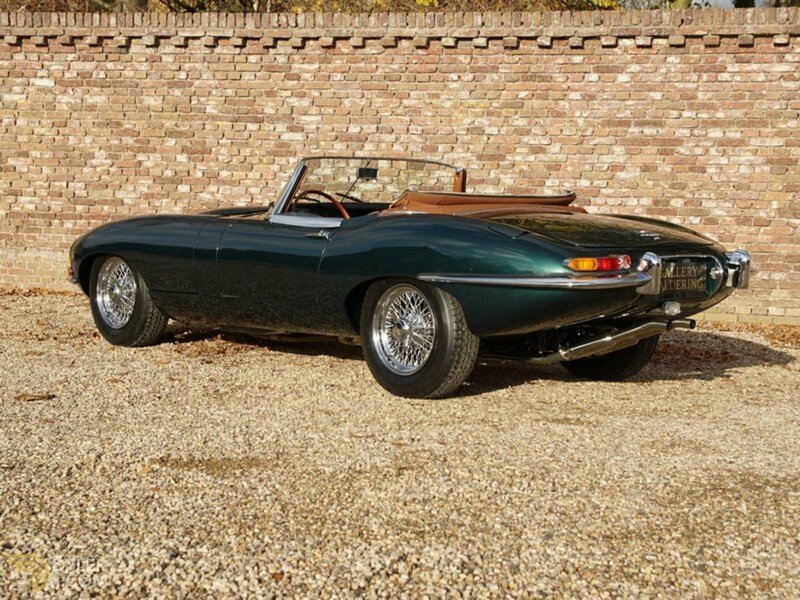 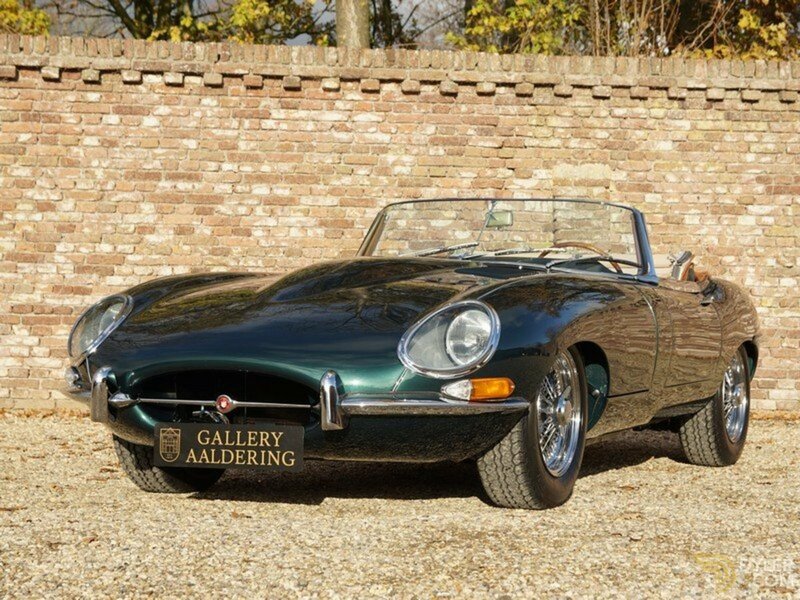 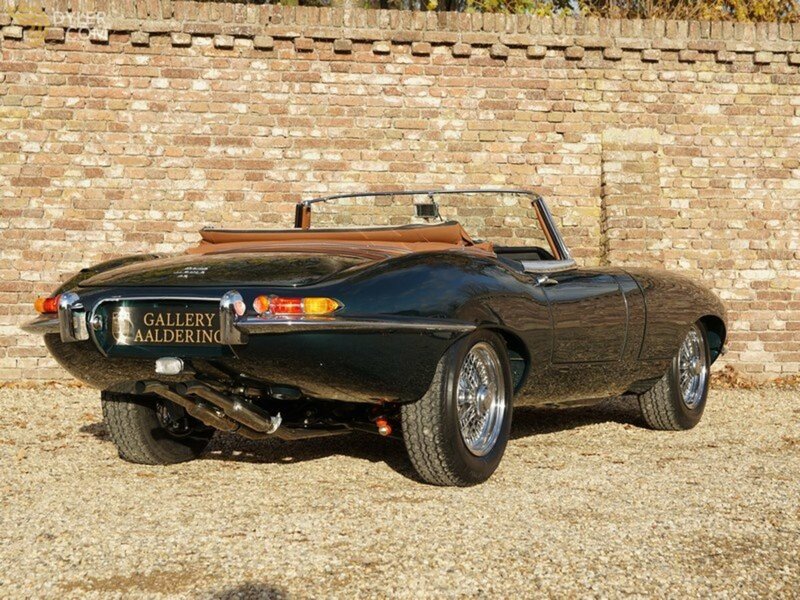 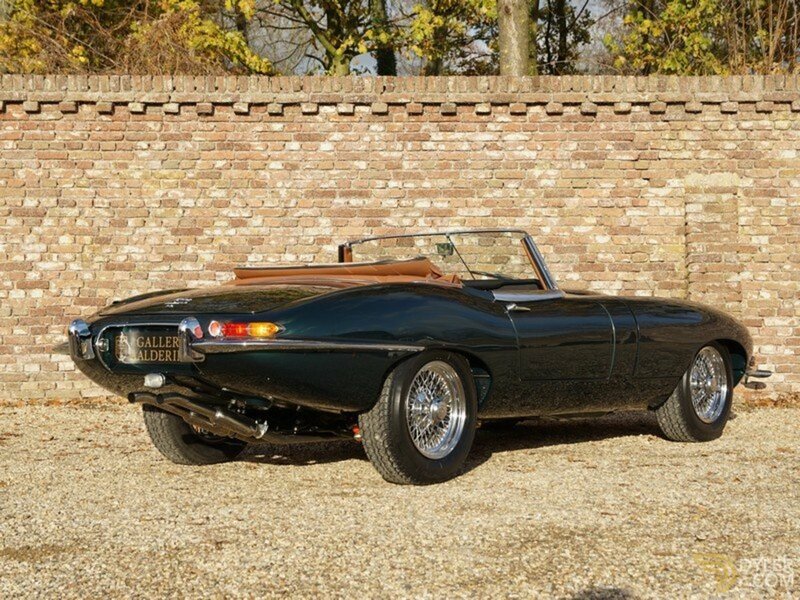 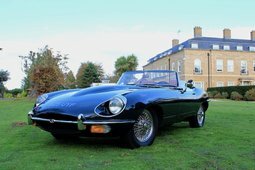 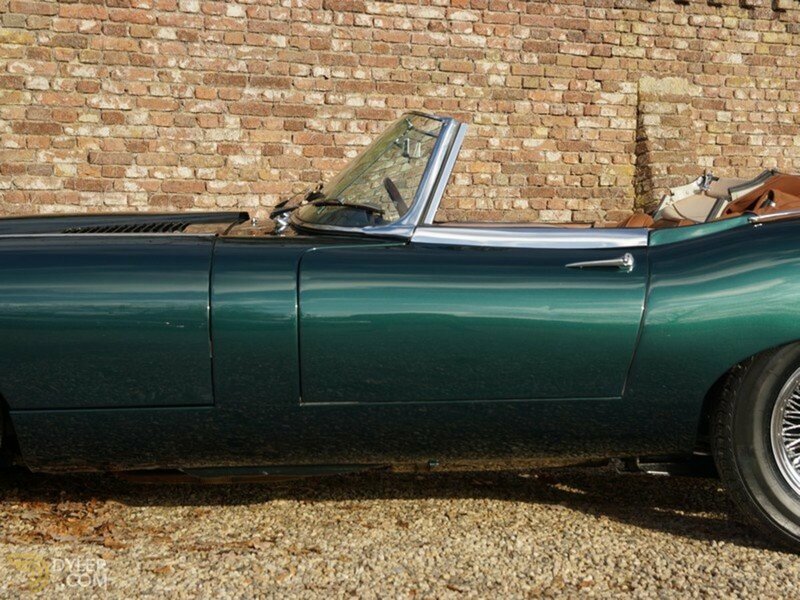 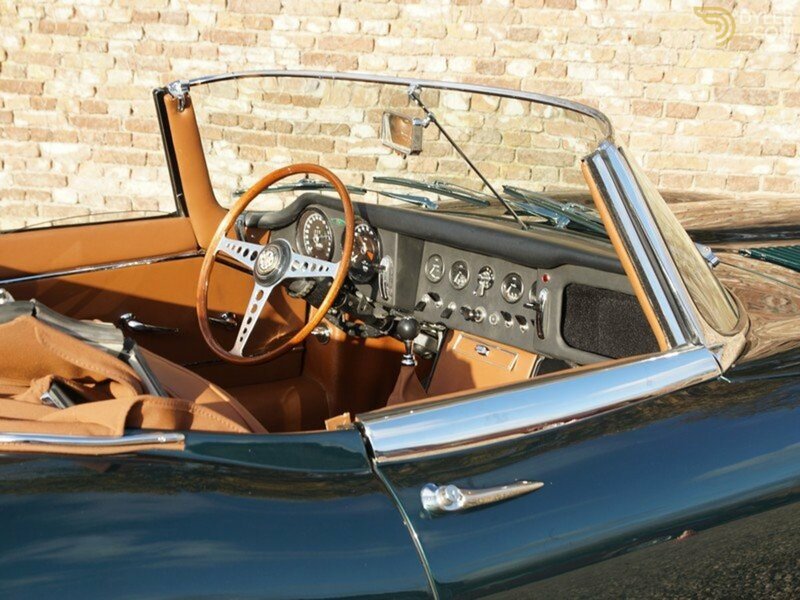 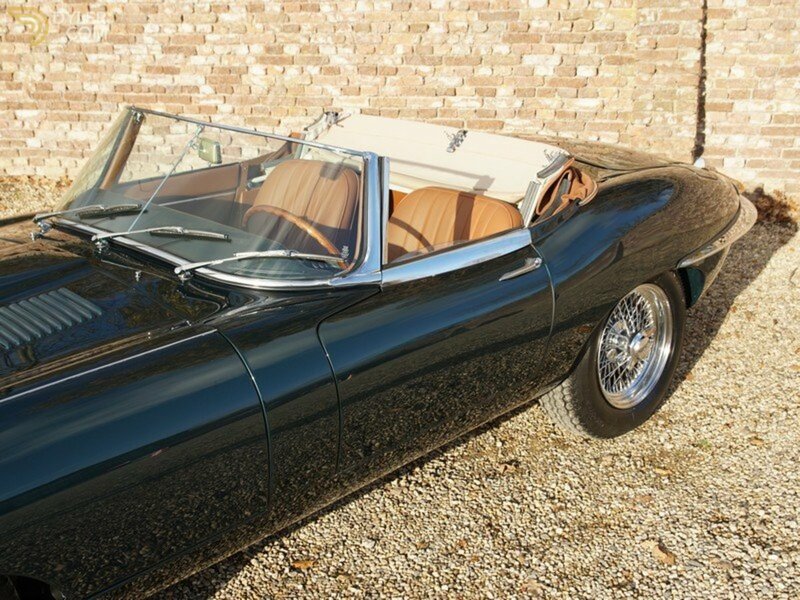 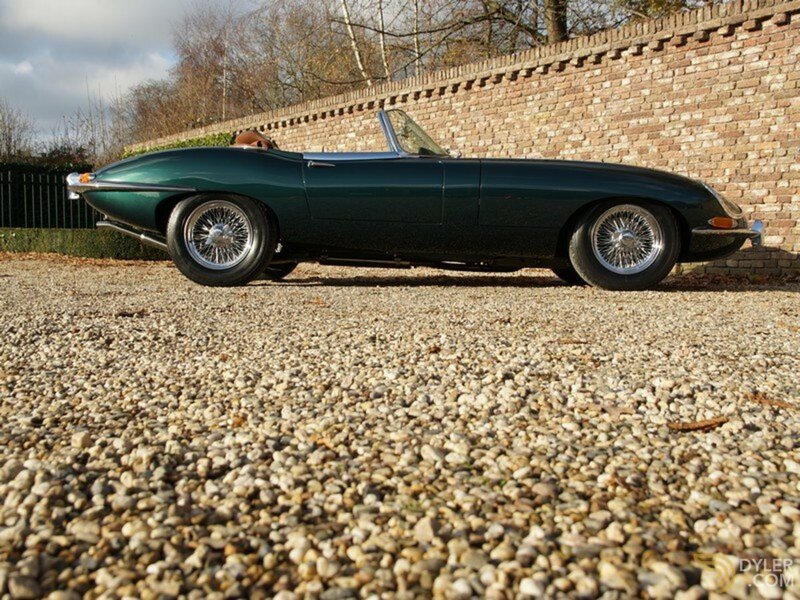 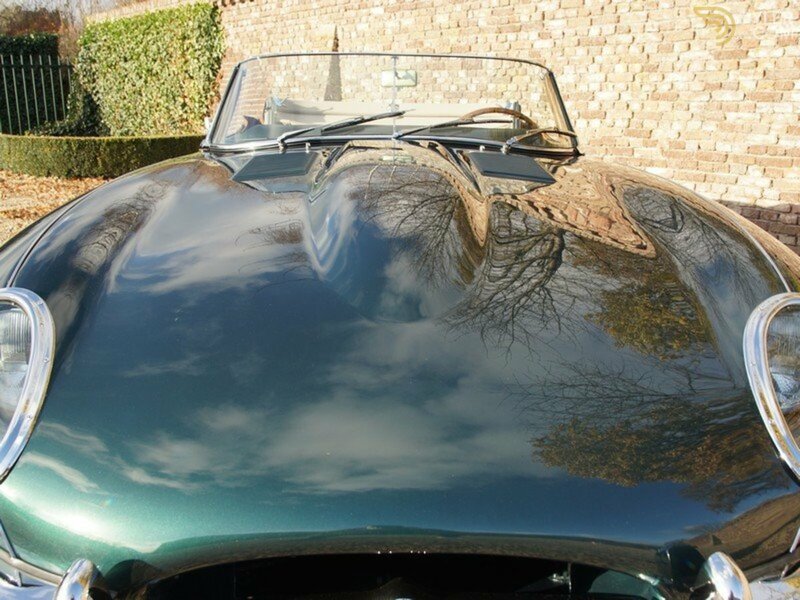 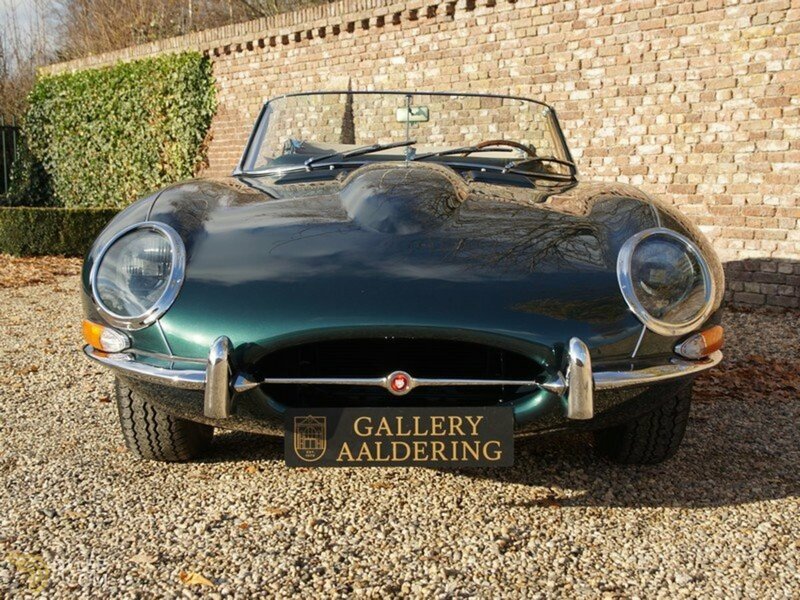 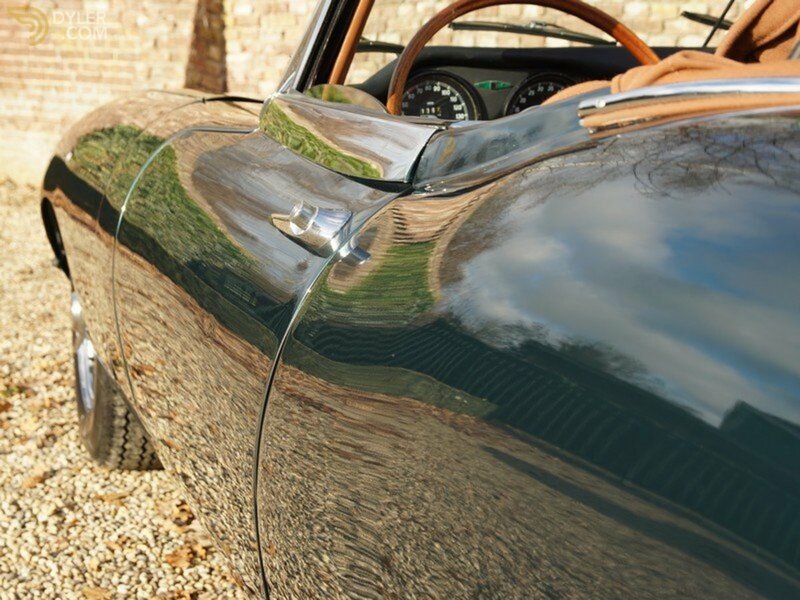 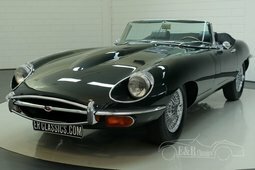 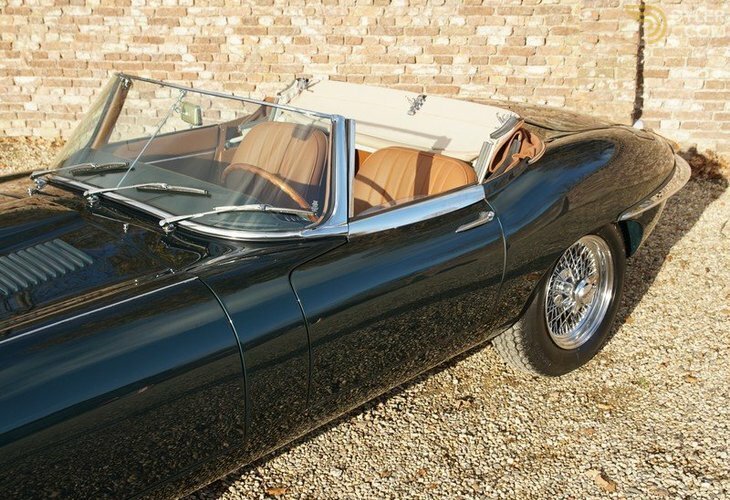 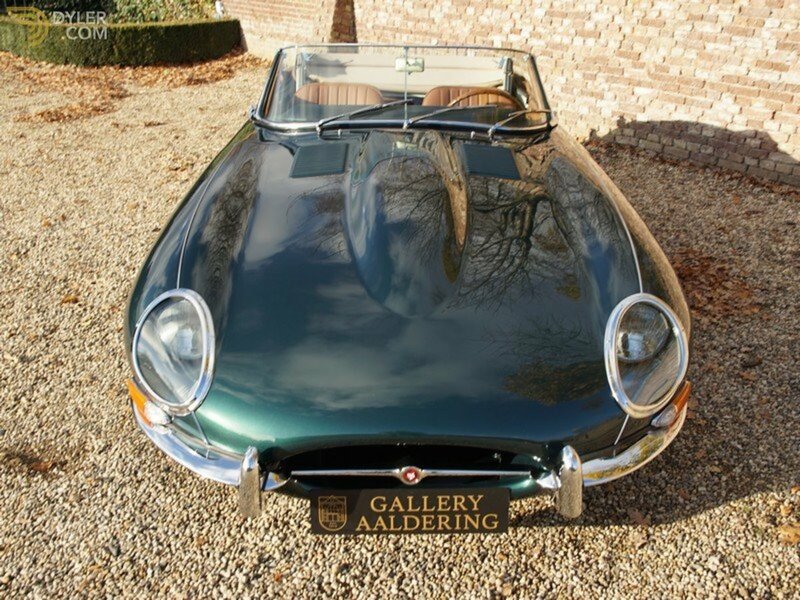 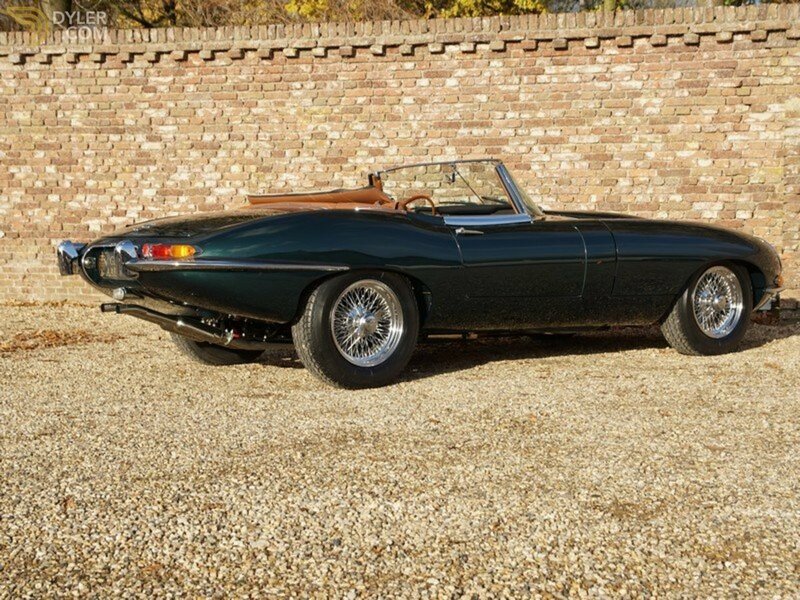 A simply beautiful 1966 Jaguar E-Type 4.2 Series 1 convertible is now available at our showroom. 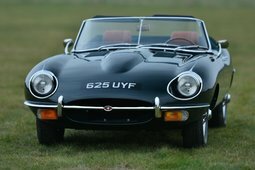 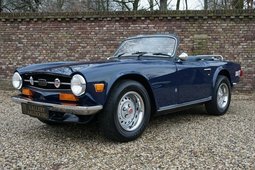 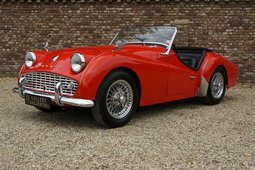 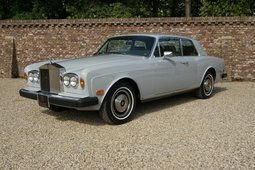 It was supplied from new to Mr Thomas J. Callahan on the 2nd September 1966. 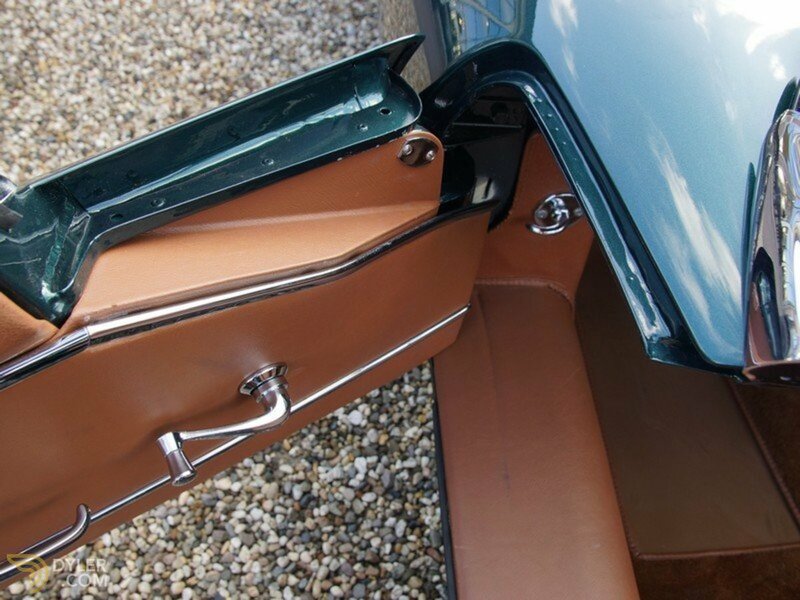 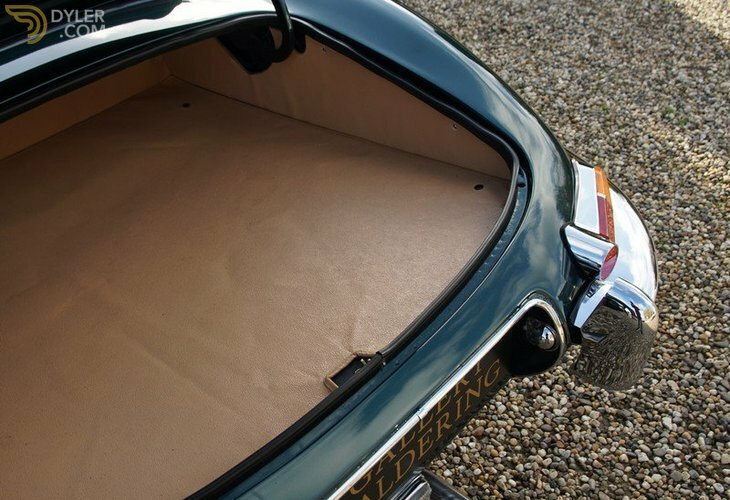 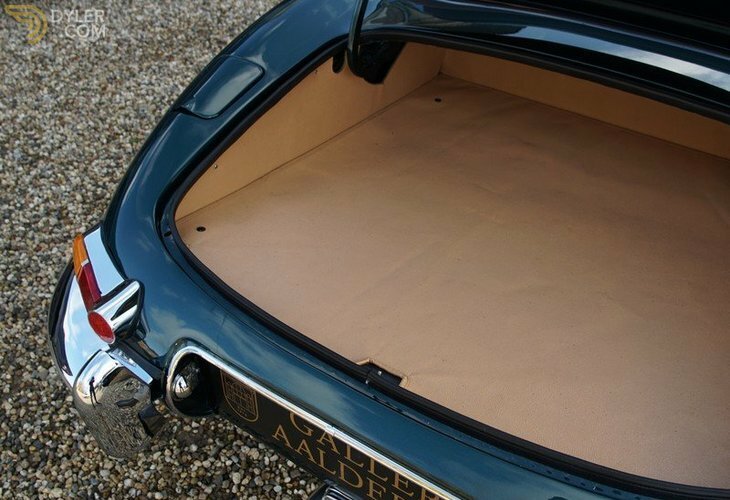 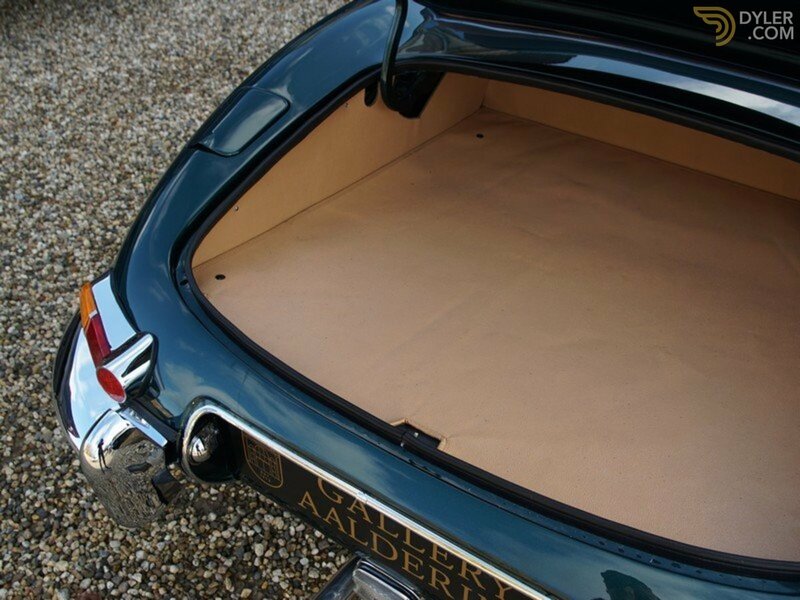 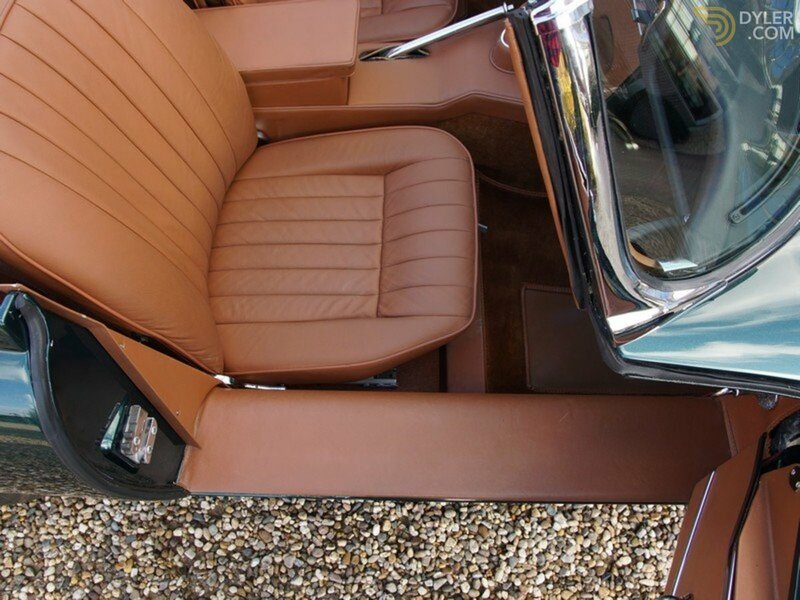 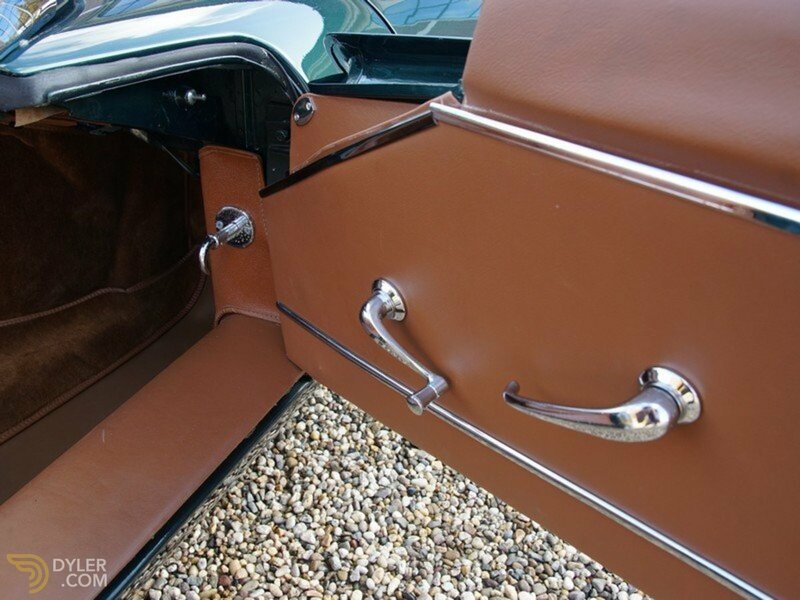 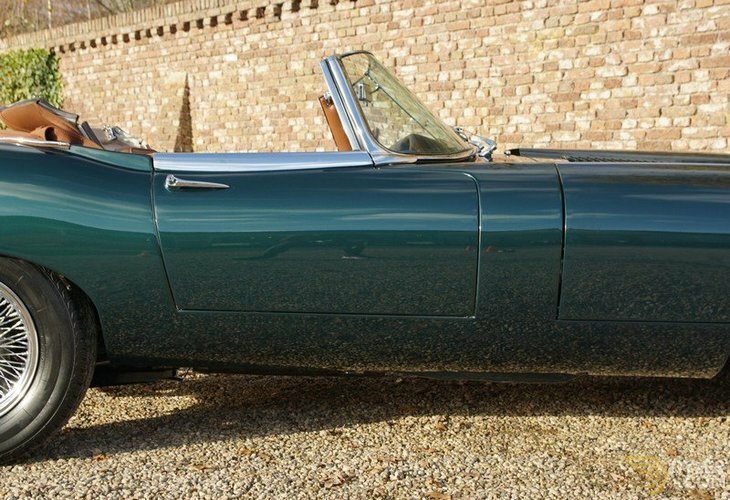 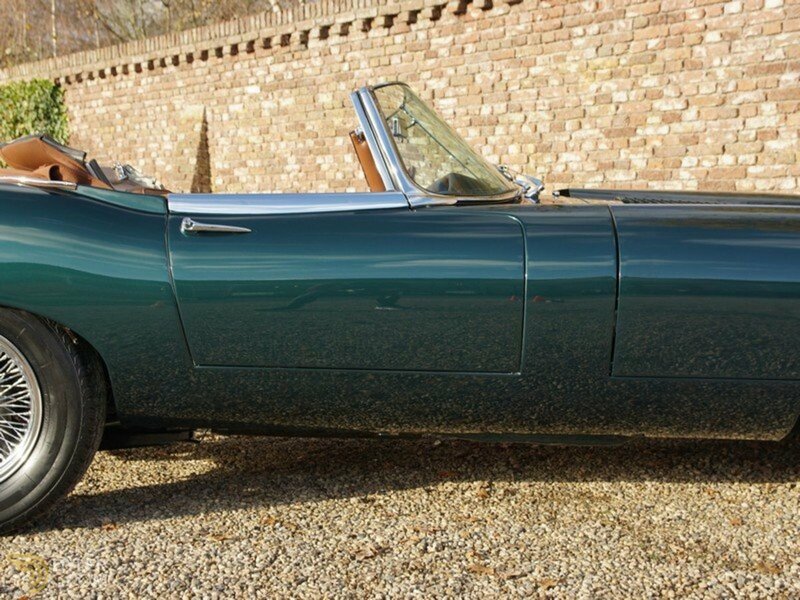 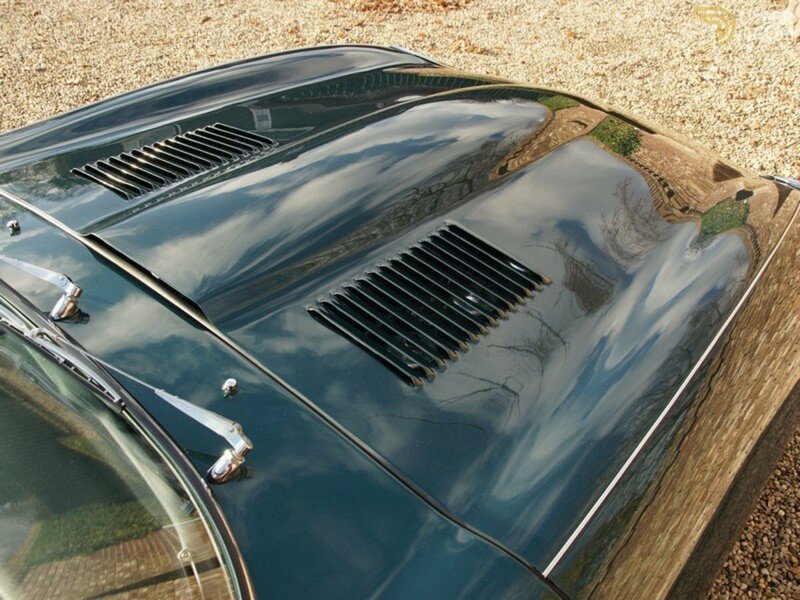 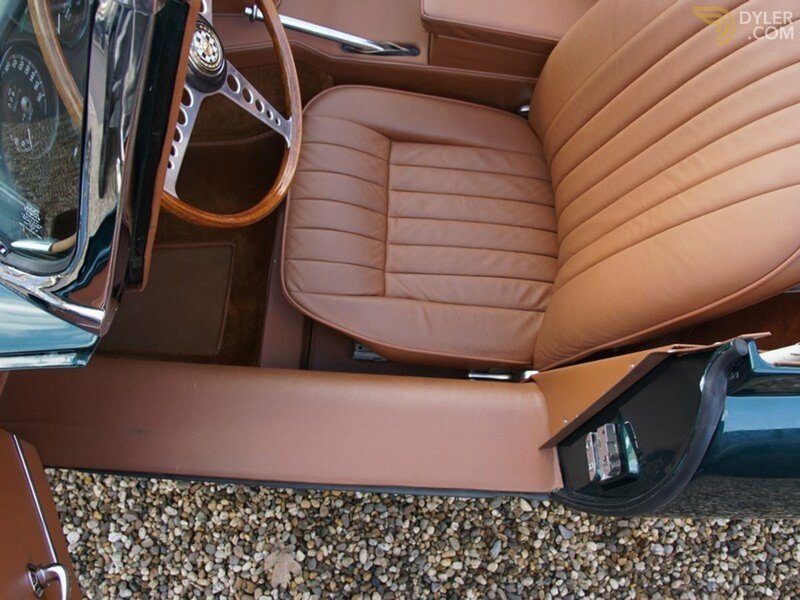 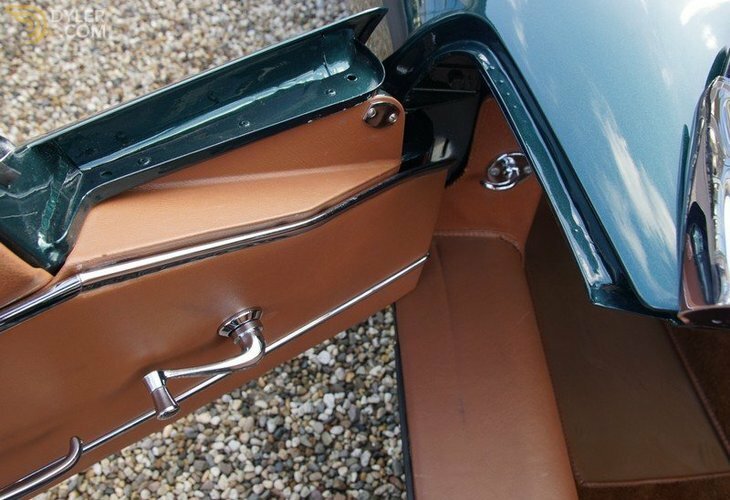 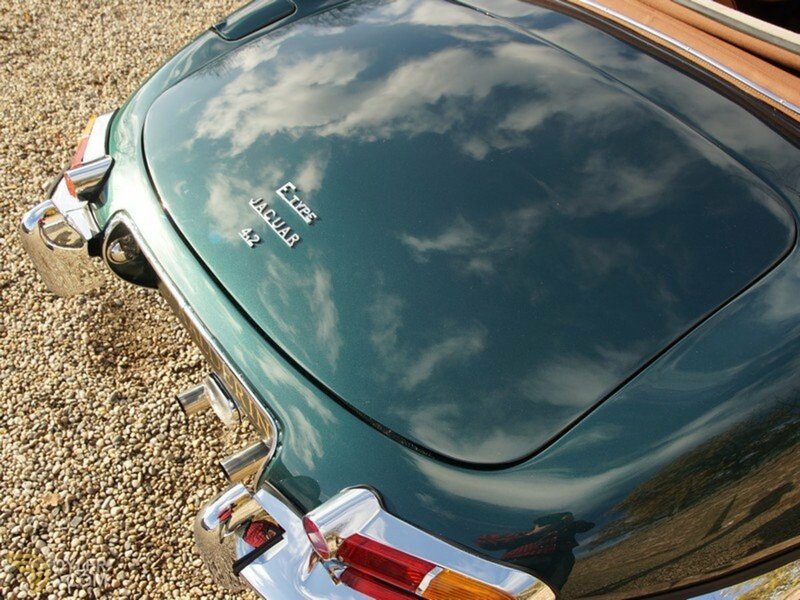 It has the very attractive ‘Opalescent Dark Green’ with a tan trim finish. 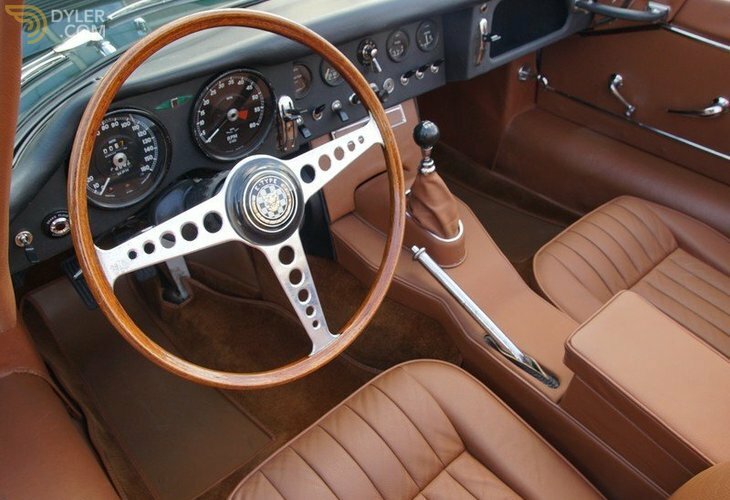 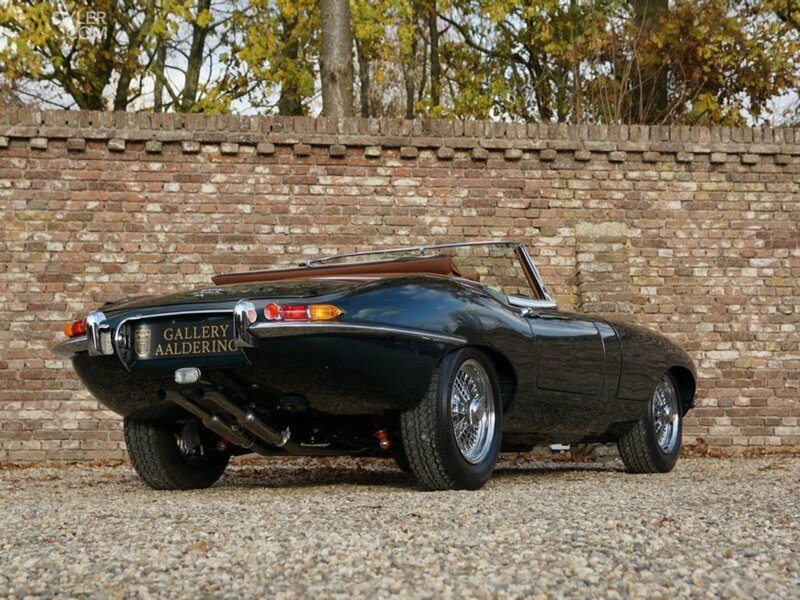 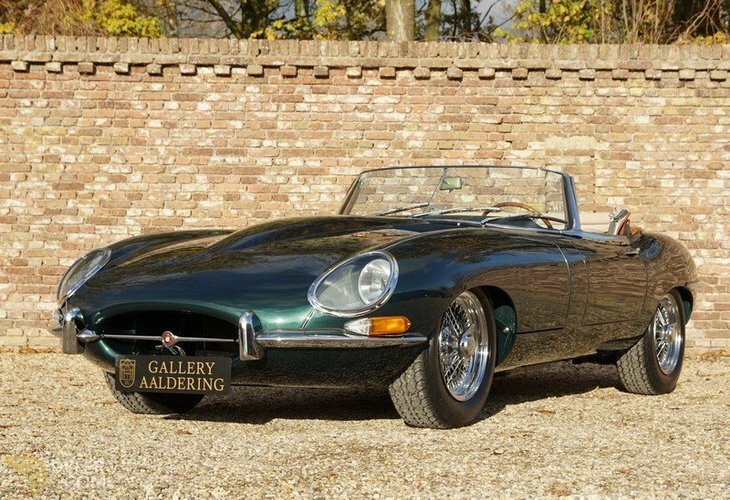 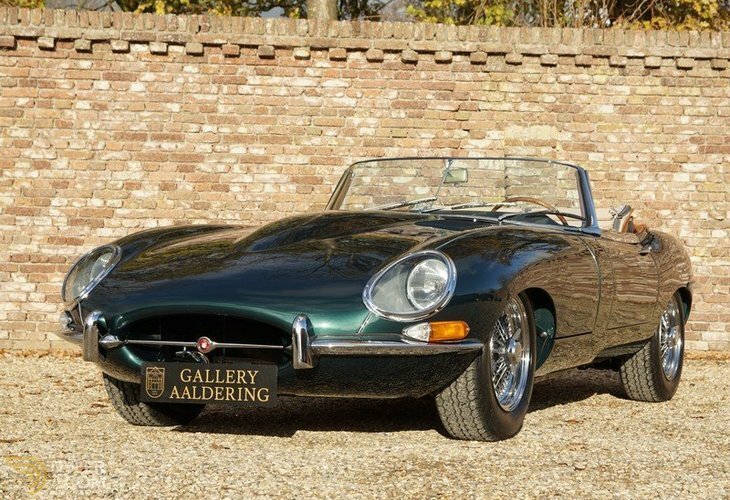 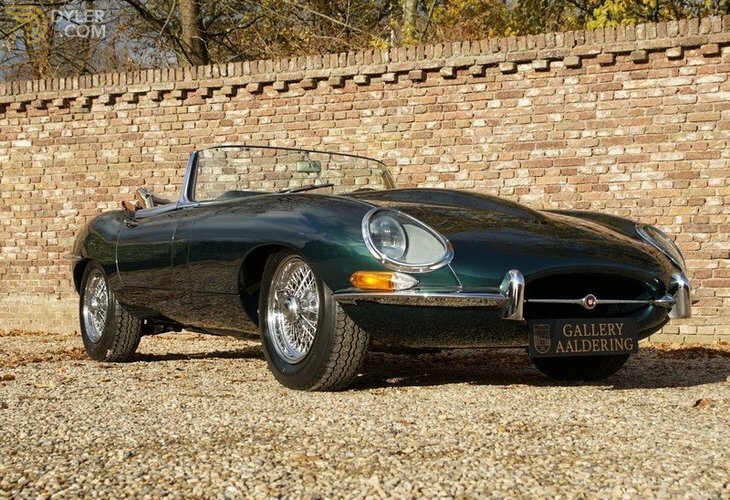 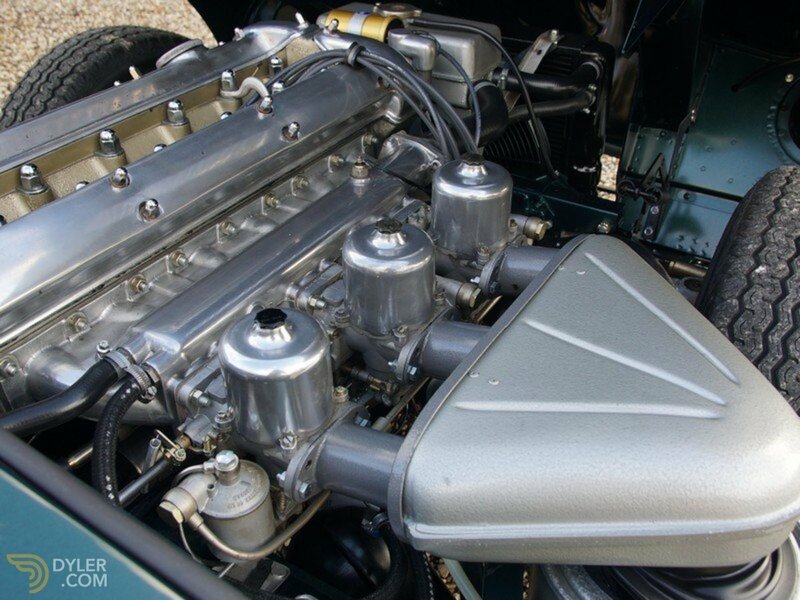 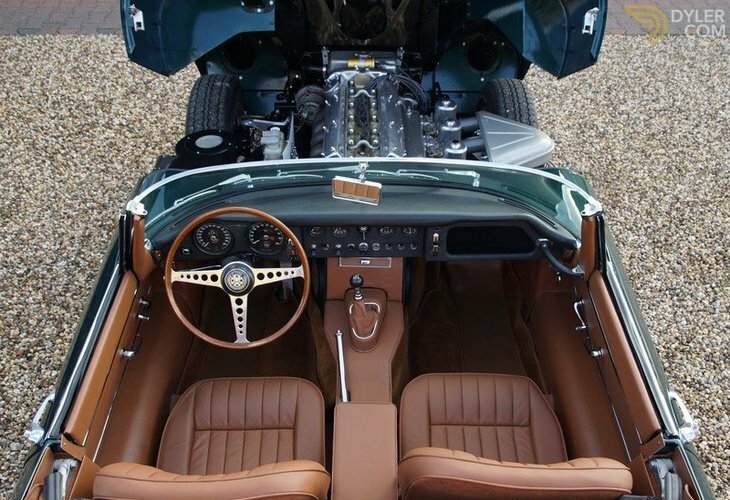 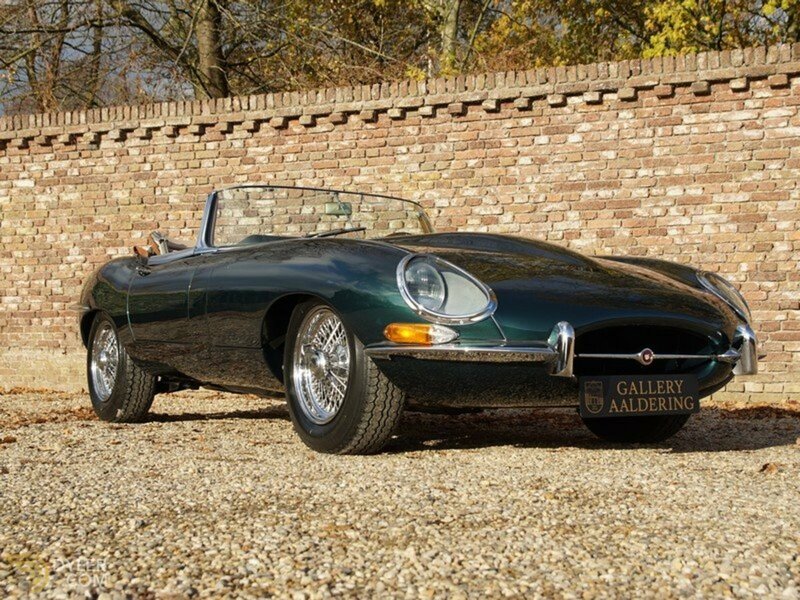 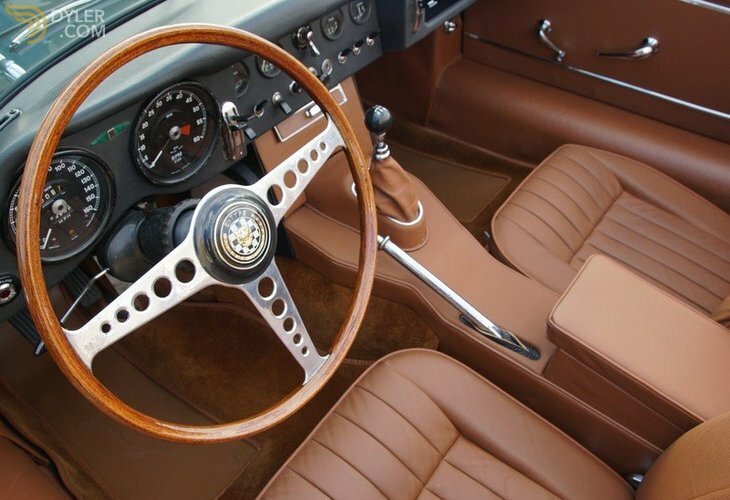 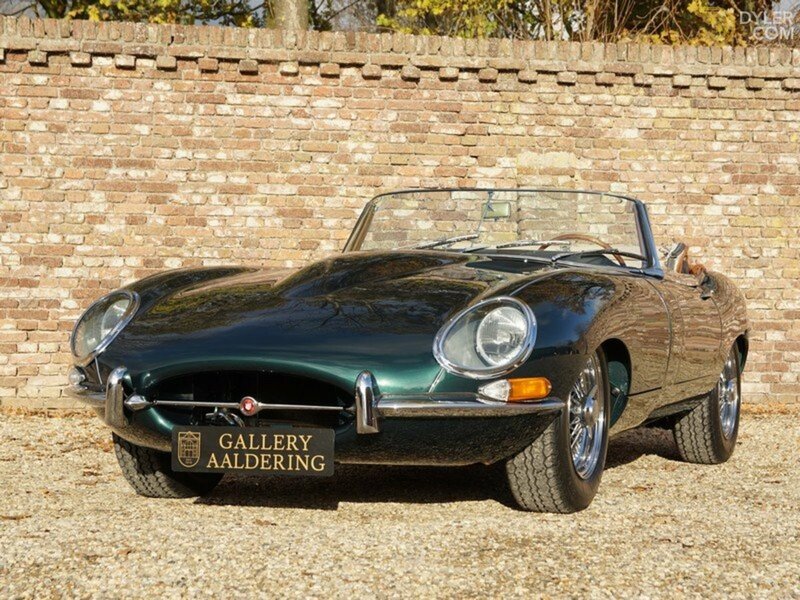 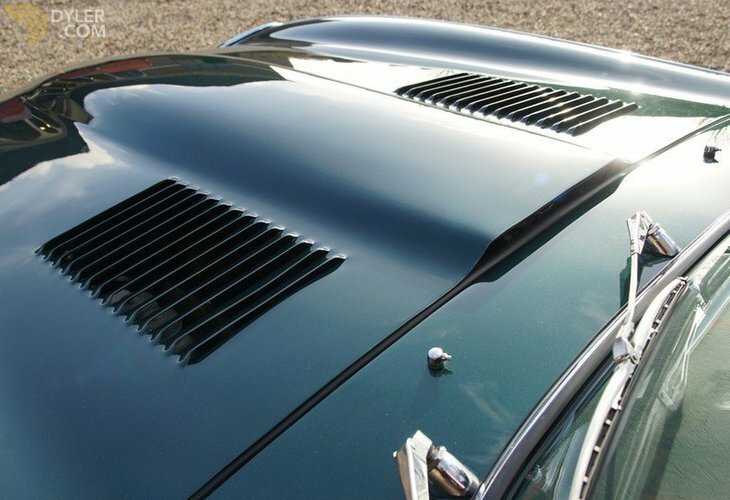 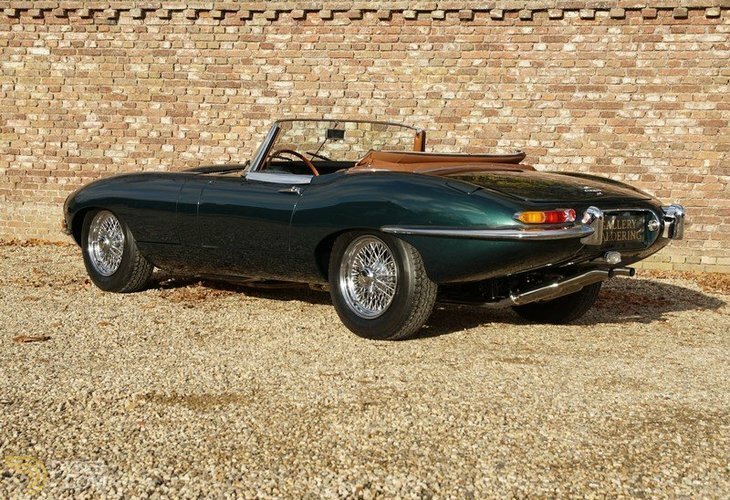 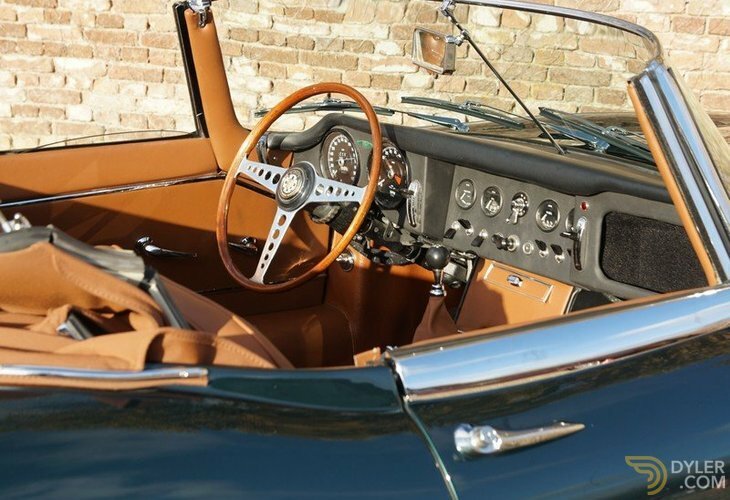 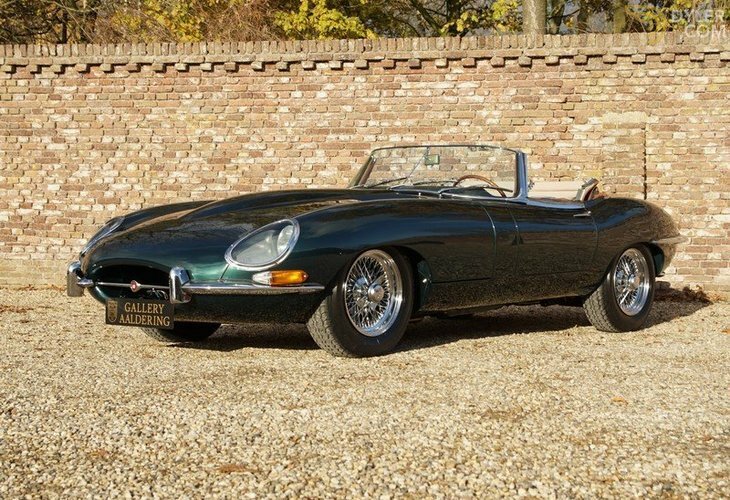 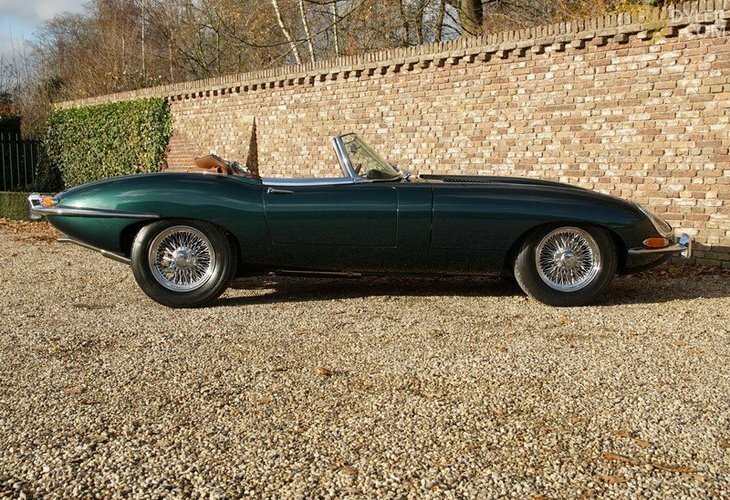 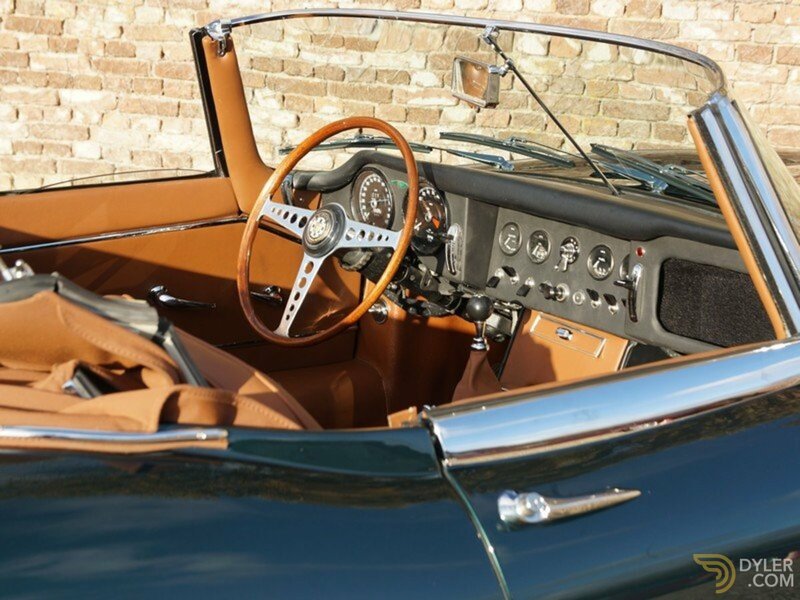 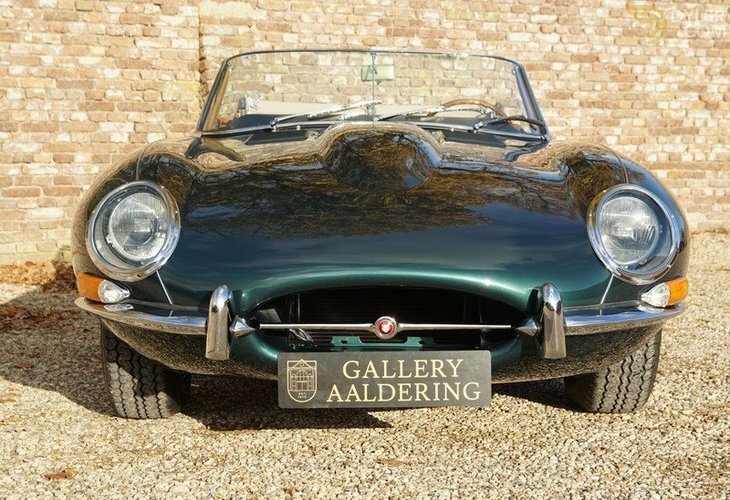 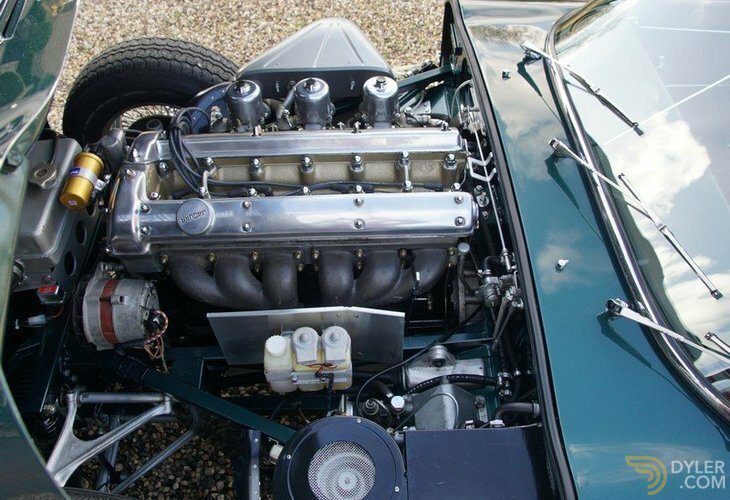 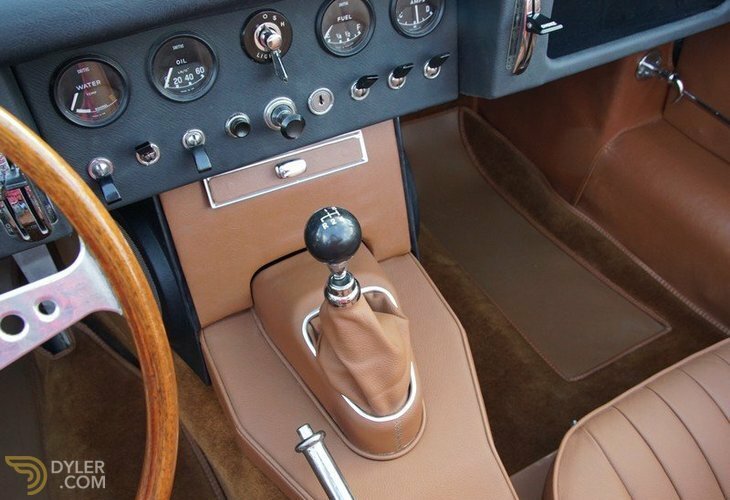 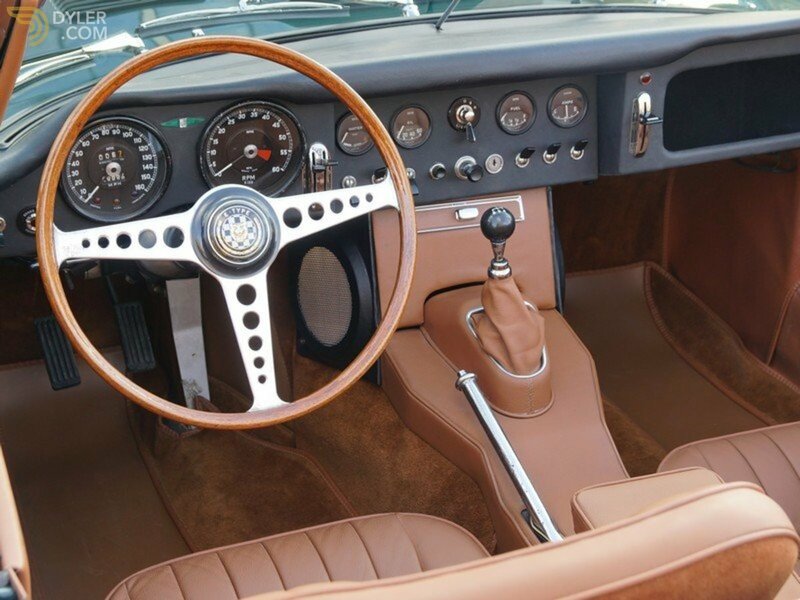 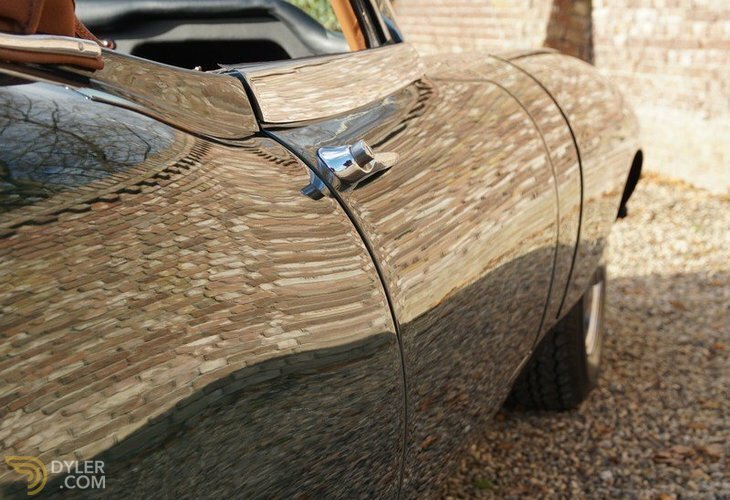 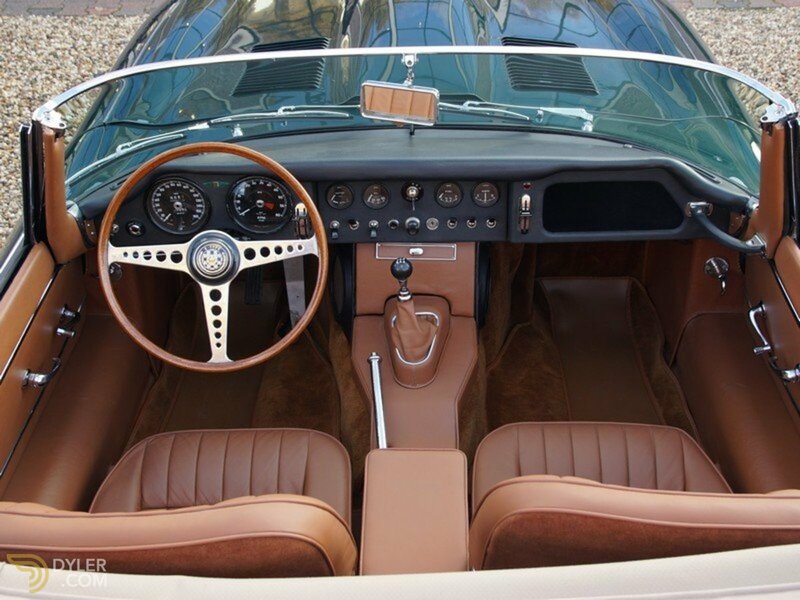 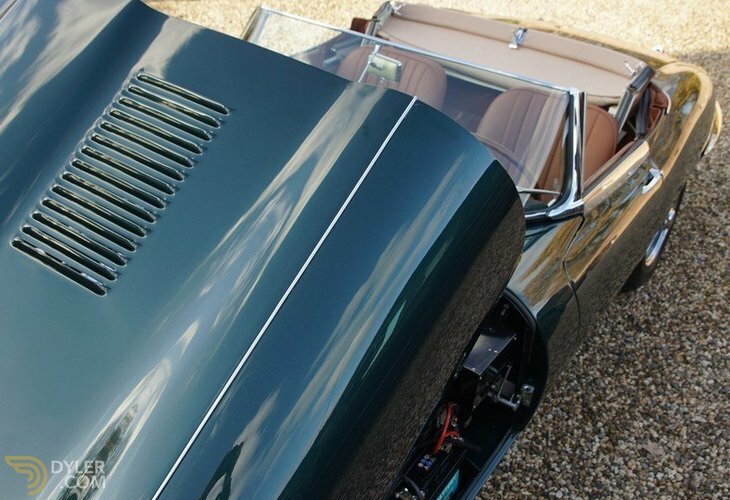 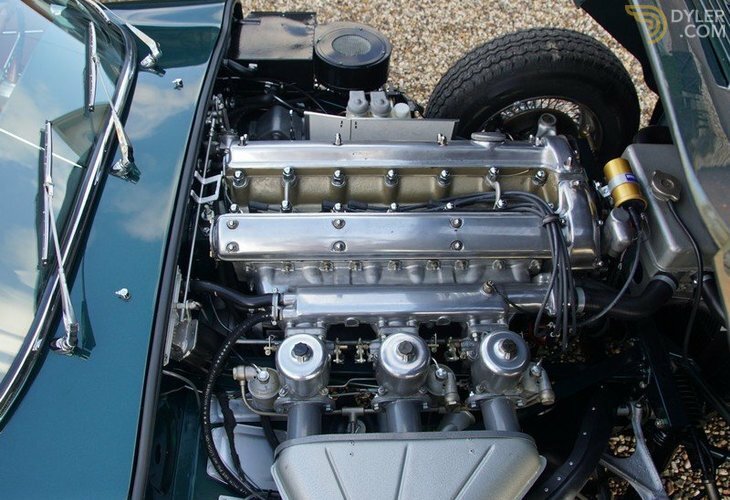 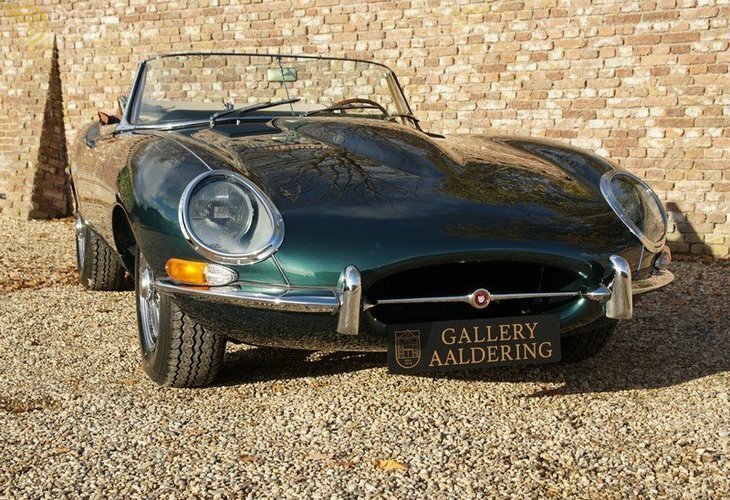 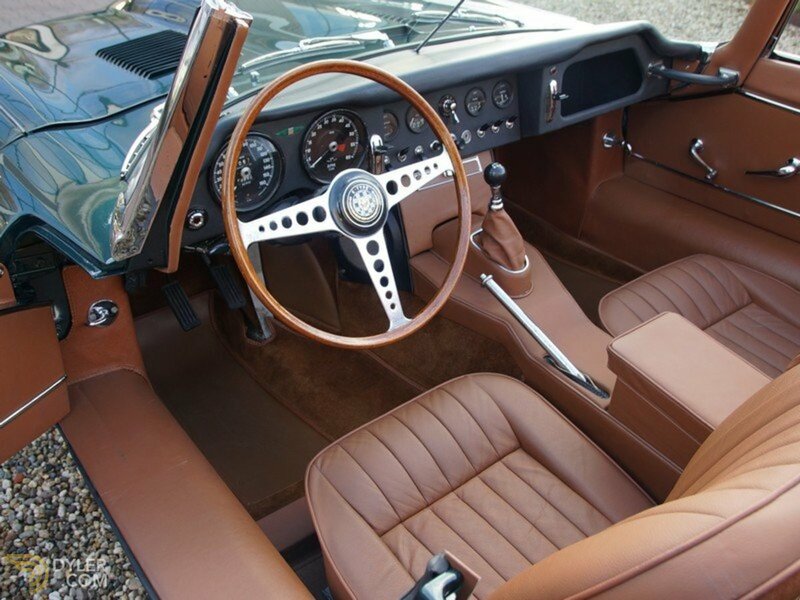 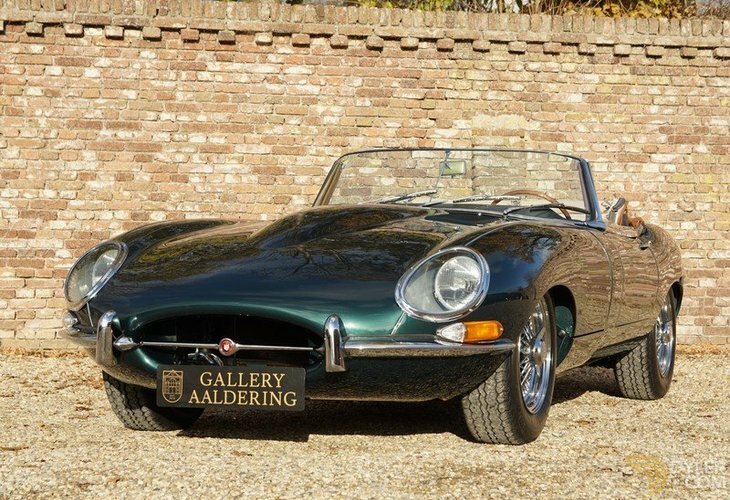 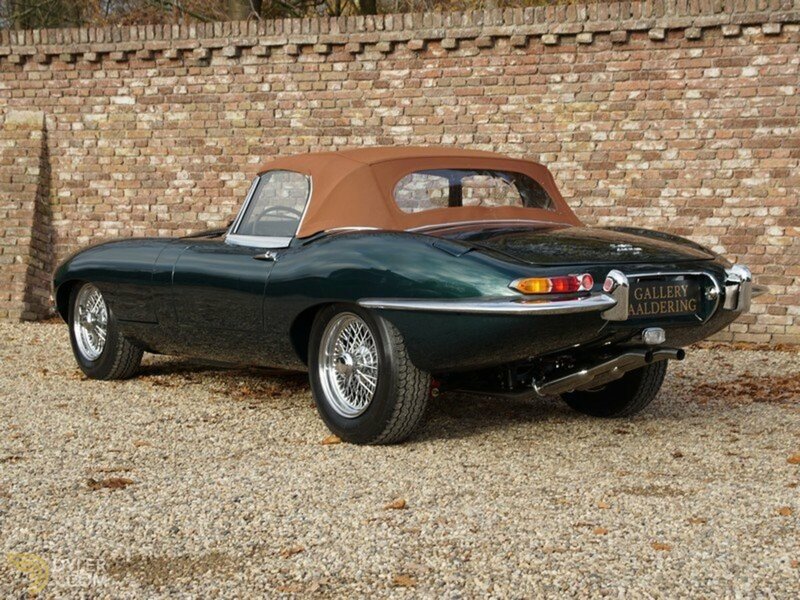 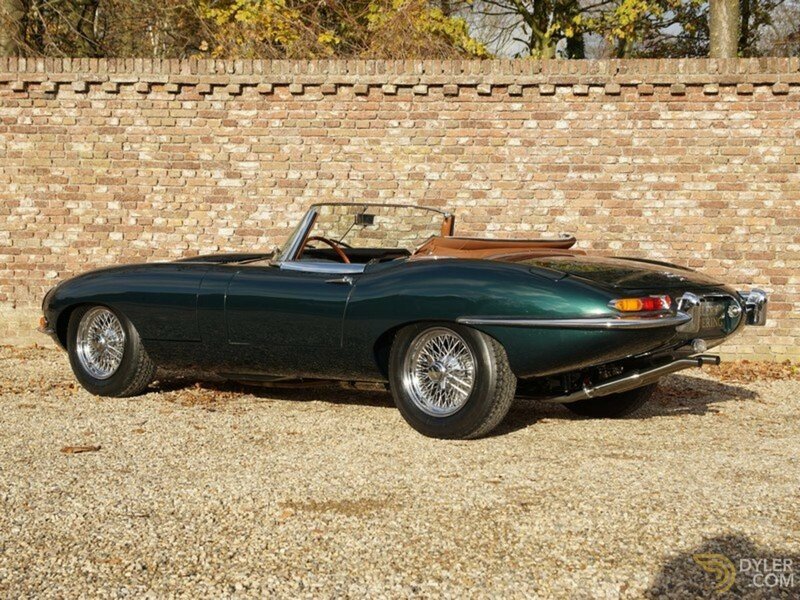 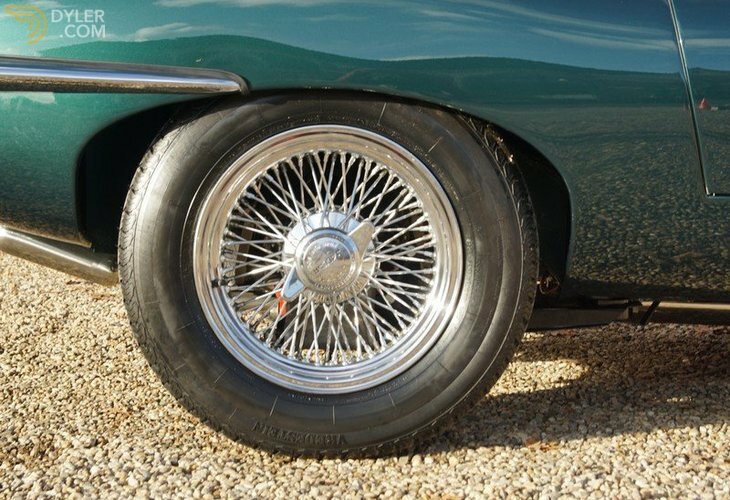 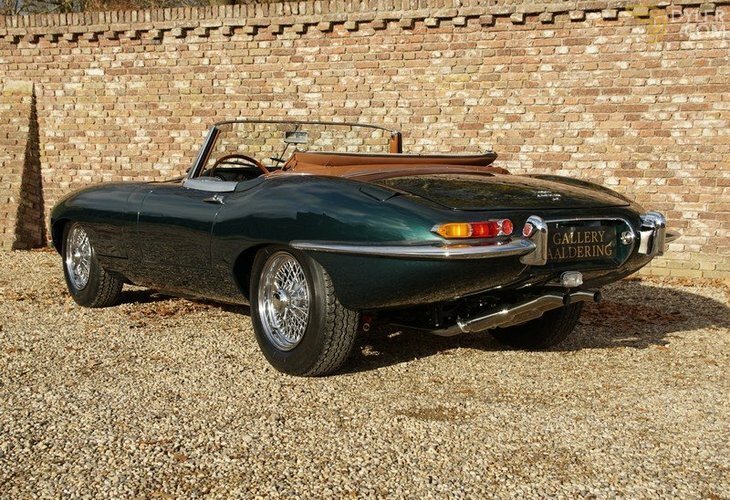 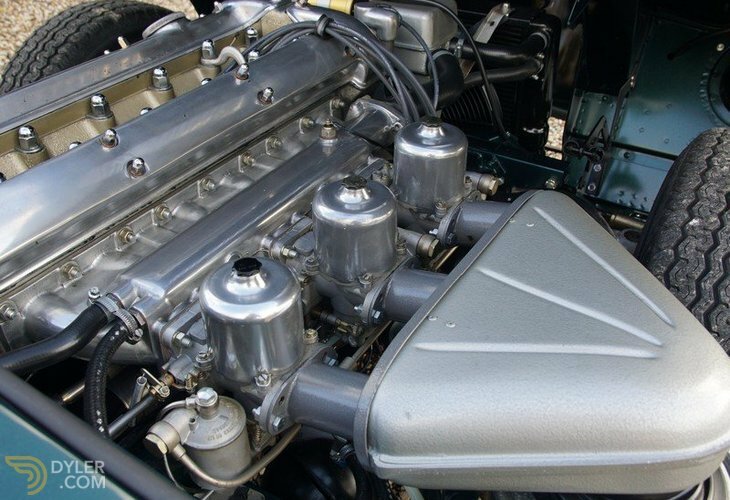 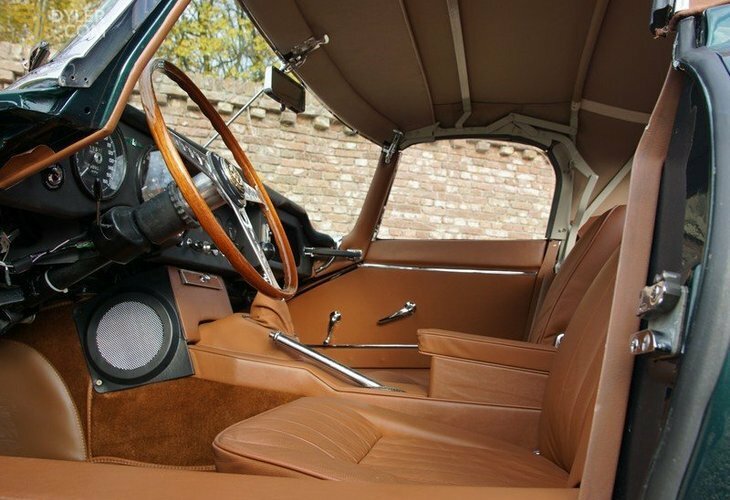 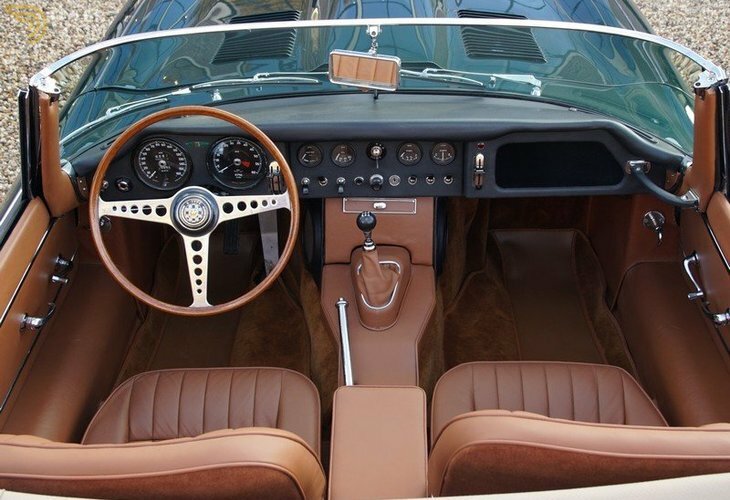 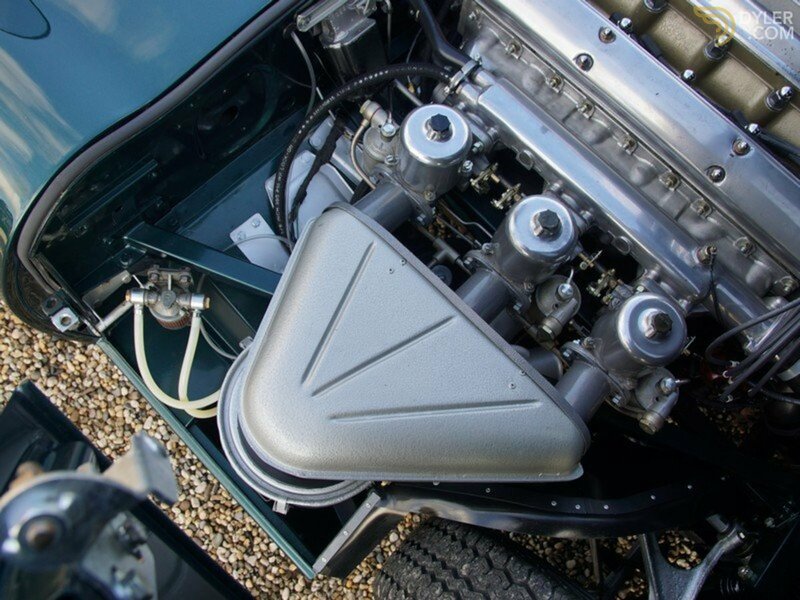 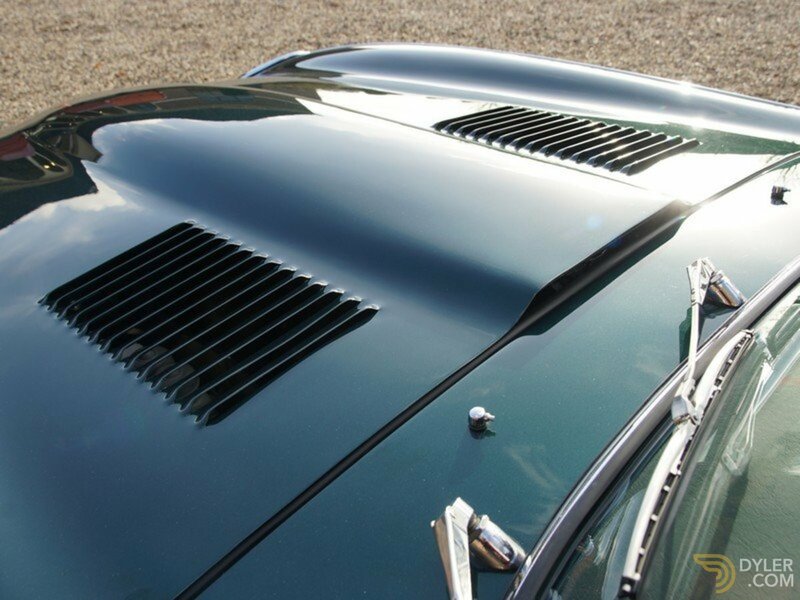 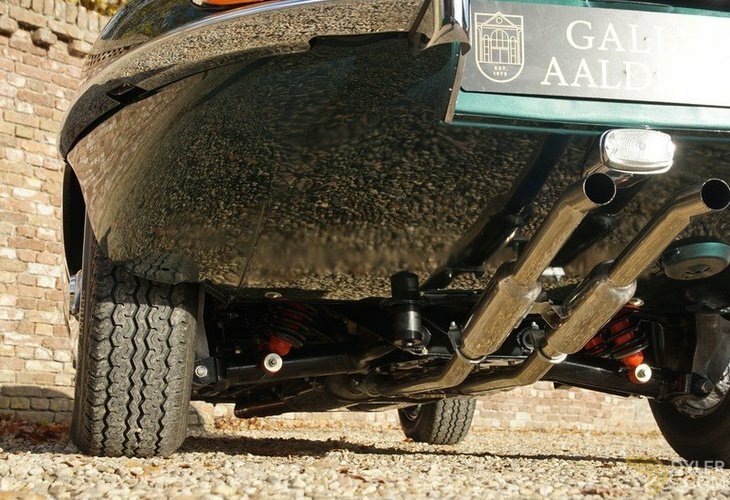 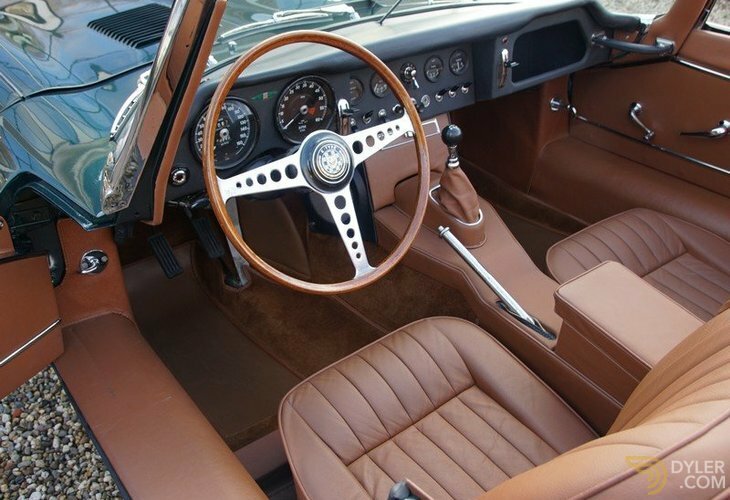 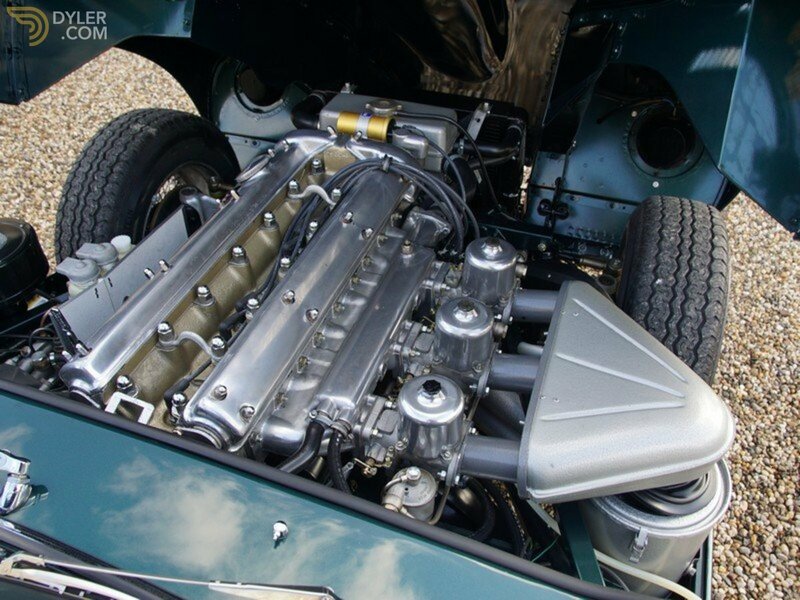 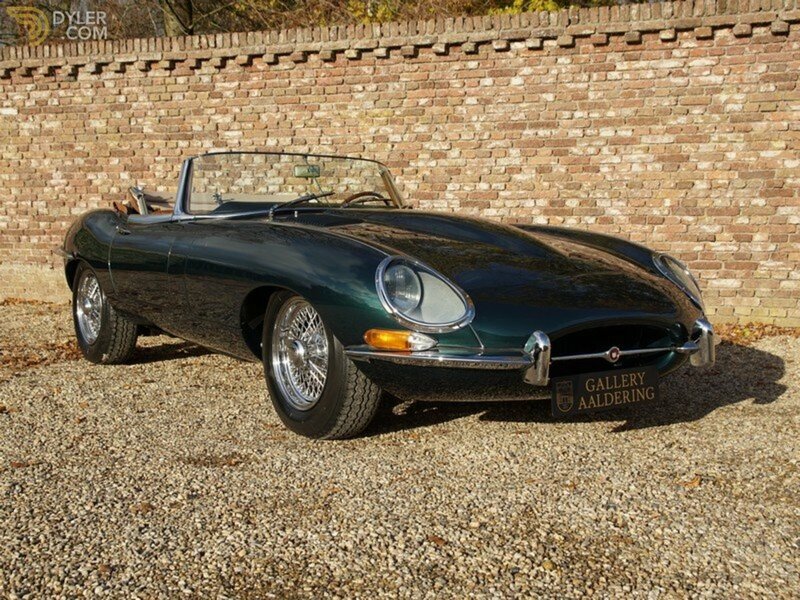 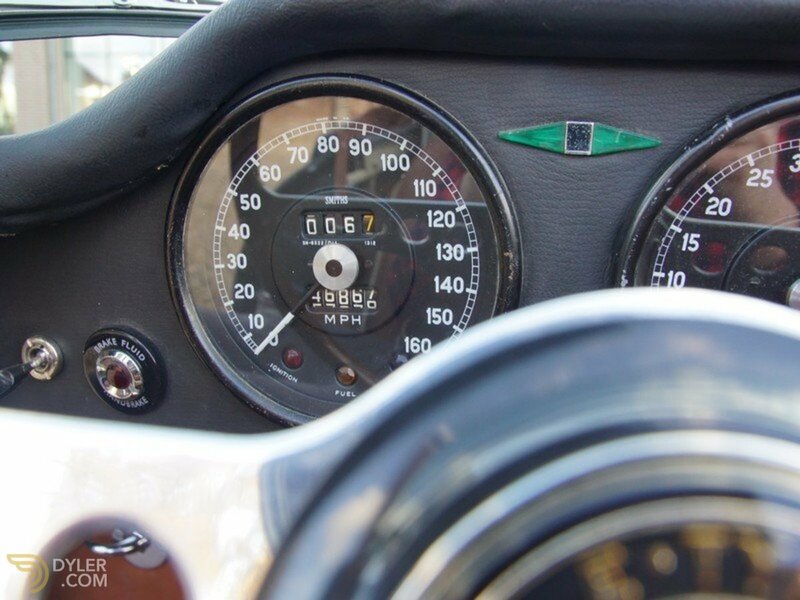 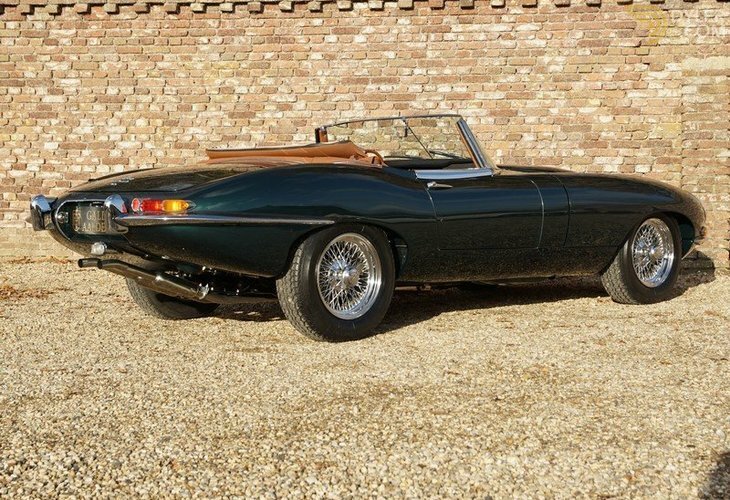 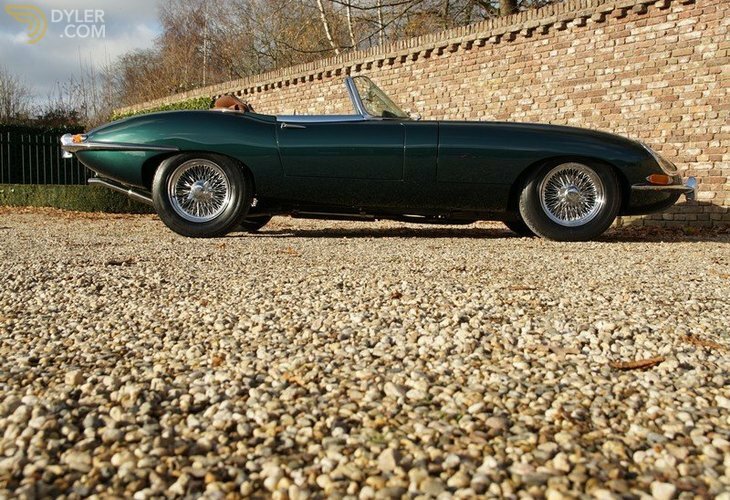 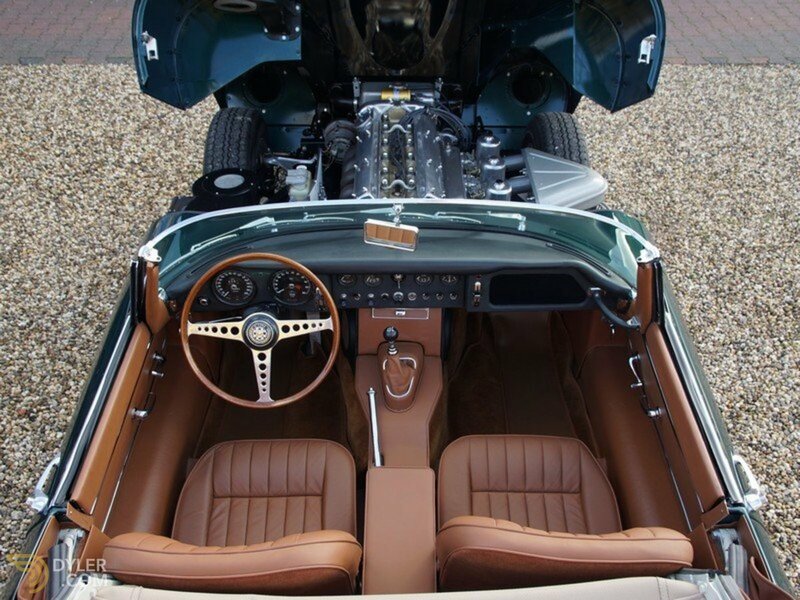 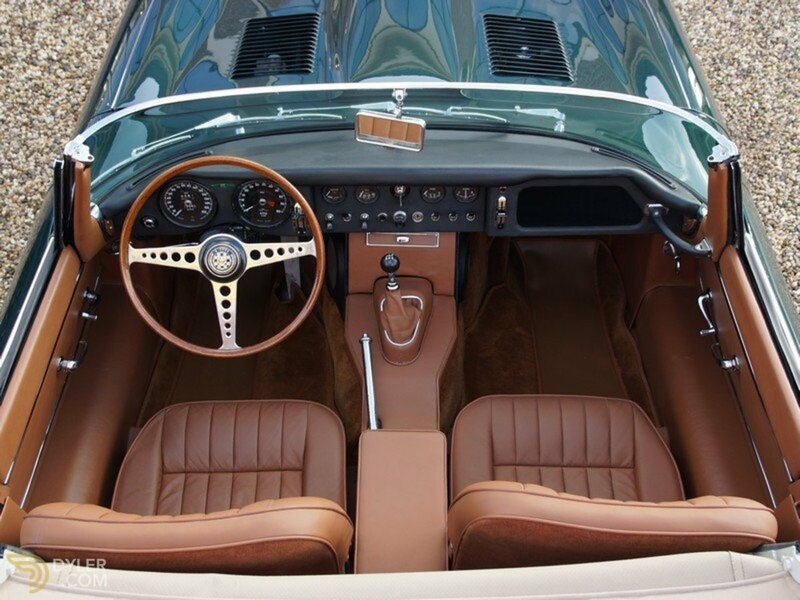 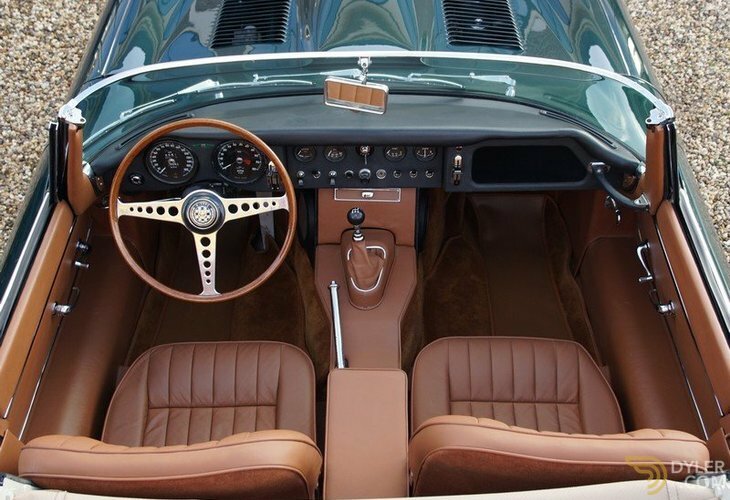 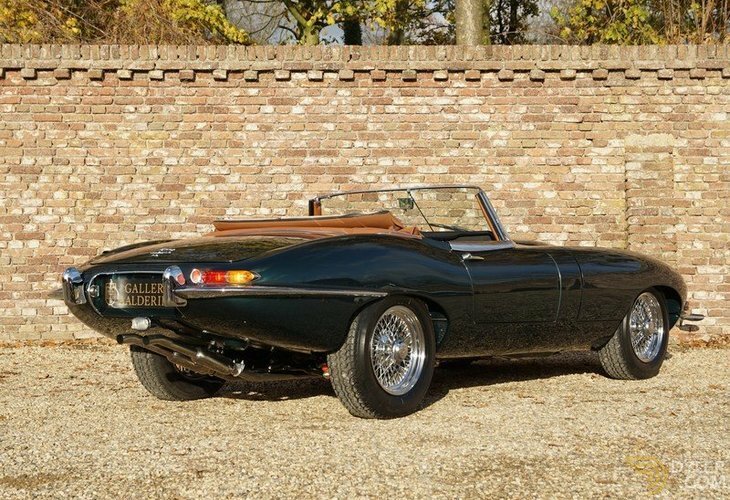 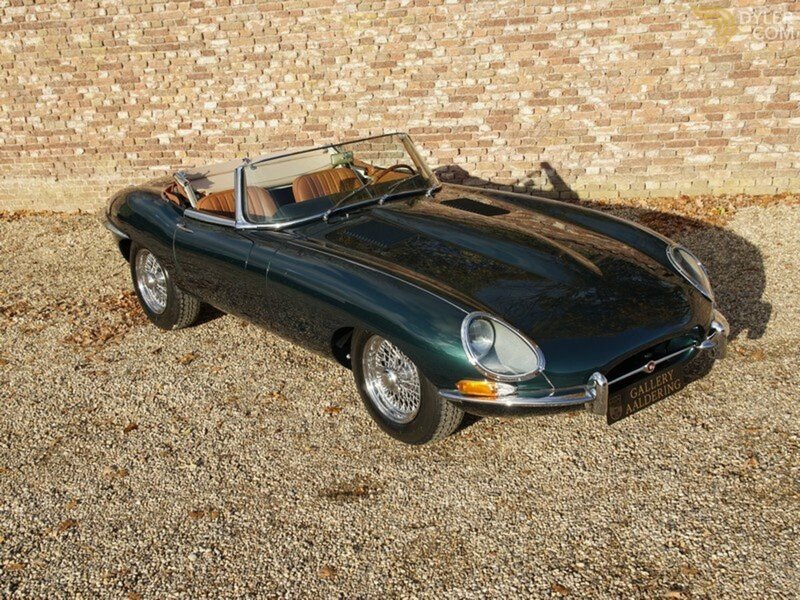 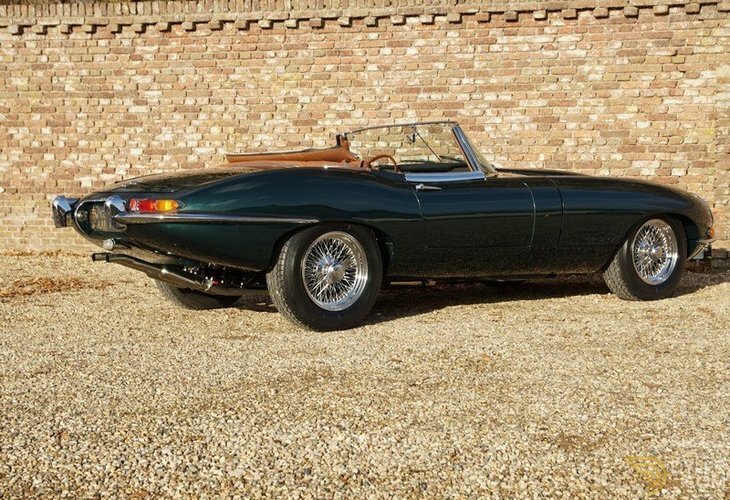 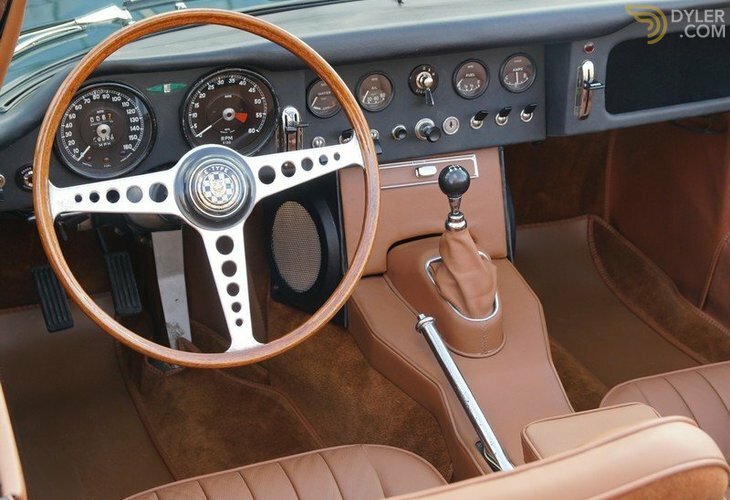 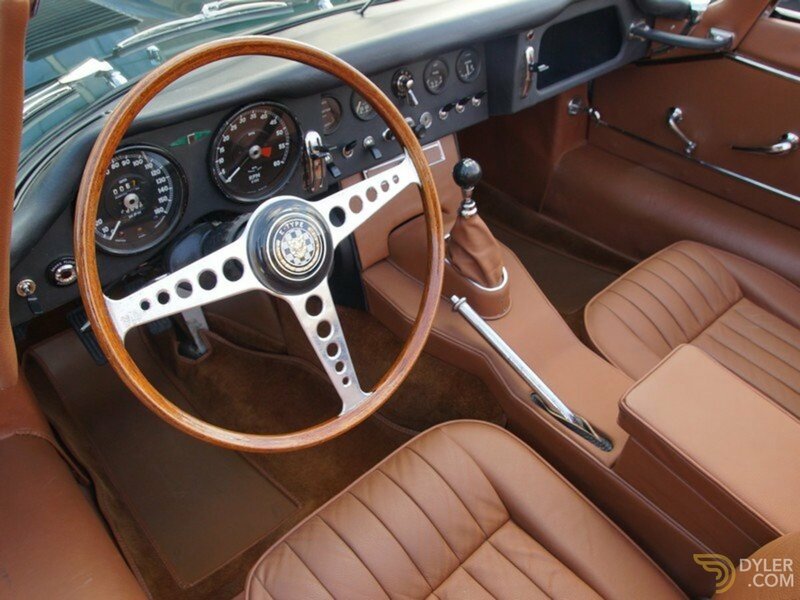 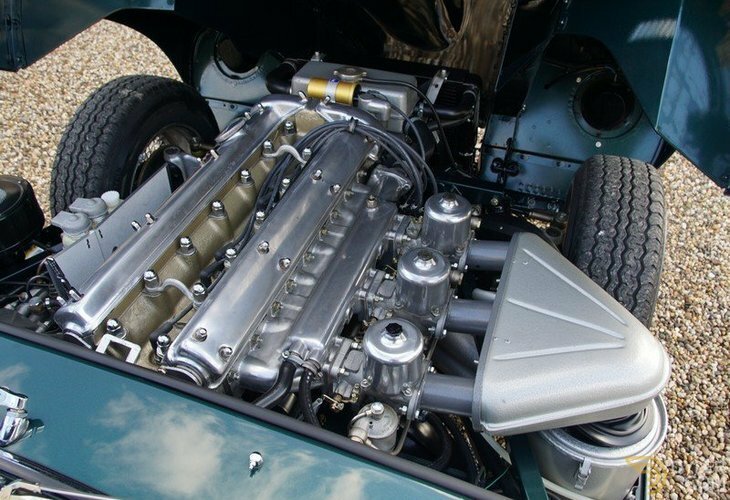 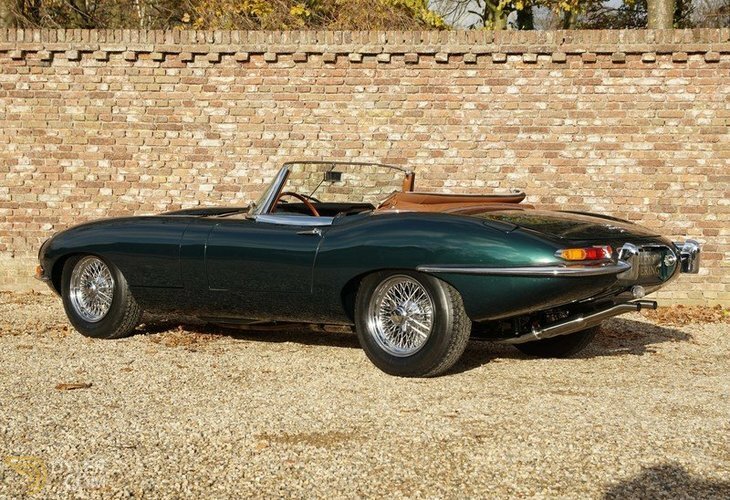 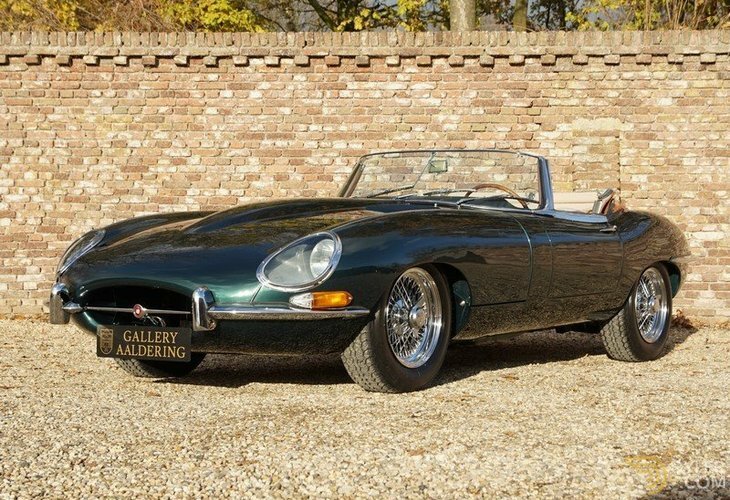 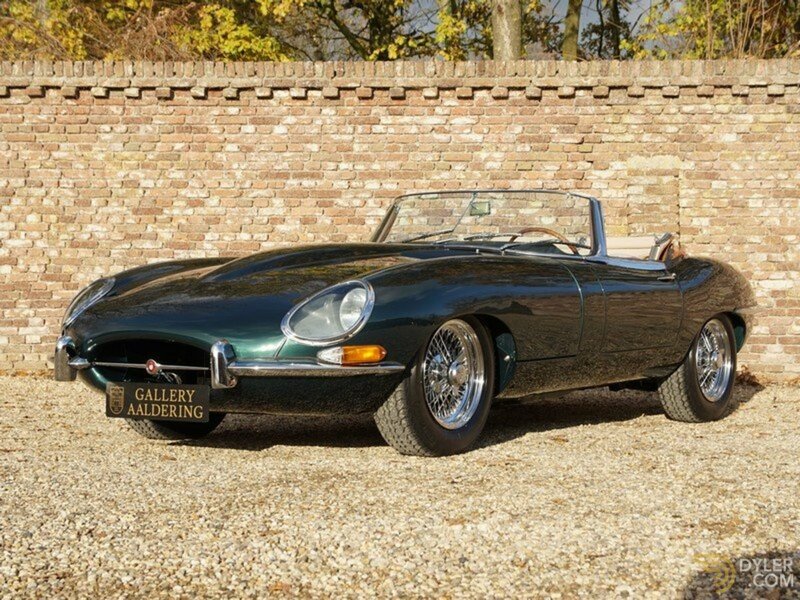 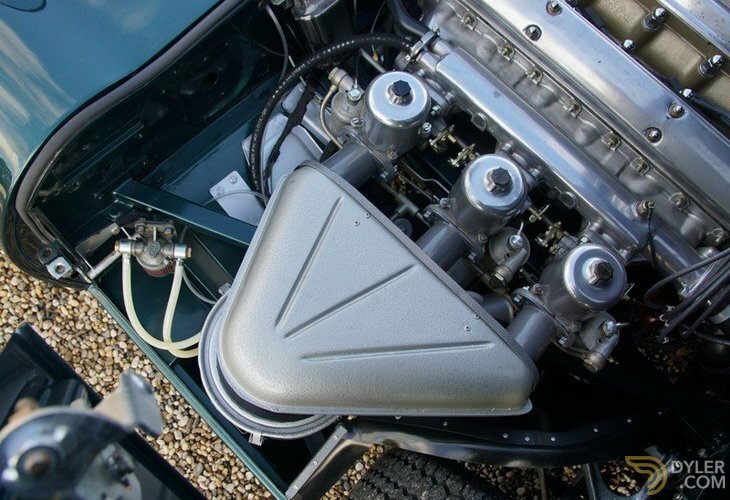 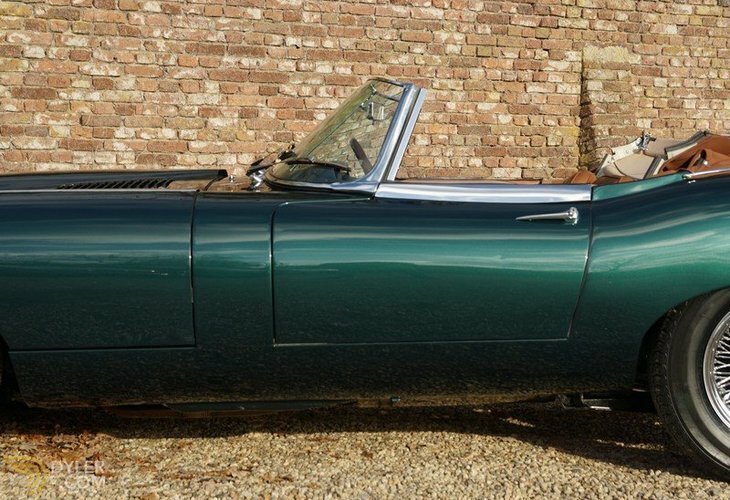 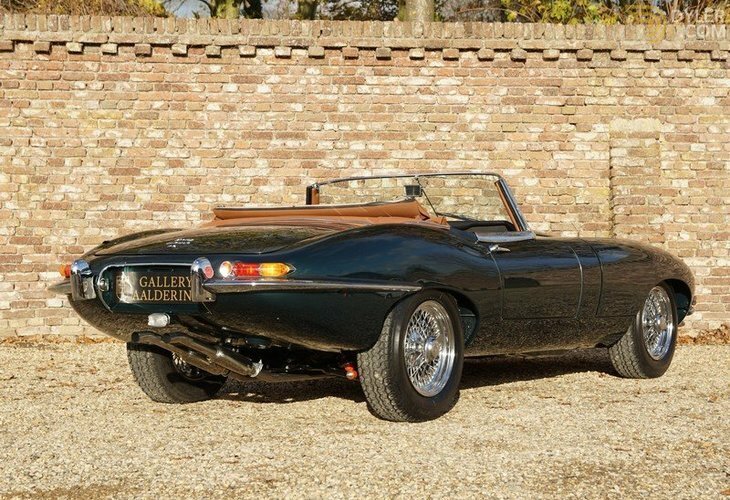 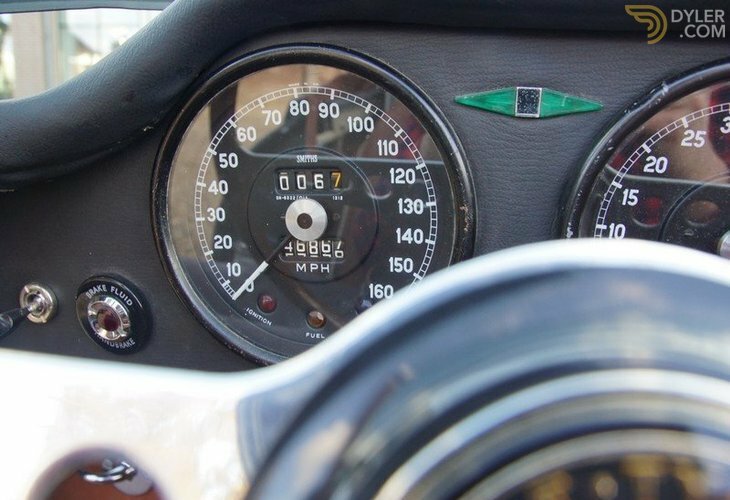 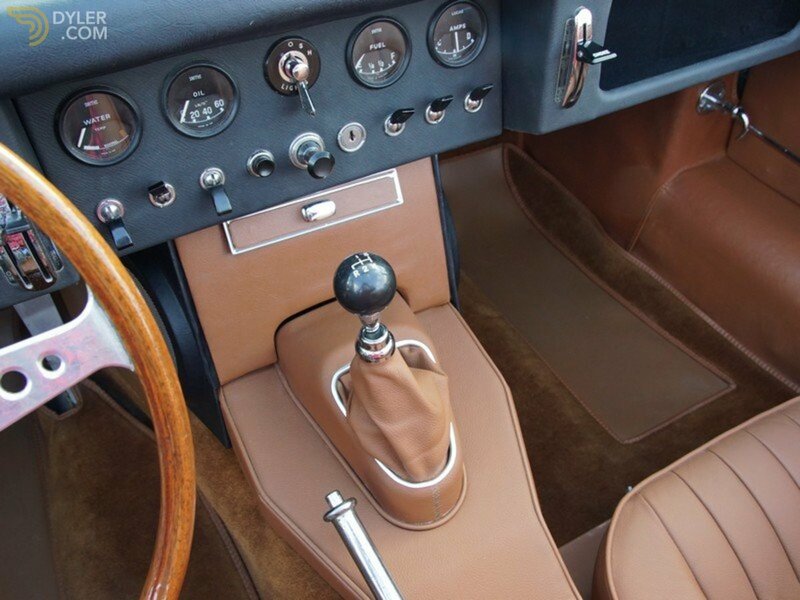 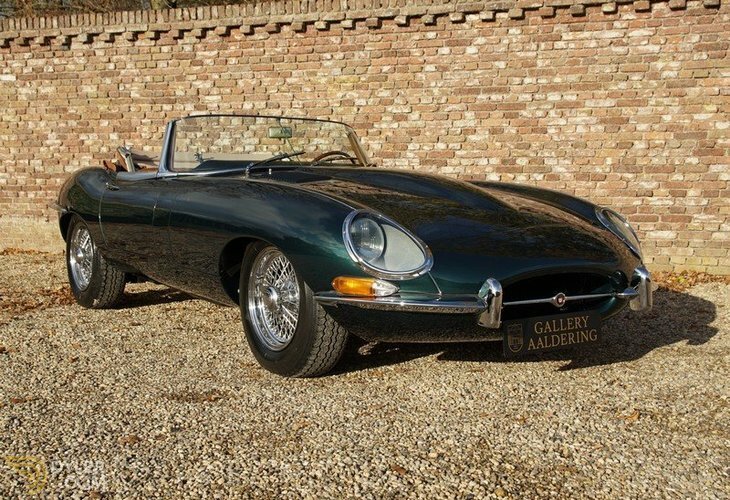 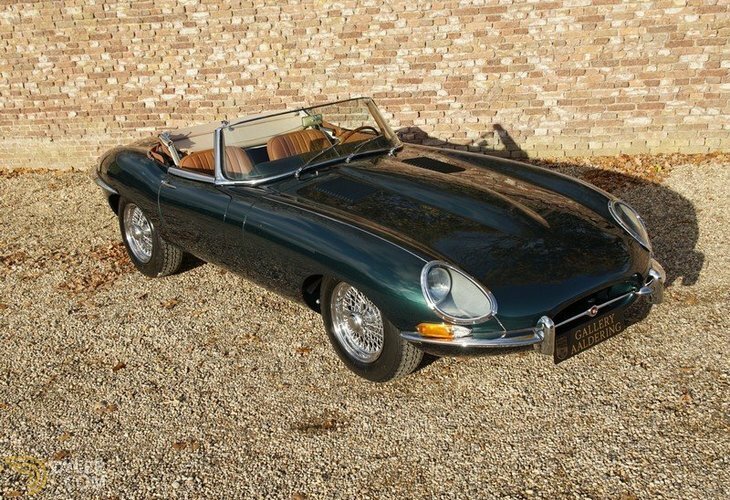 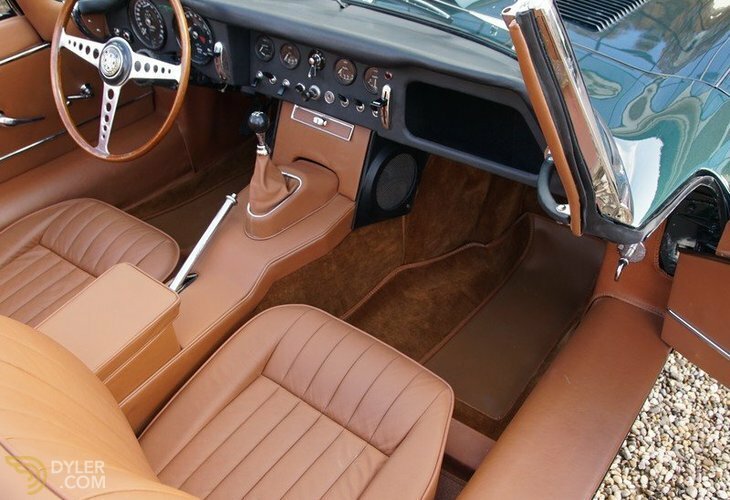 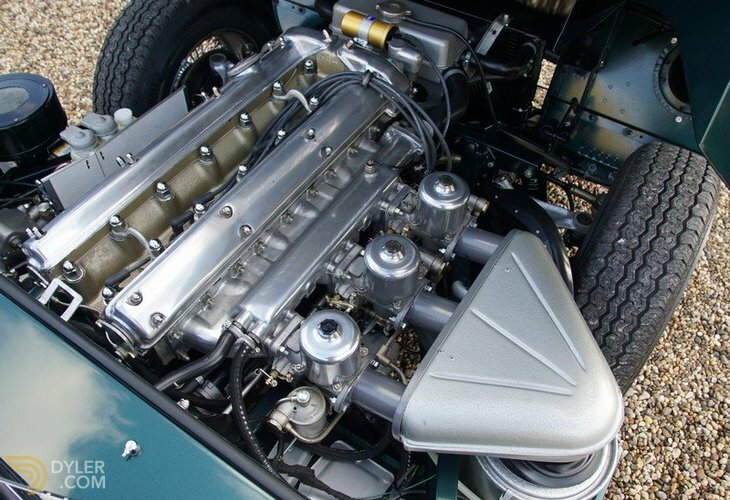 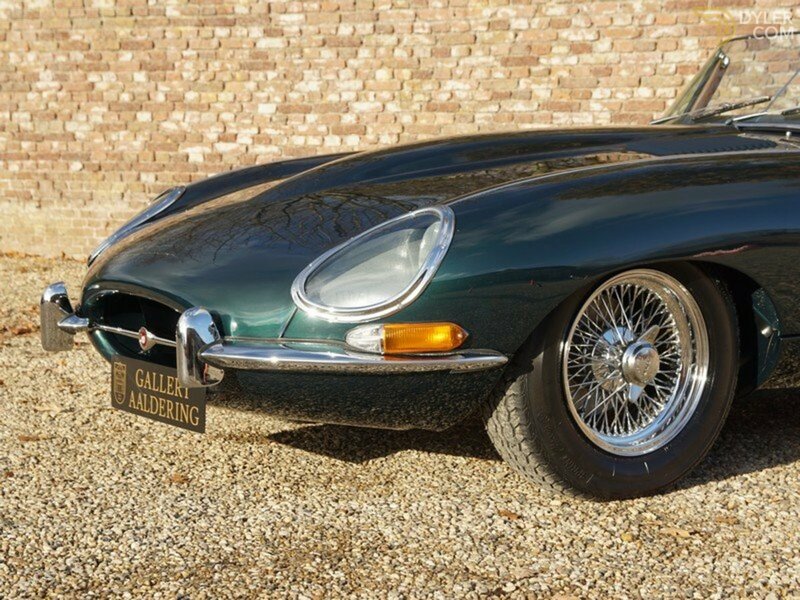 As you may already know, the 4.2 series 1 is, thanks to its fully synchronised gearbox and triple carburettors, the finest and best E-Type to drive! 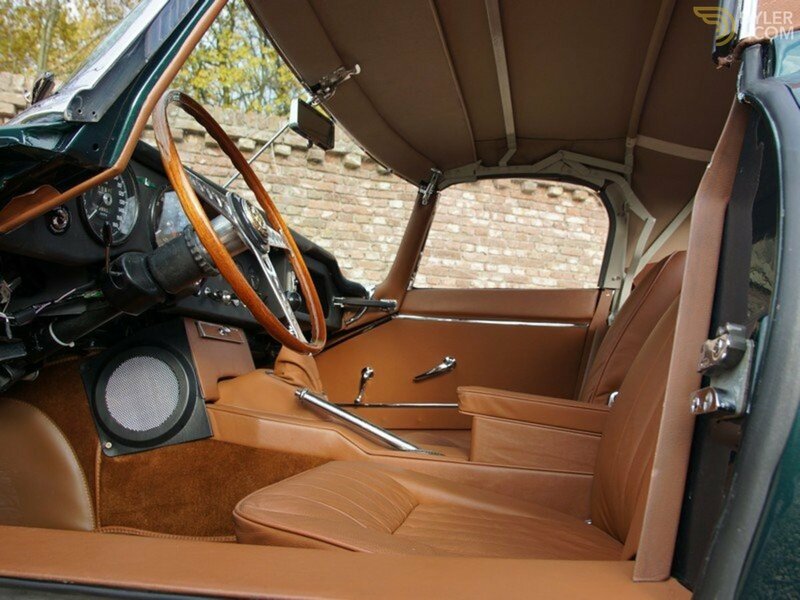 In the recent past it has been fully restored and rebuilt. 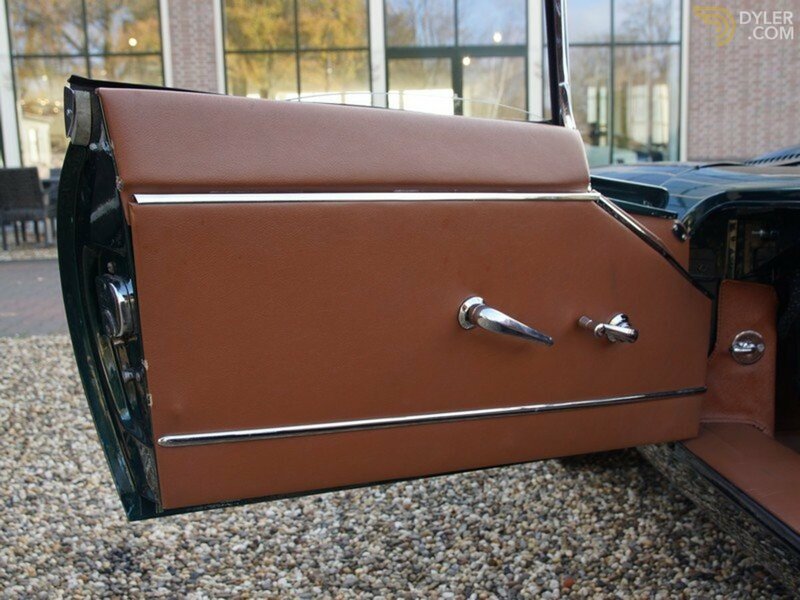 It took place in Belgium where cost was but a secondary consideration. 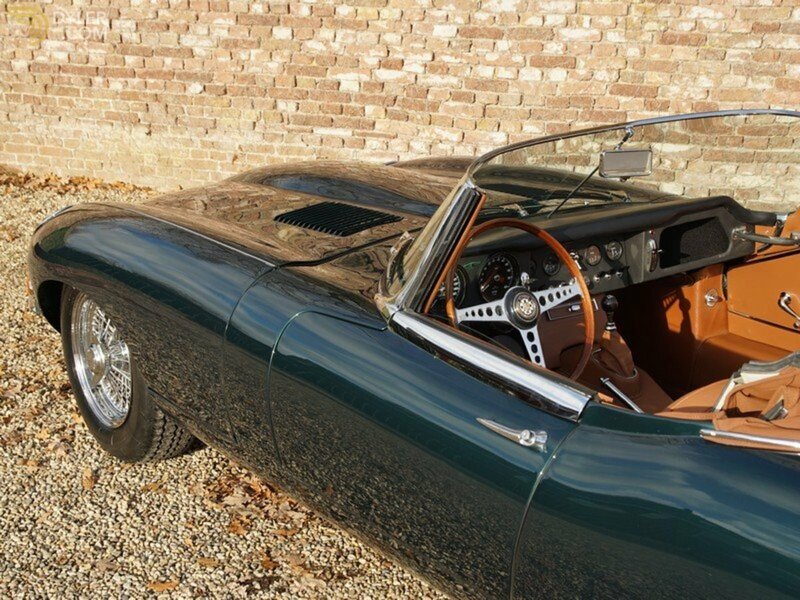 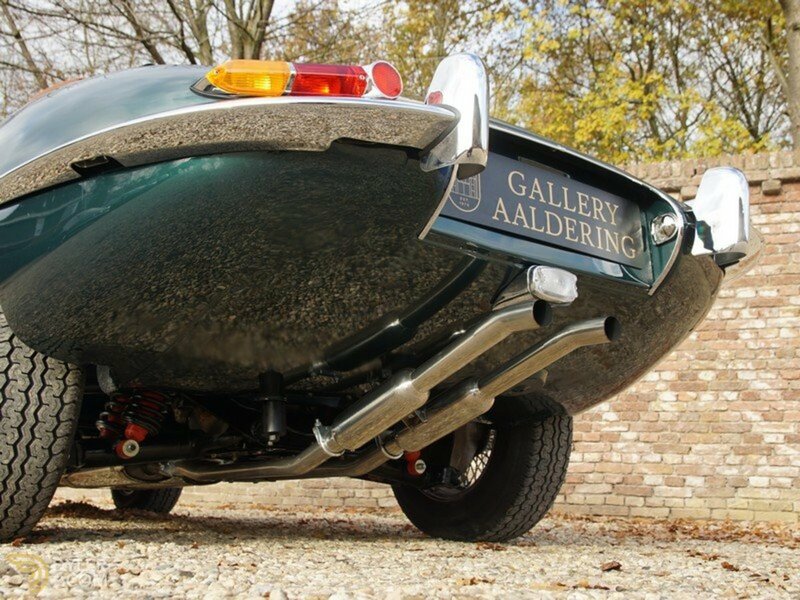 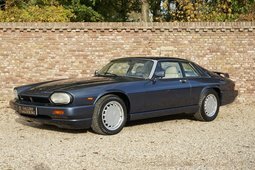 This Jaguar is in perfect working order giving a top quality driving, braking and gear change experience. 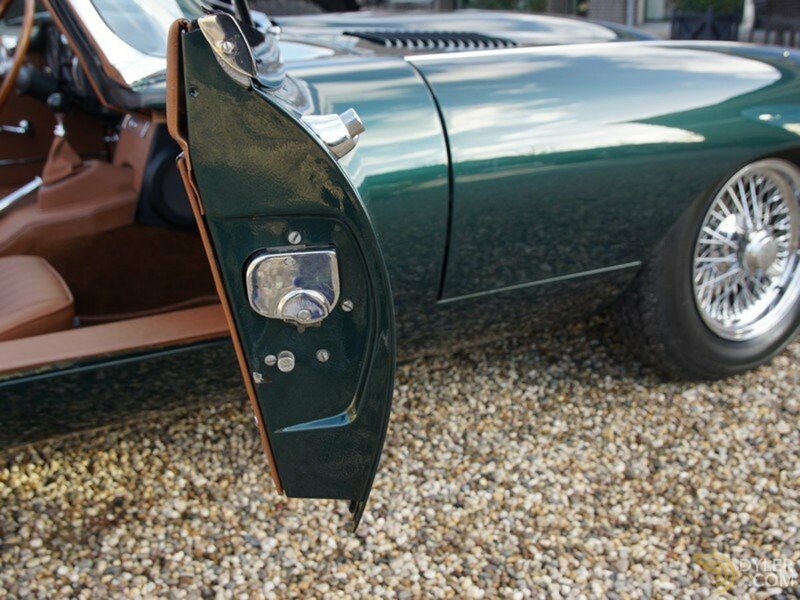 The bodywork has great body panel fittings and ditto paintwork. 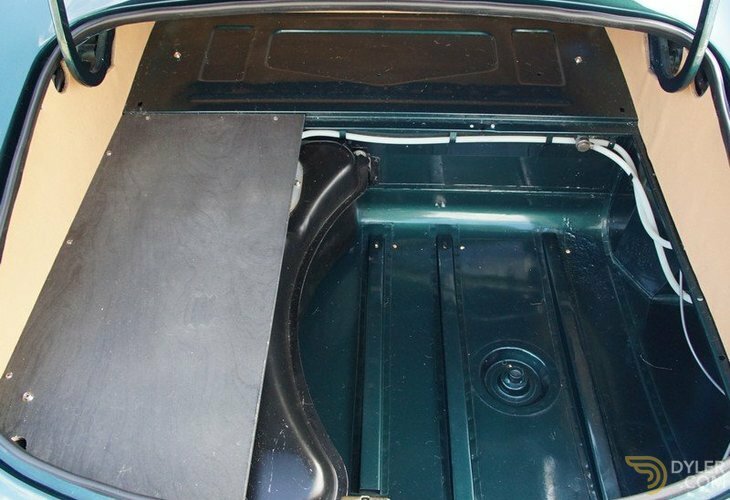 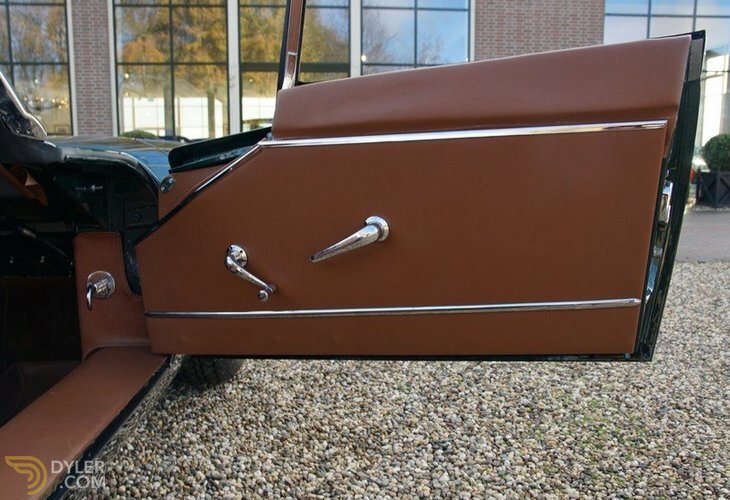 The underbody is also in great condition and fully rust-free. 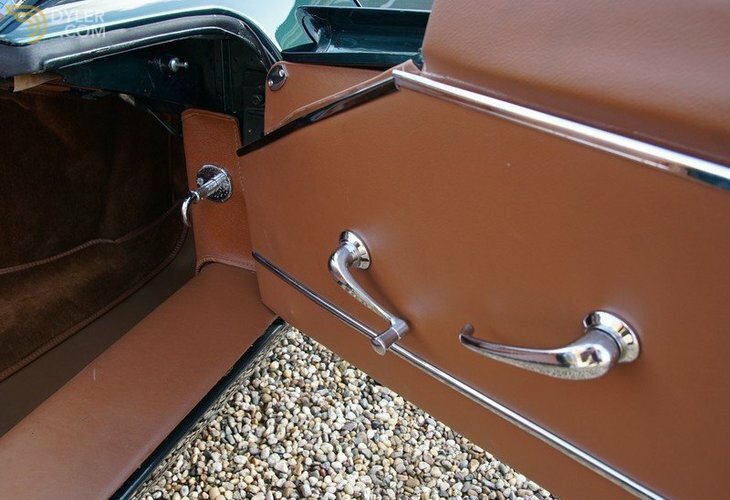 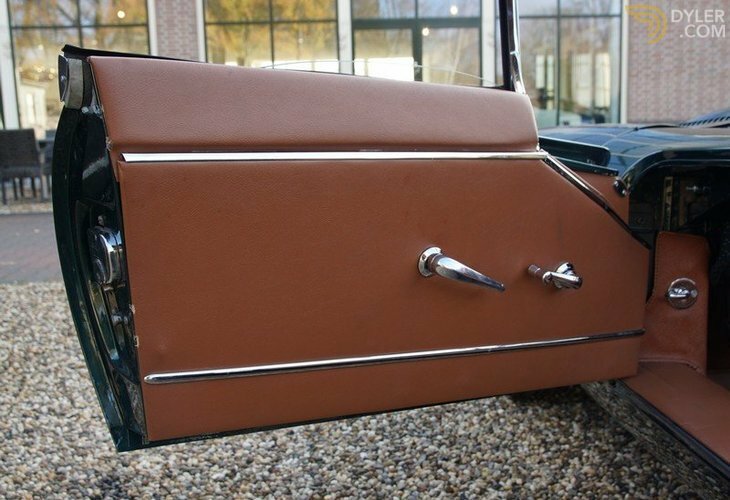 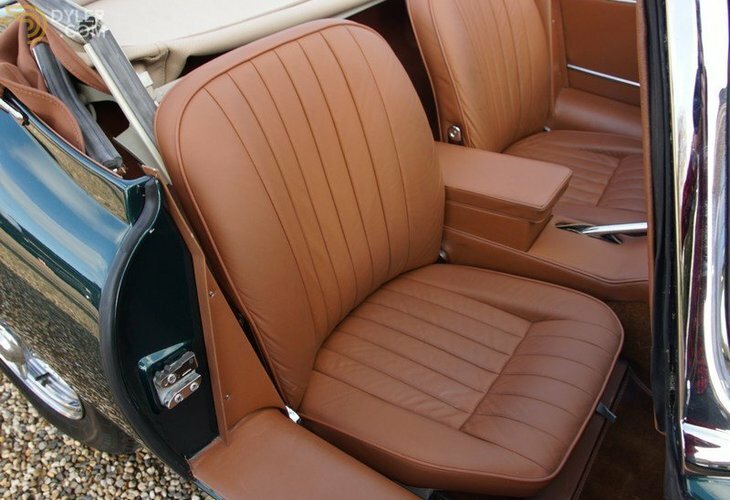 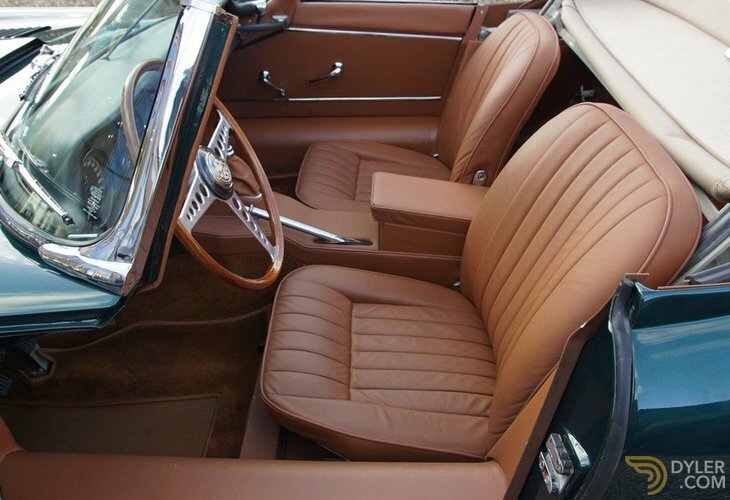 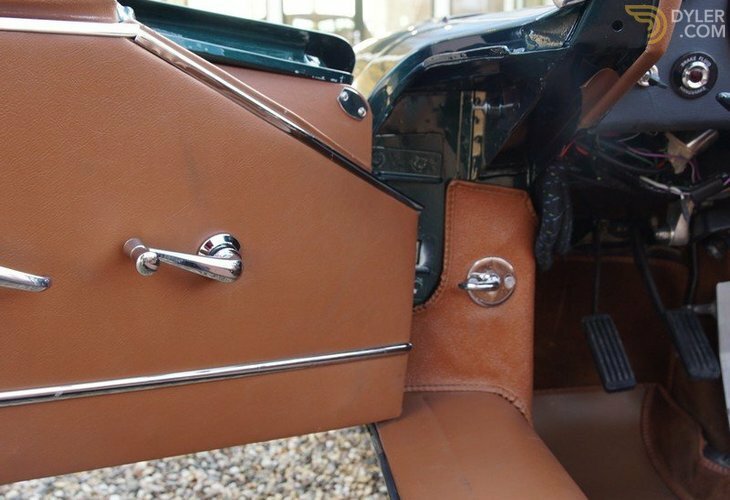 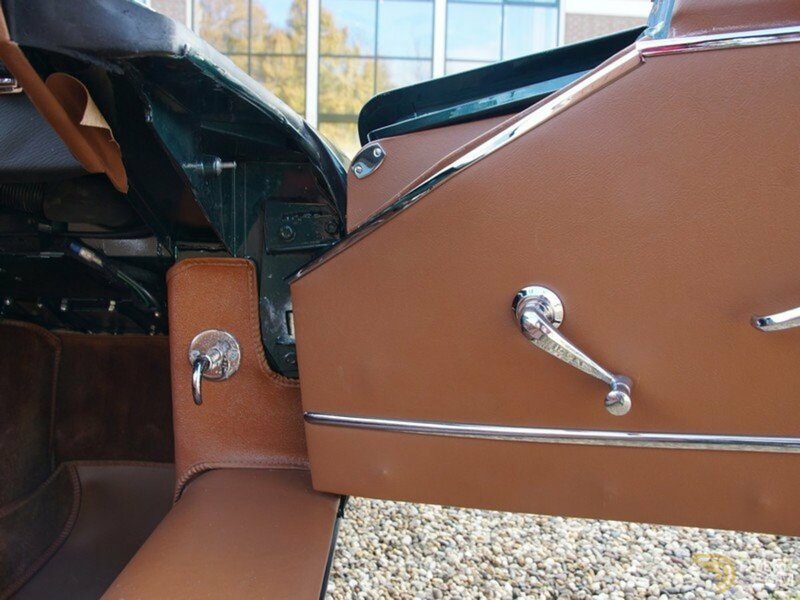 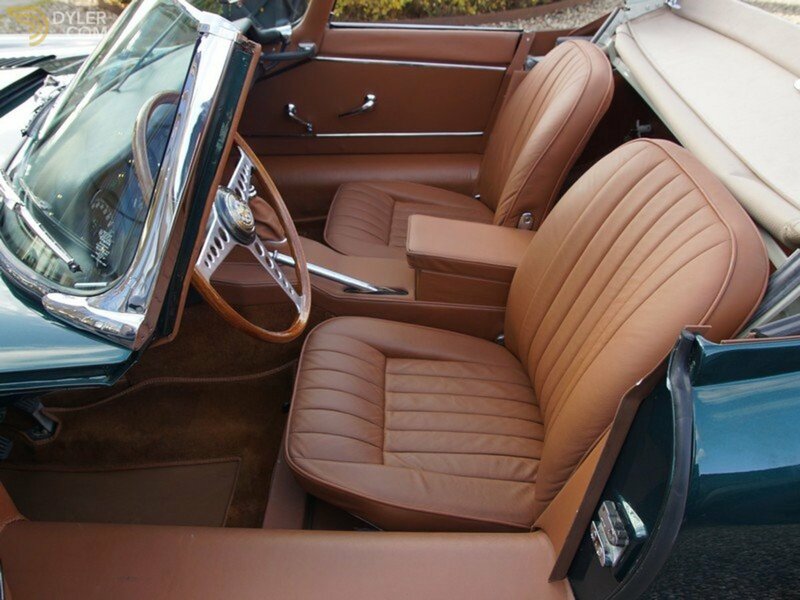 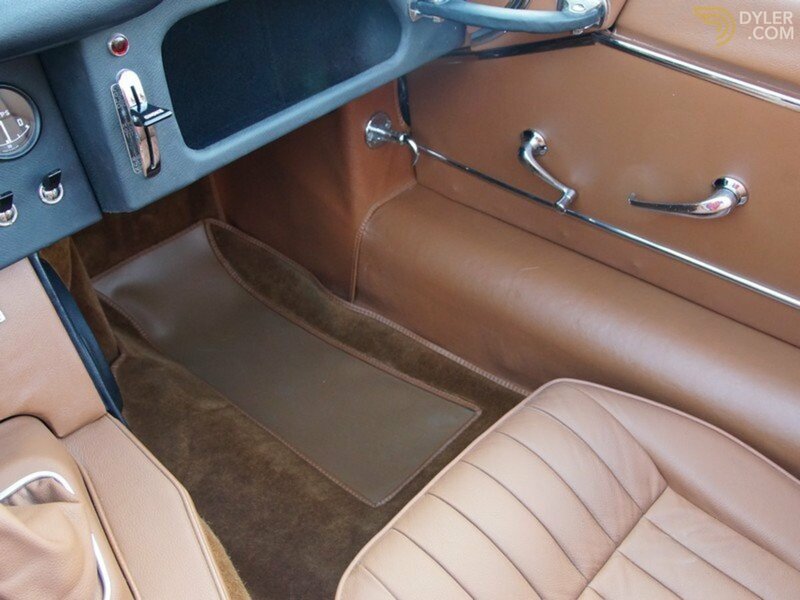 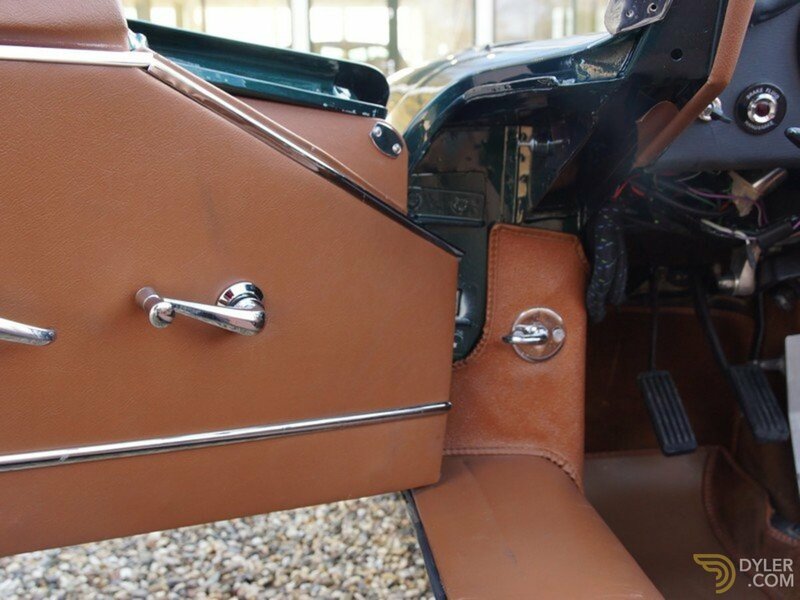 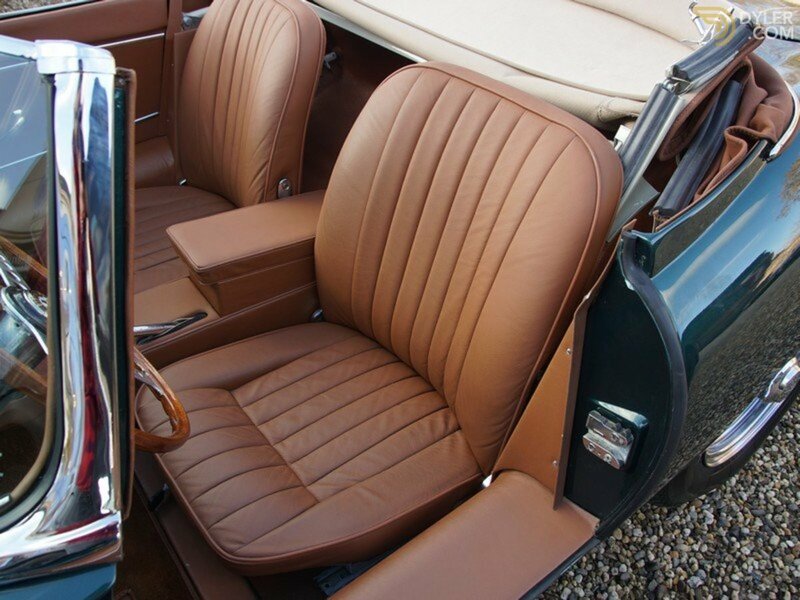 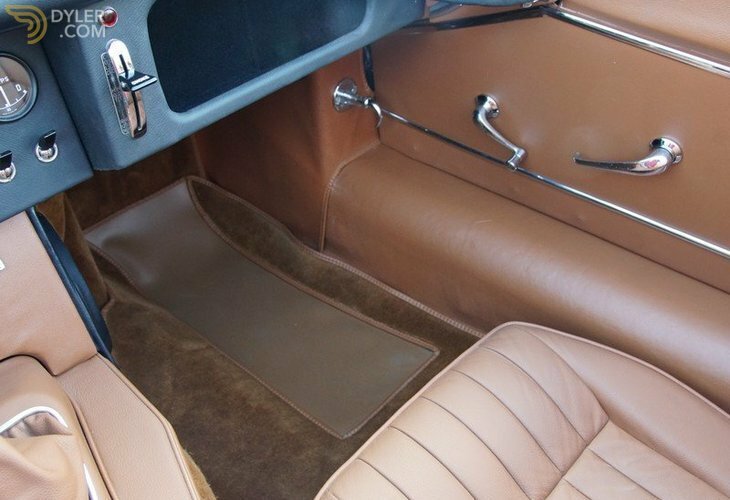 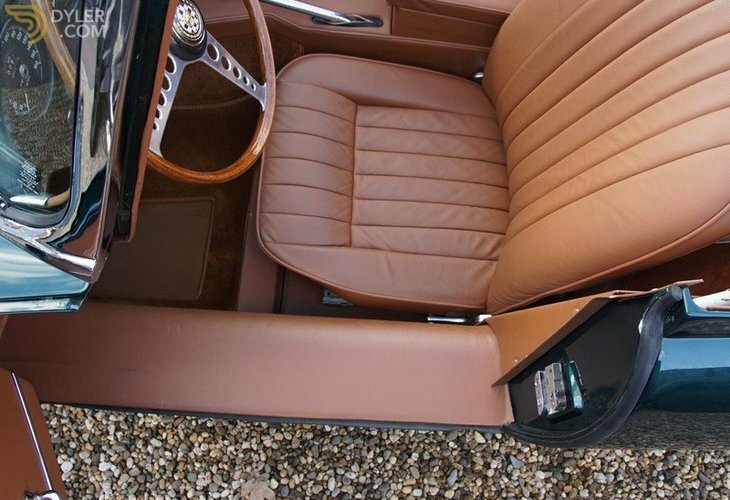 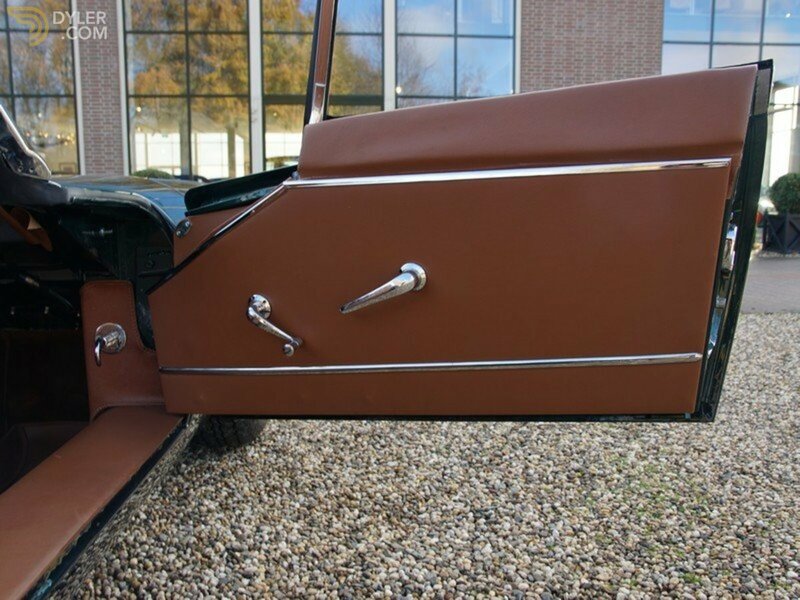 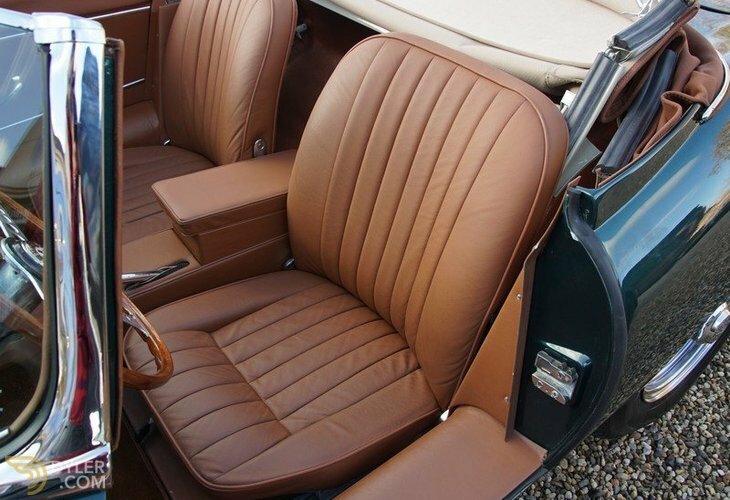 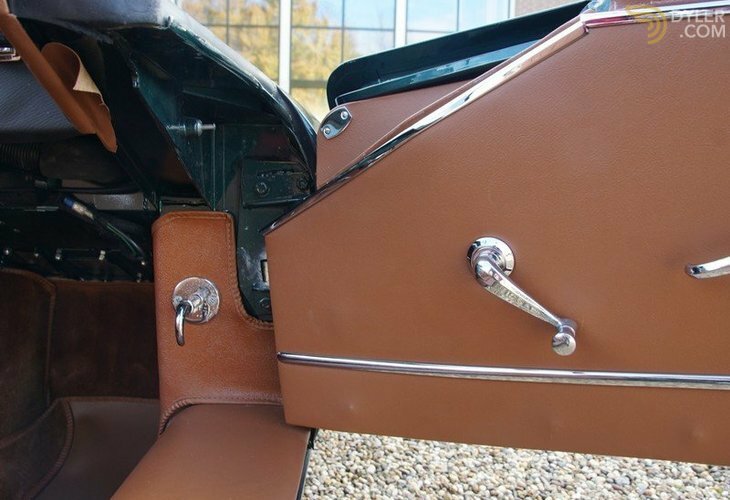 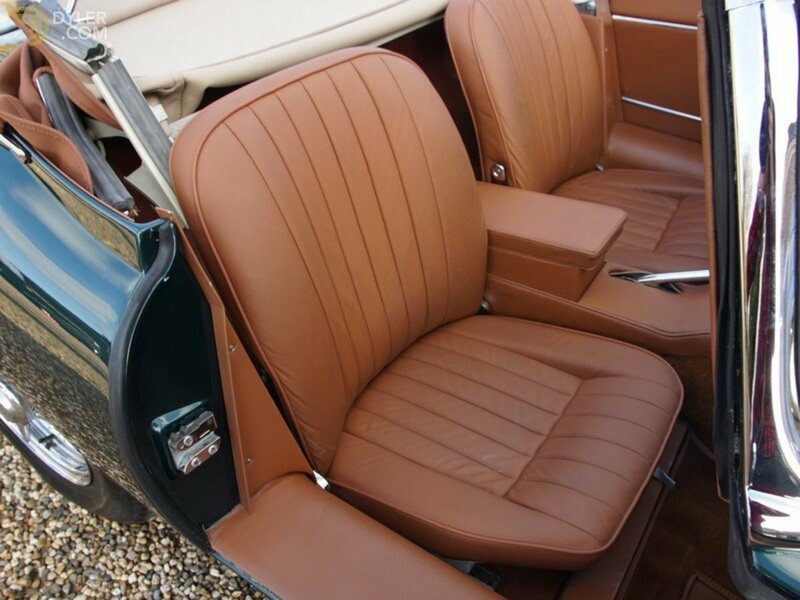 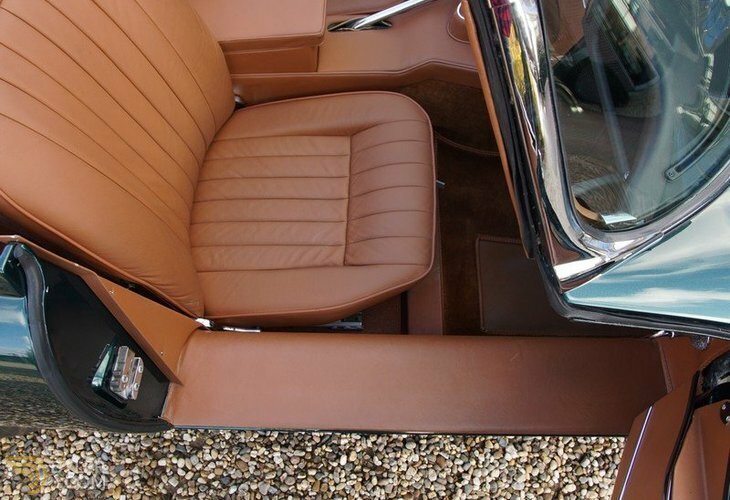 The interior trim has been restored to its original new state. 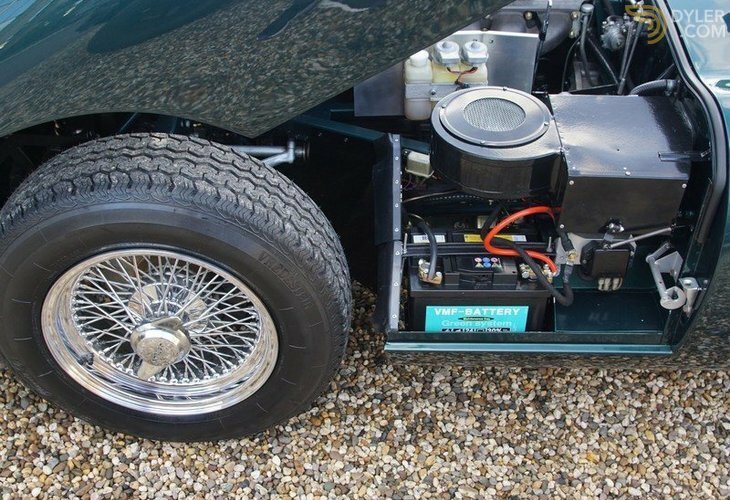 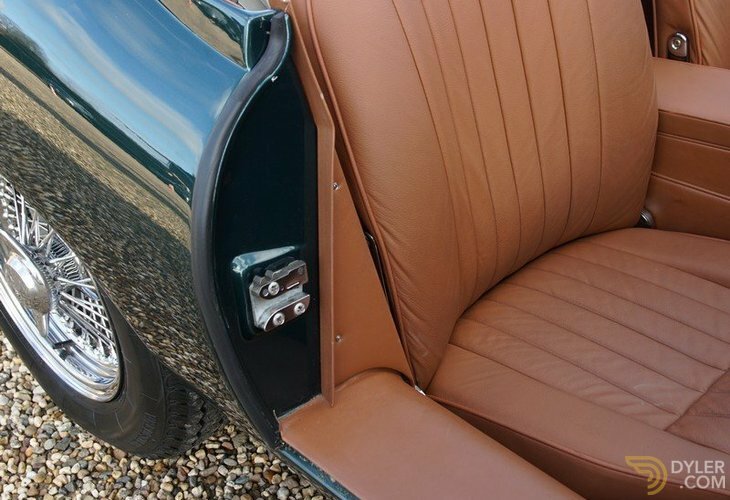 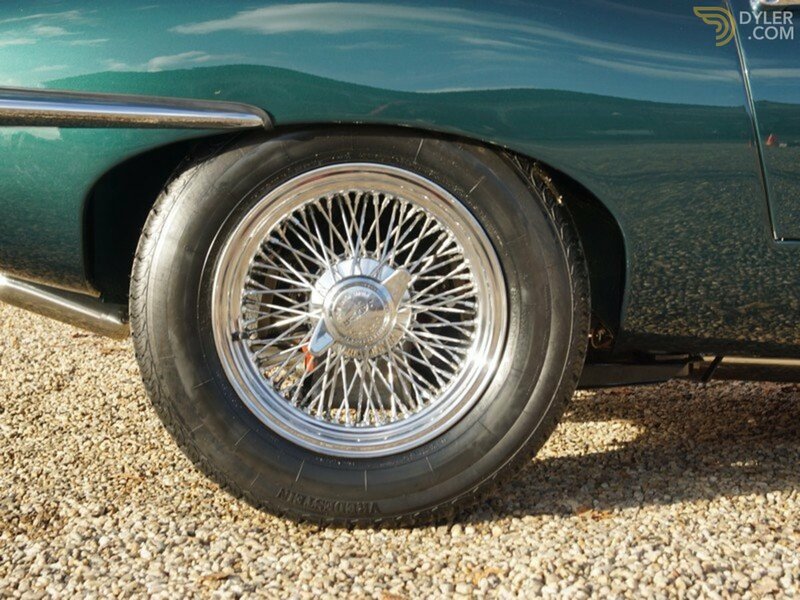 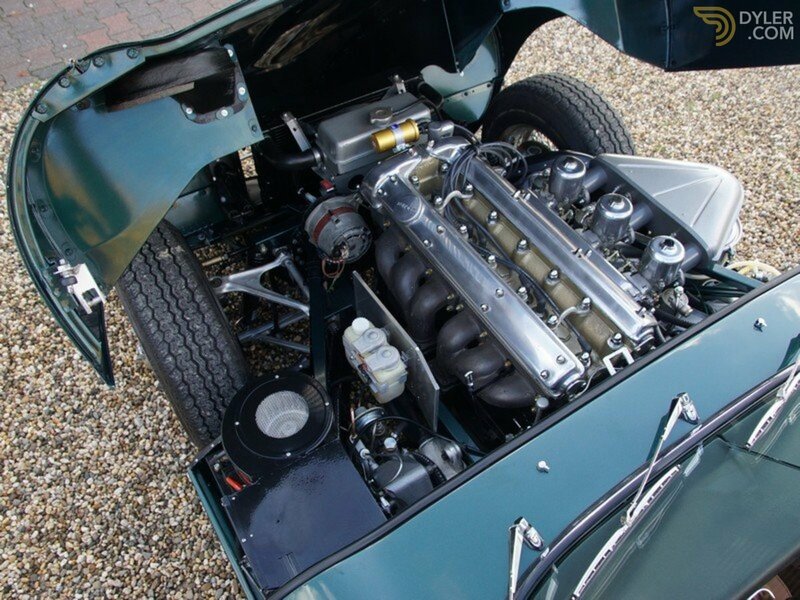 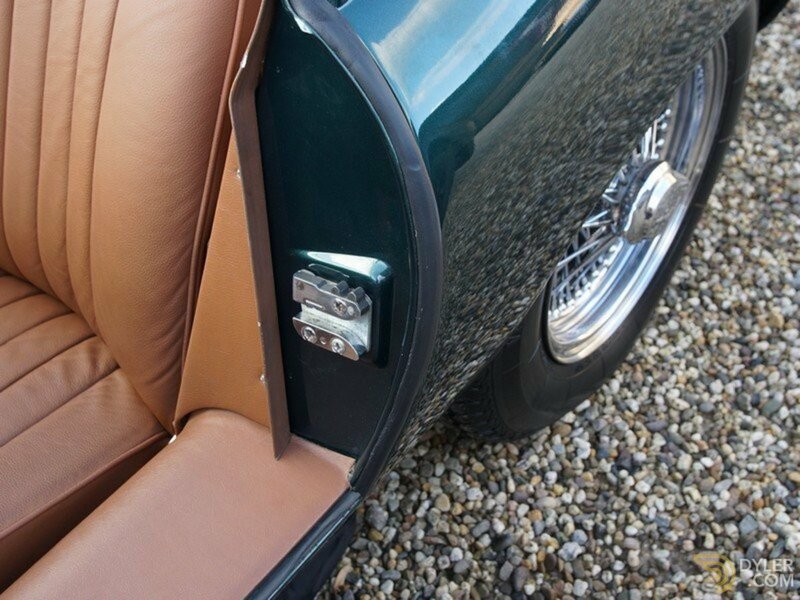 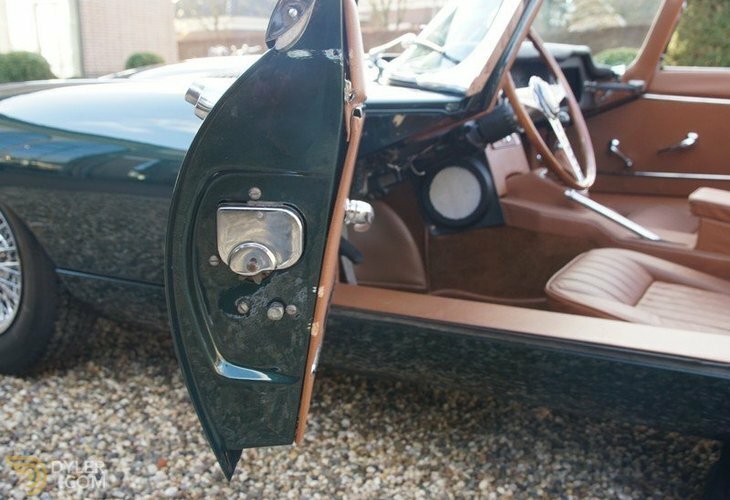 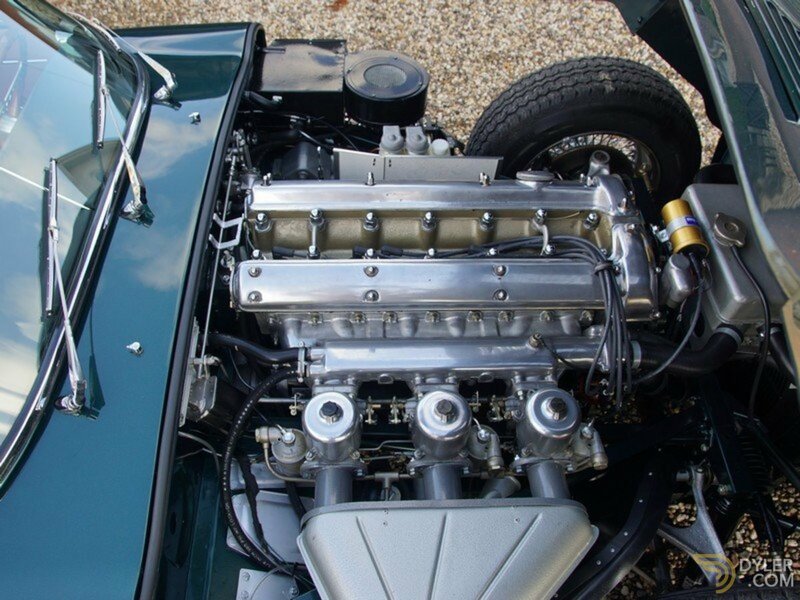 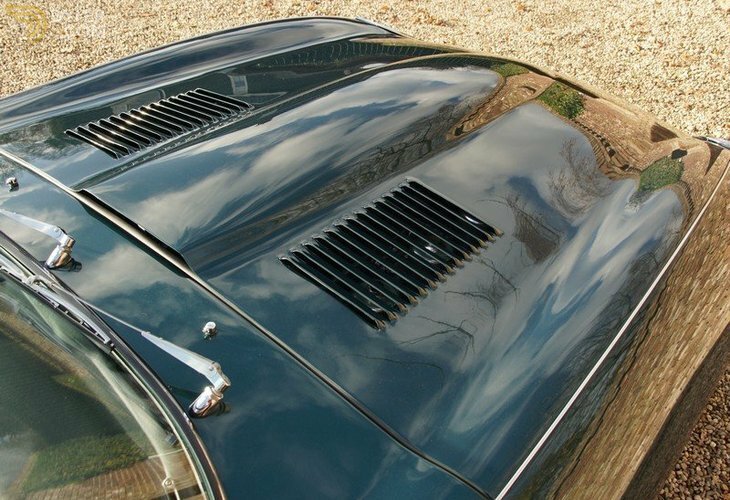 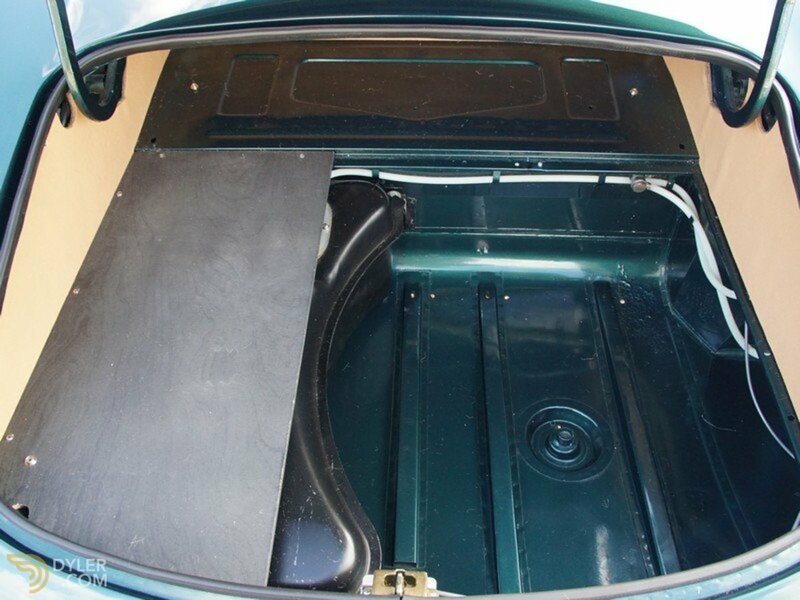 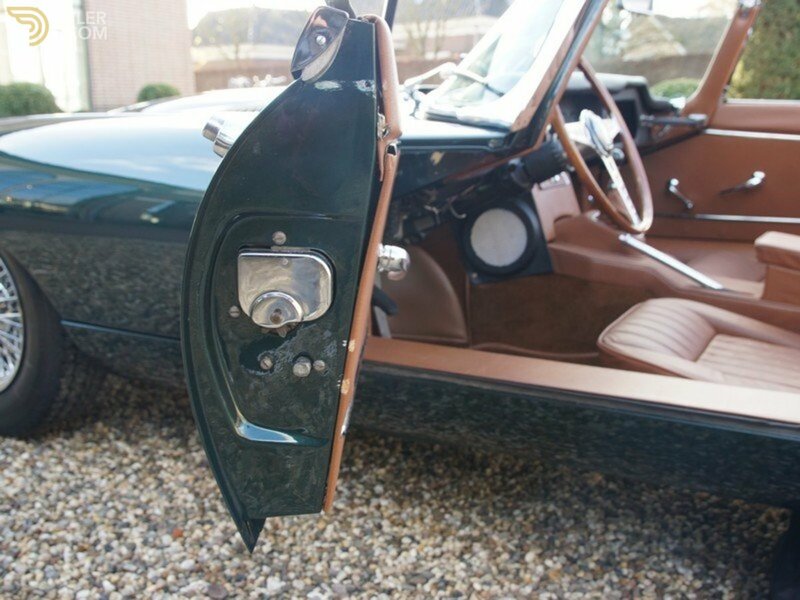 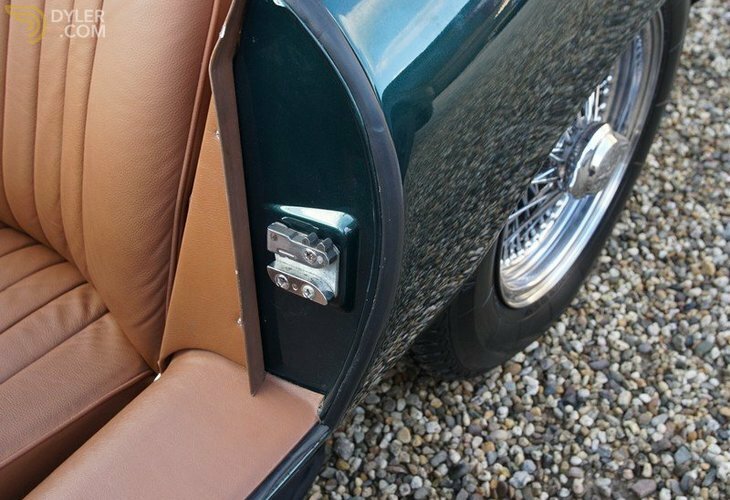 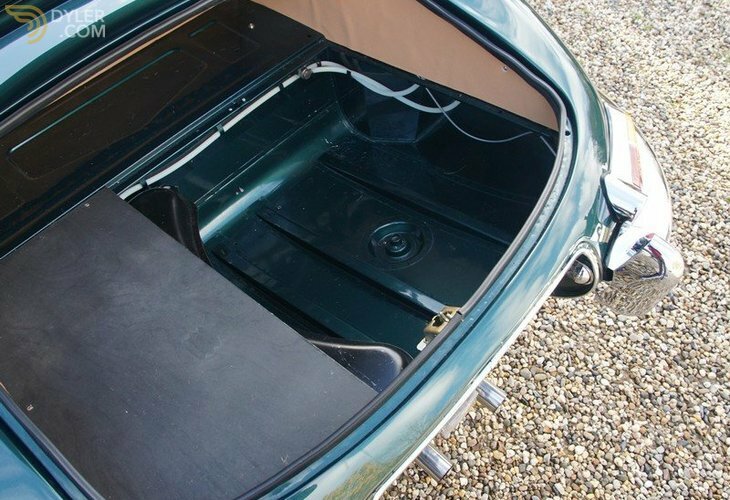 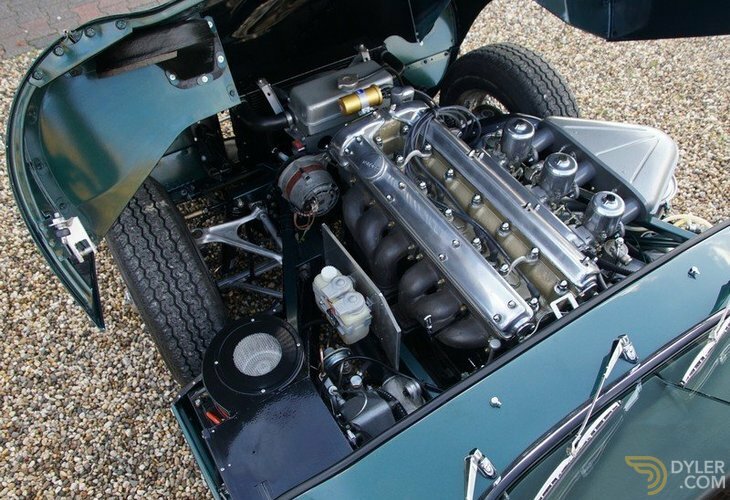 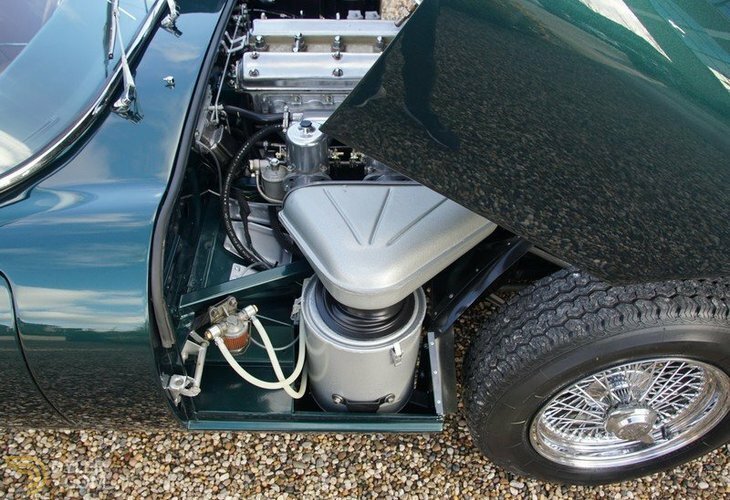 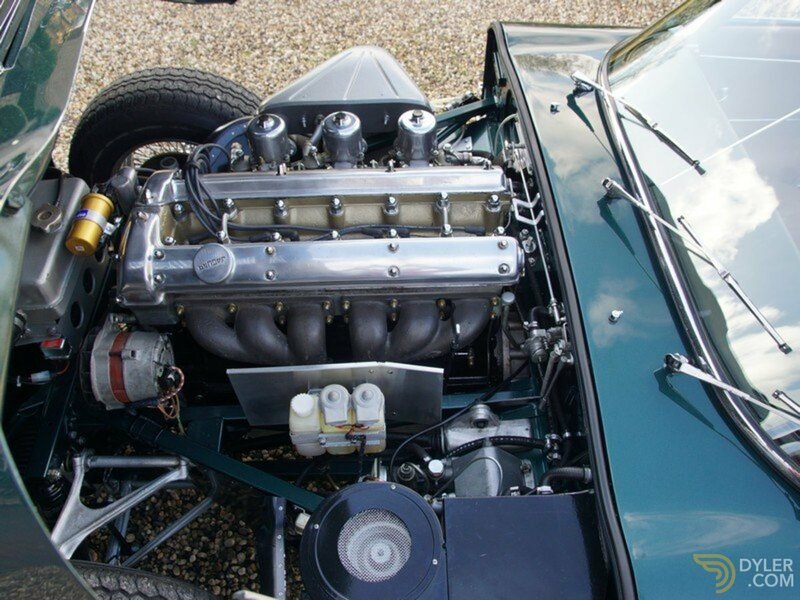 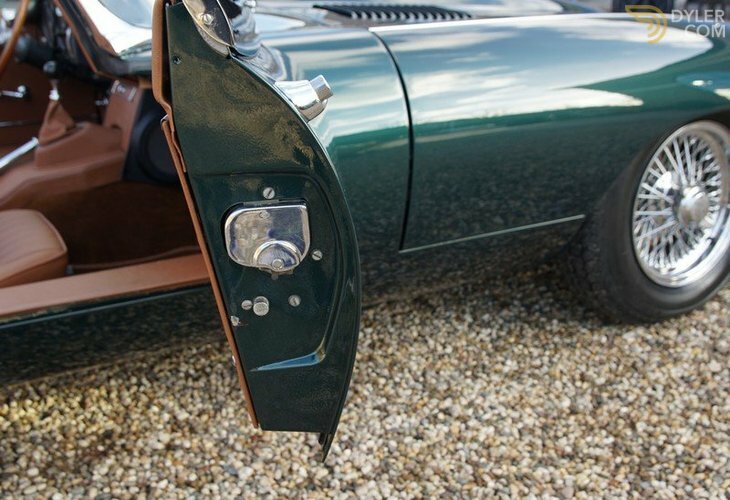 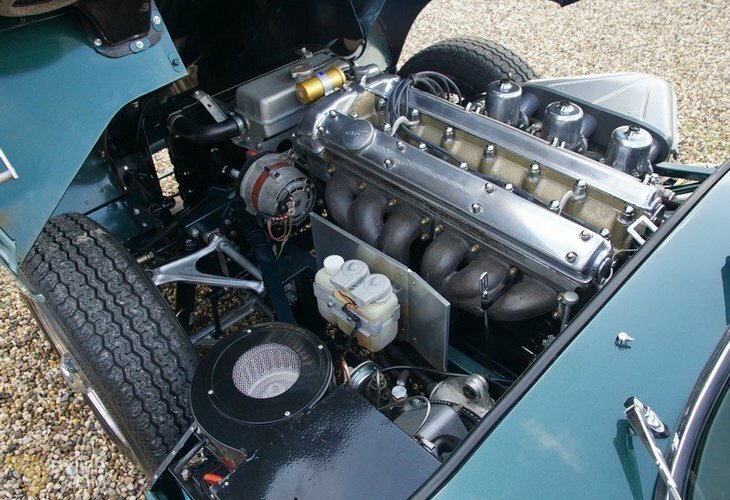 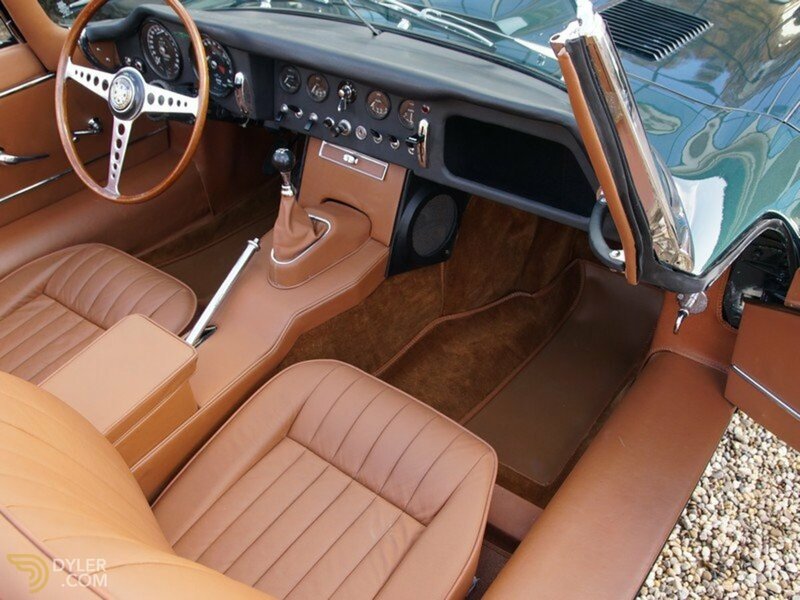 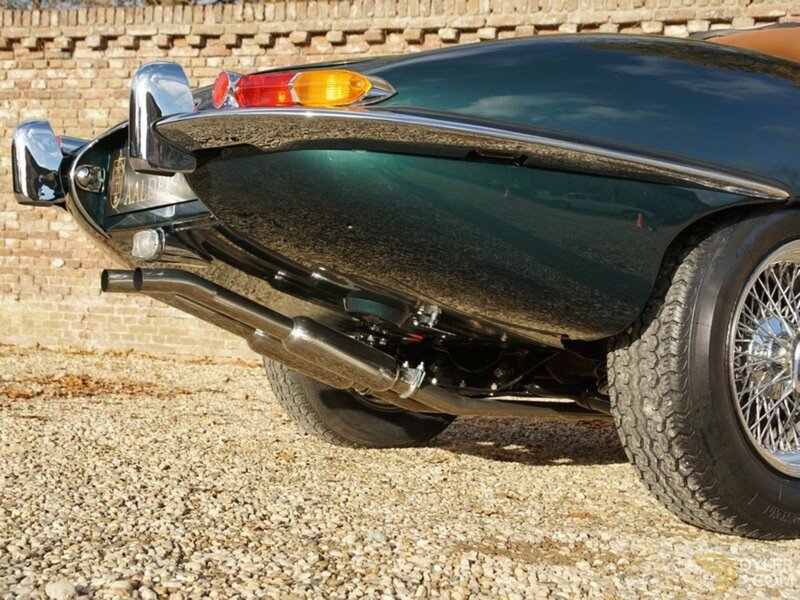 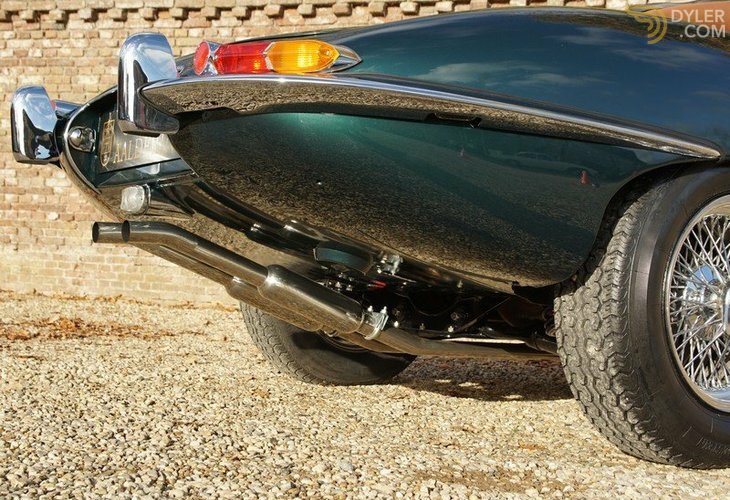 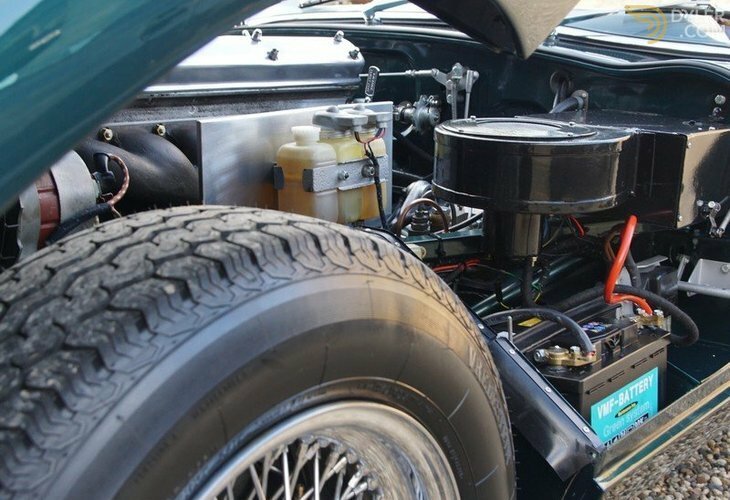 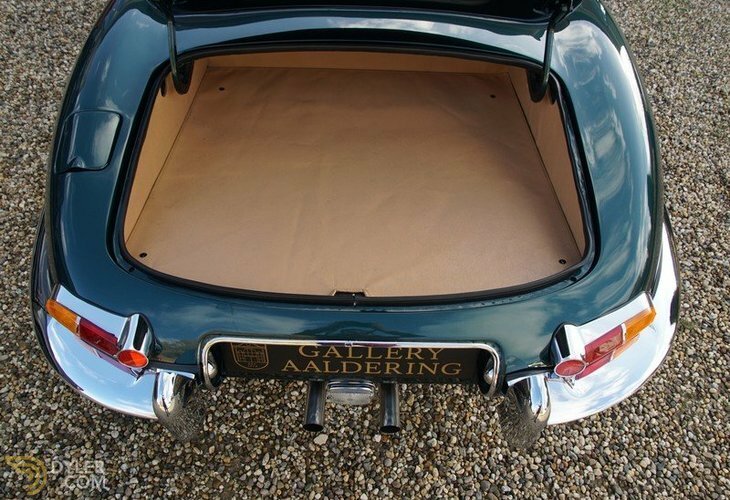 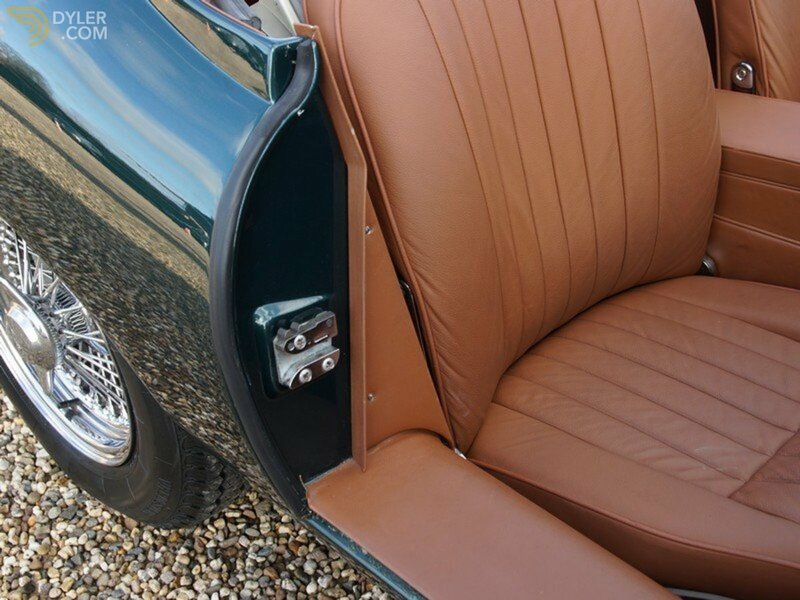 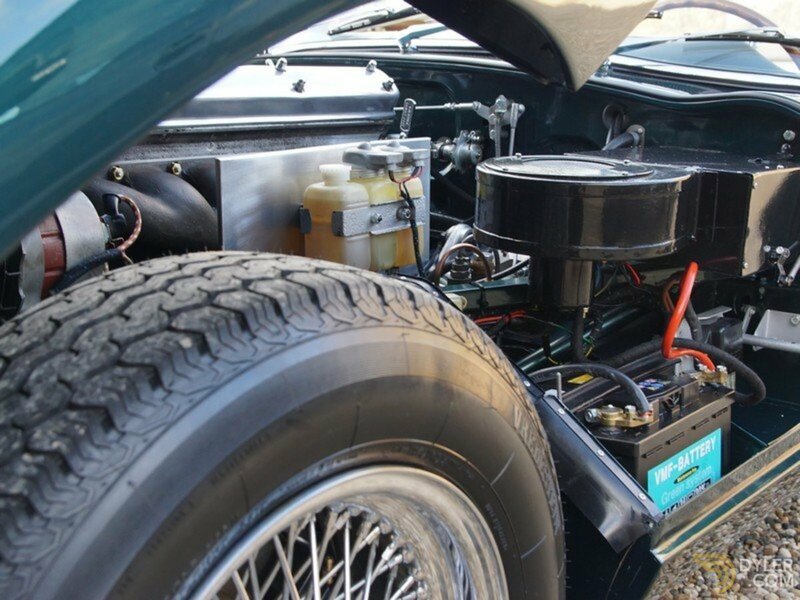 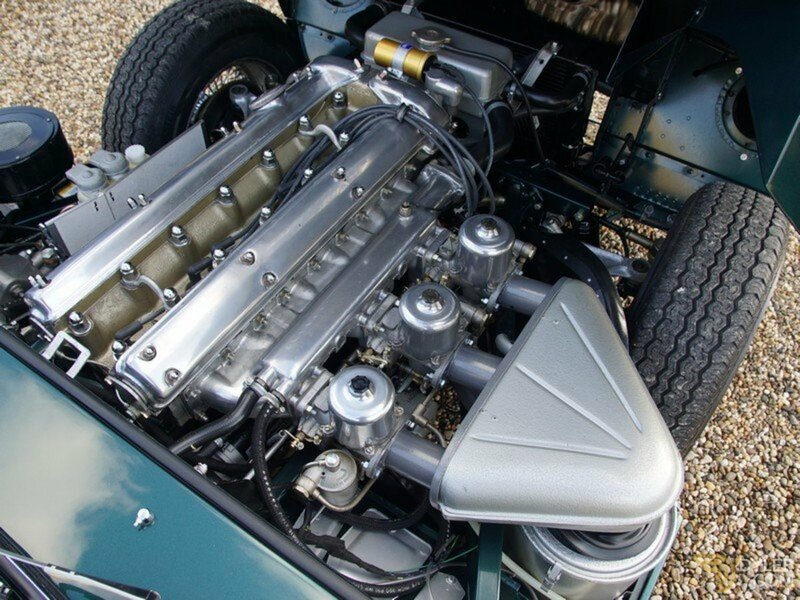 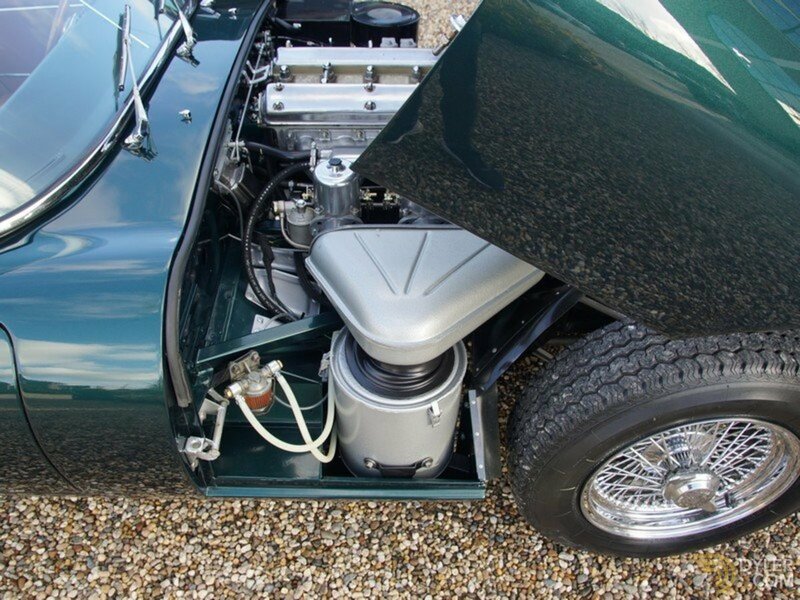 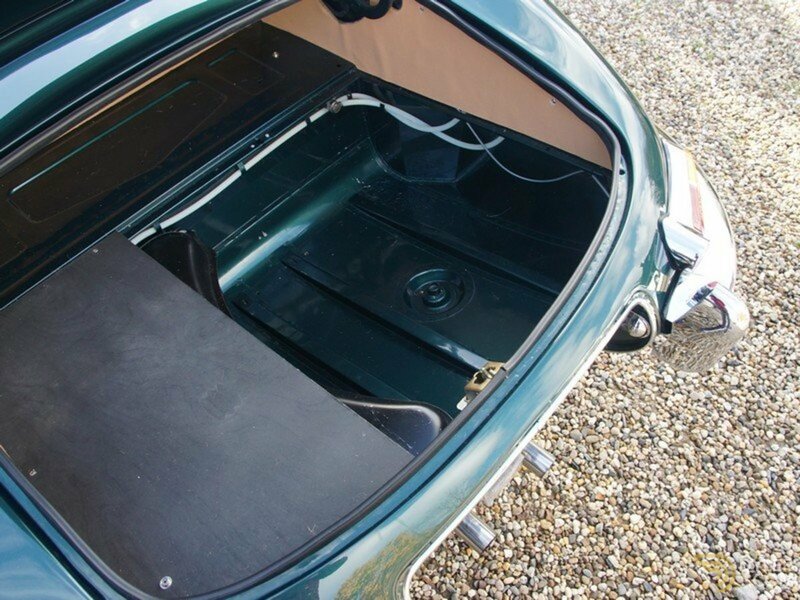 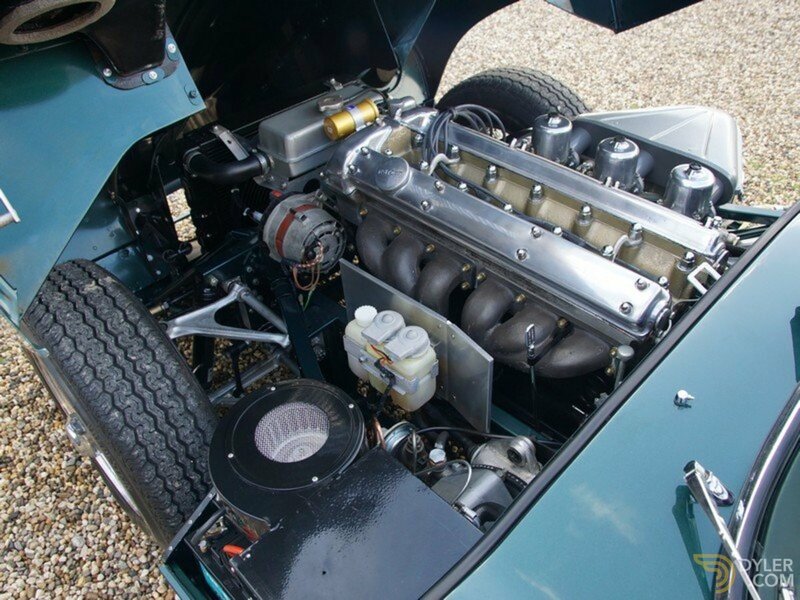 As added extra this E-Type has been fitted with an 1-2-3 ignition system. 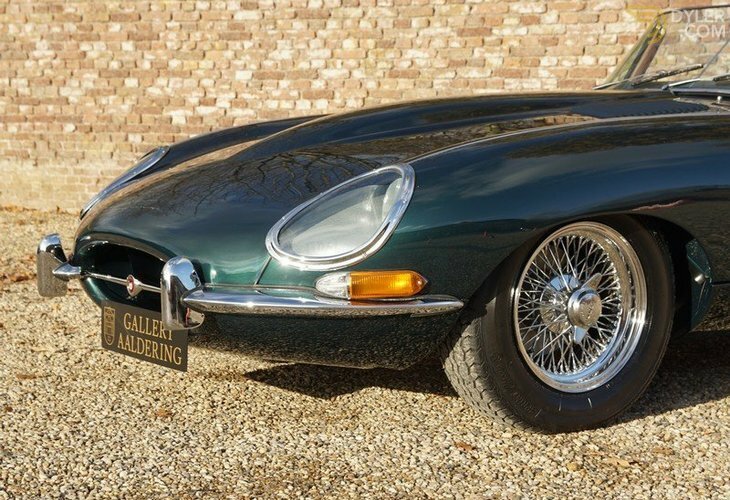 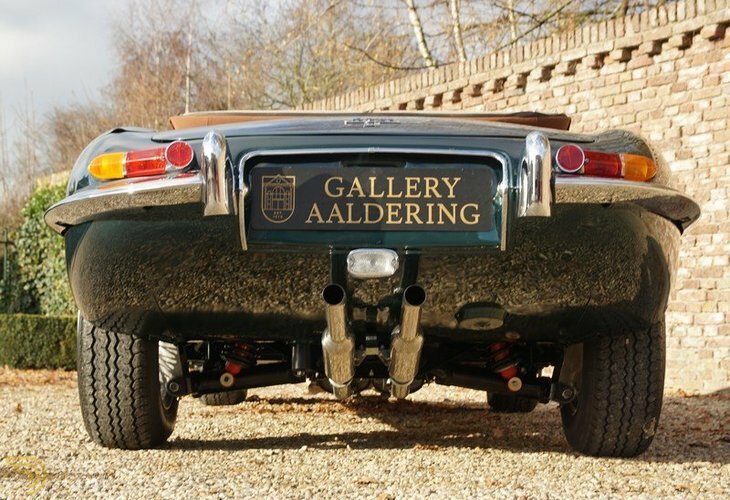 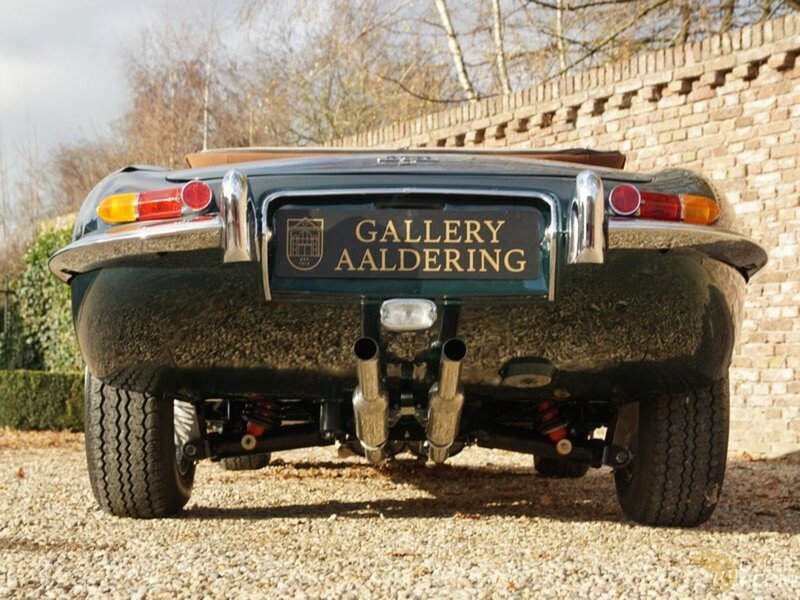 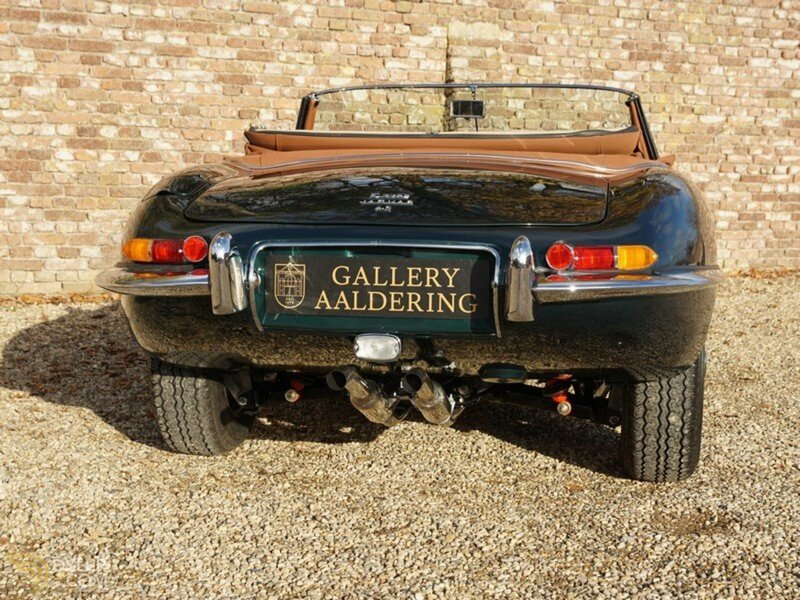 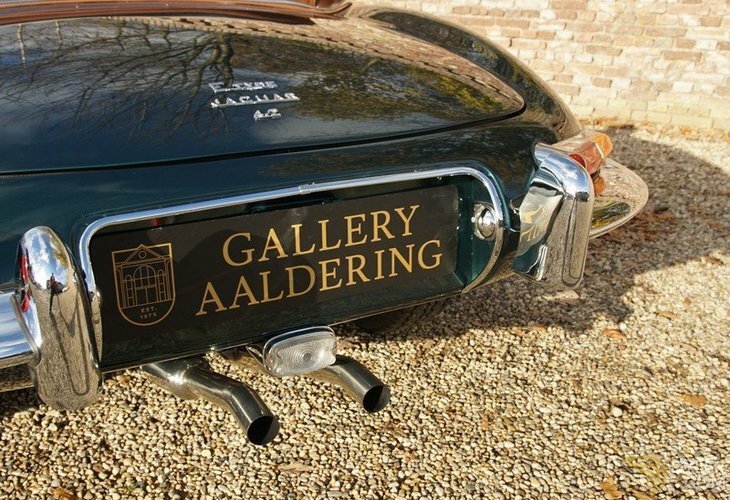 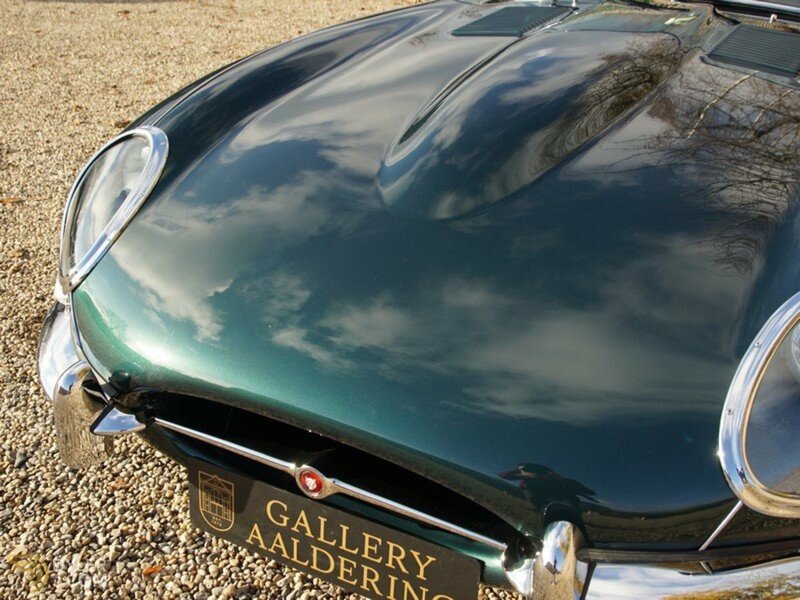 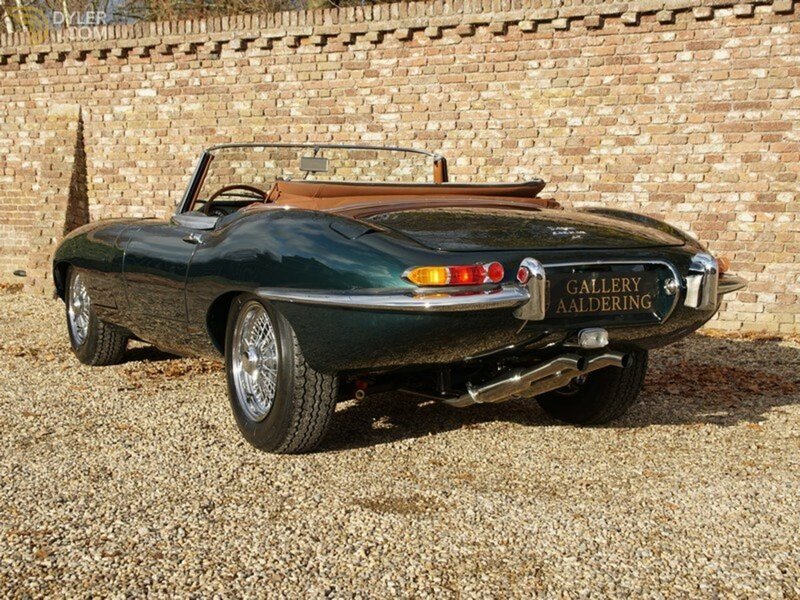 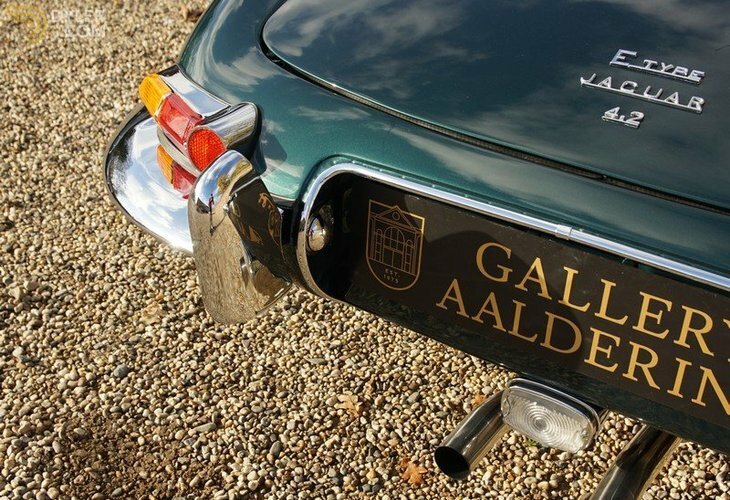 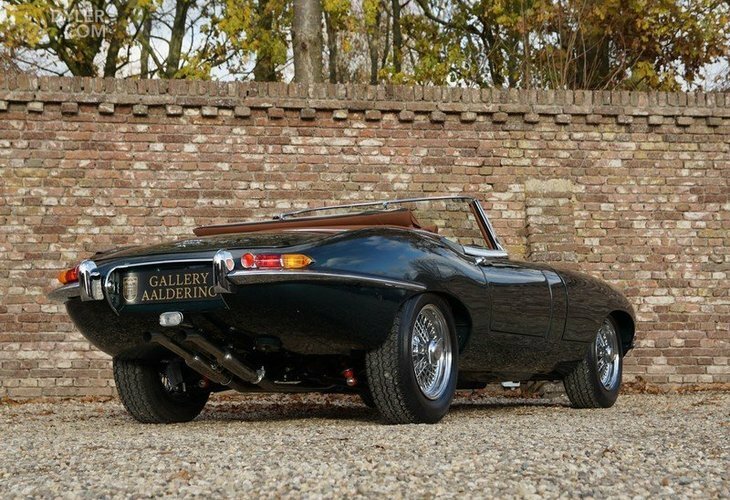 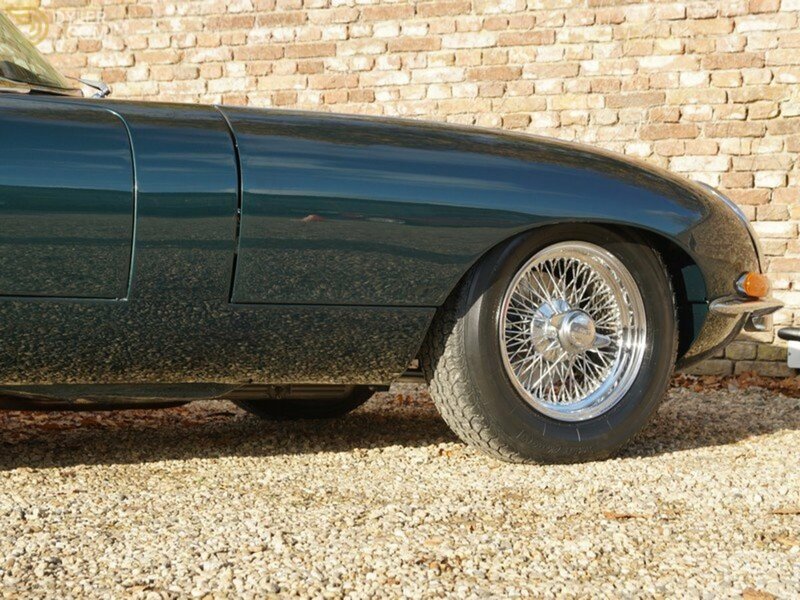 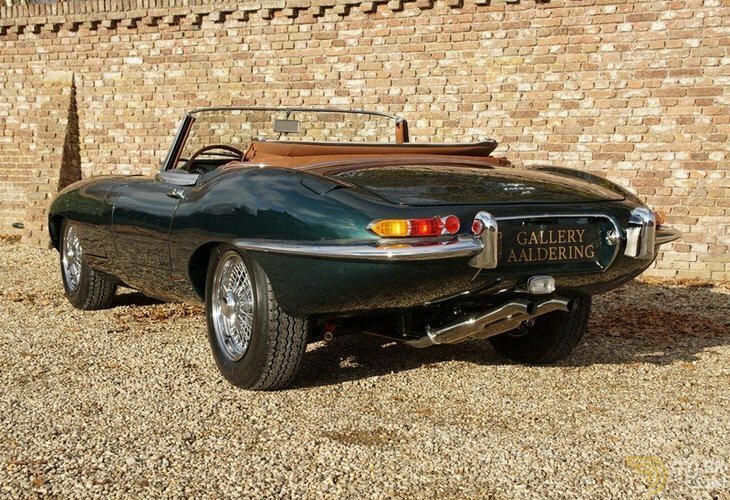 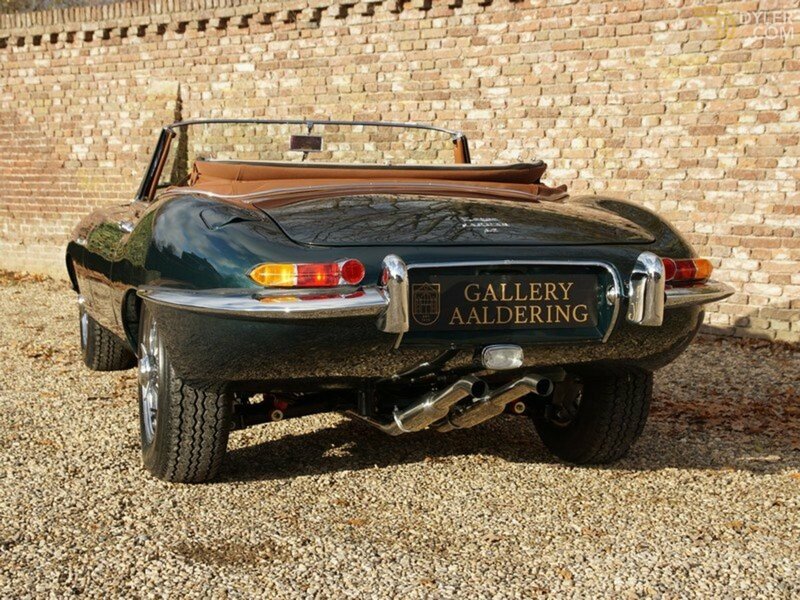 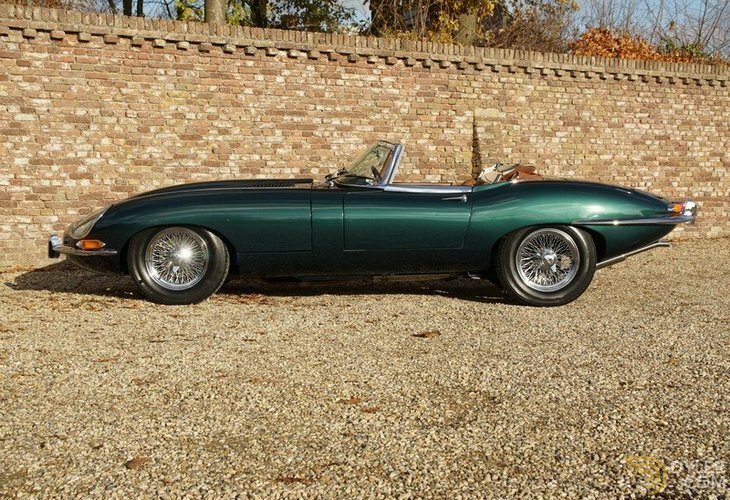 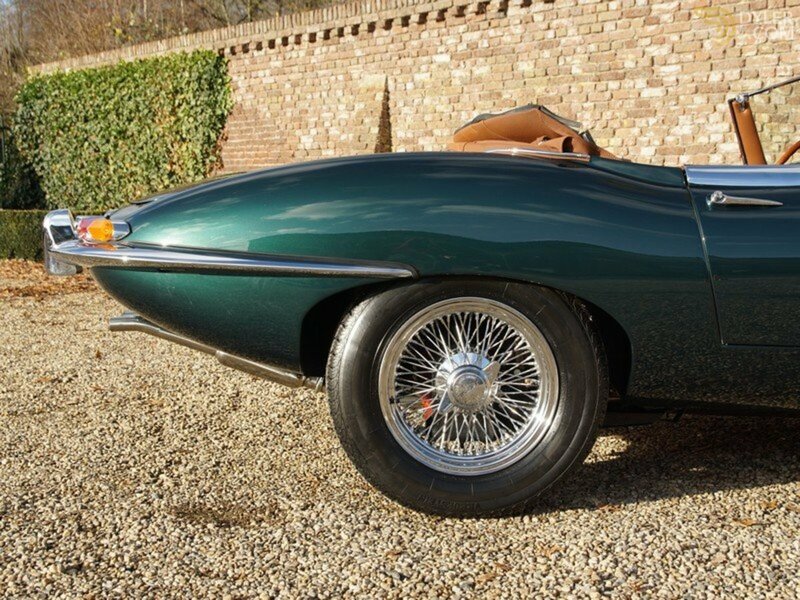 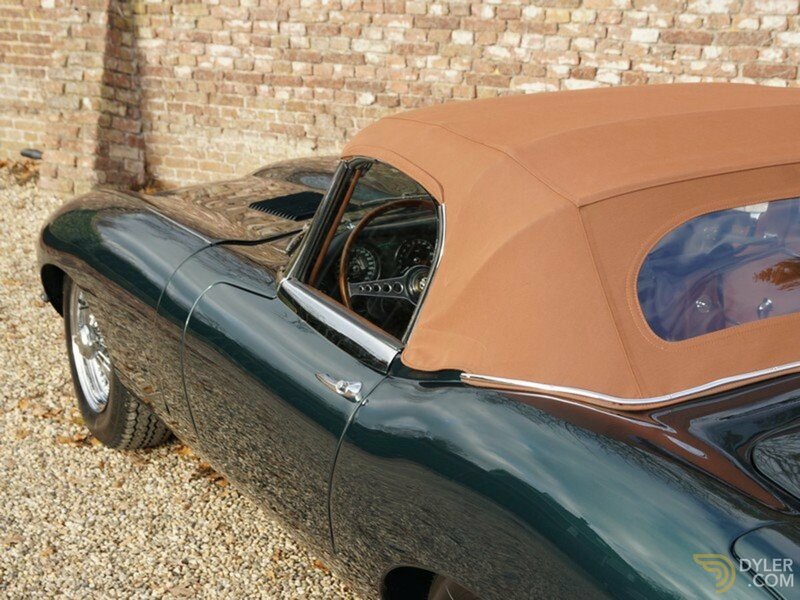 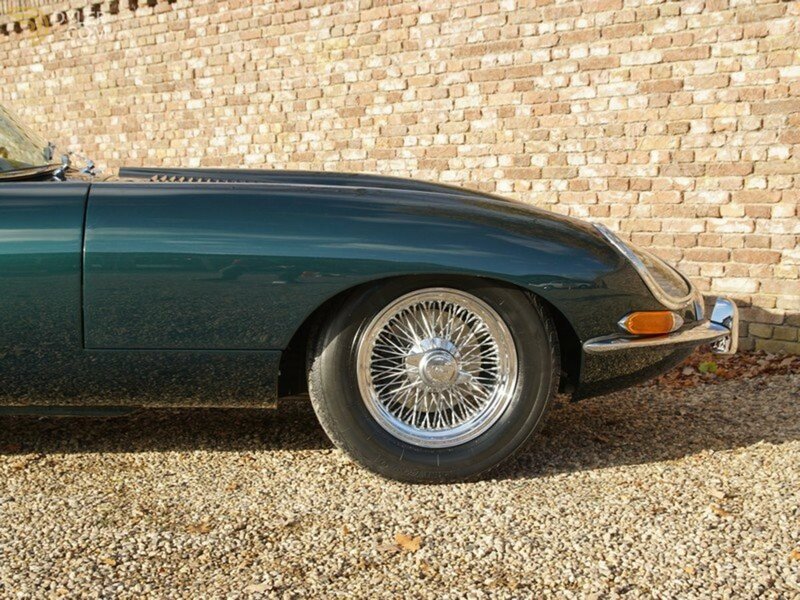 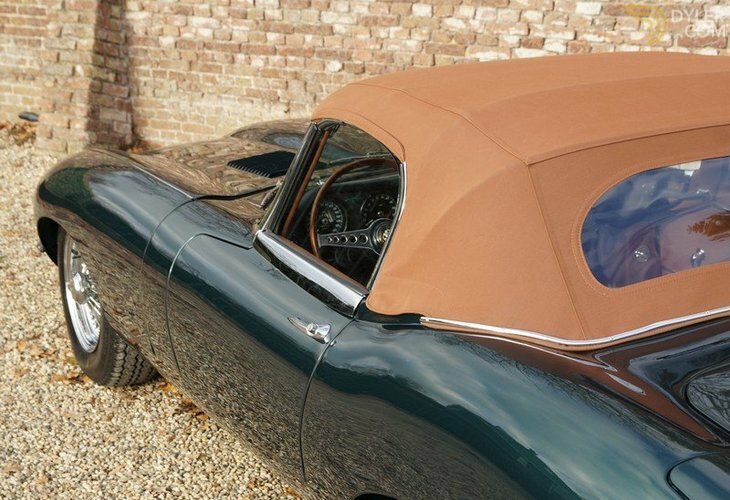 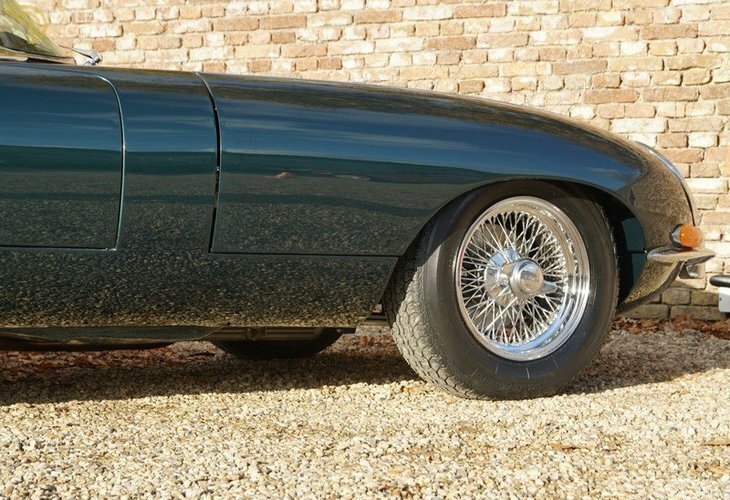 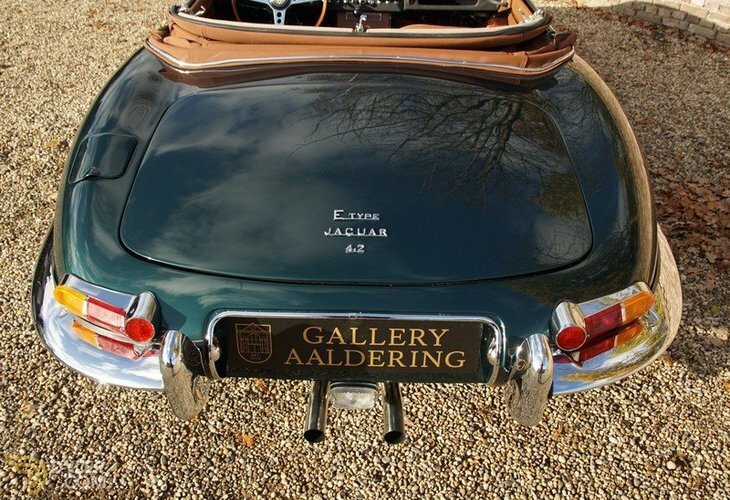 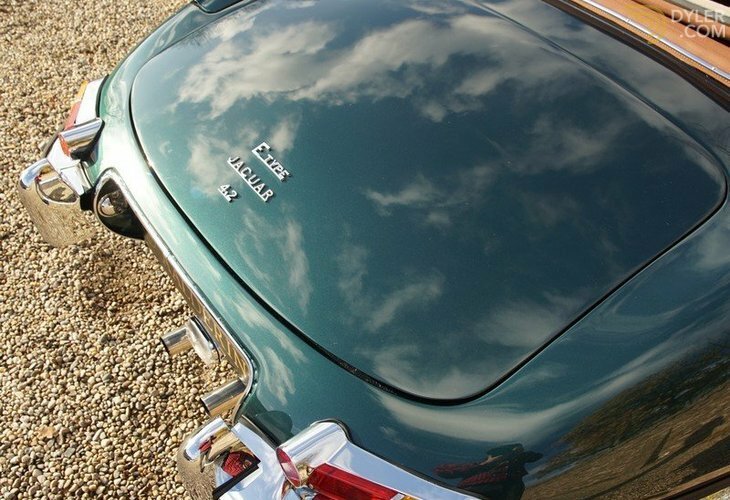 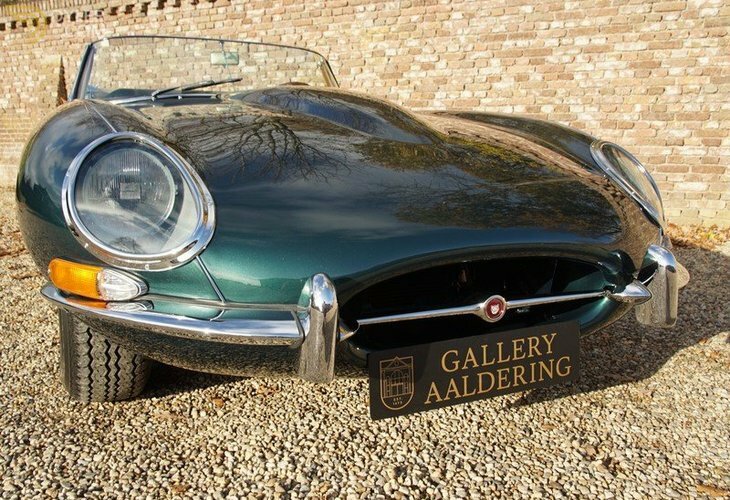 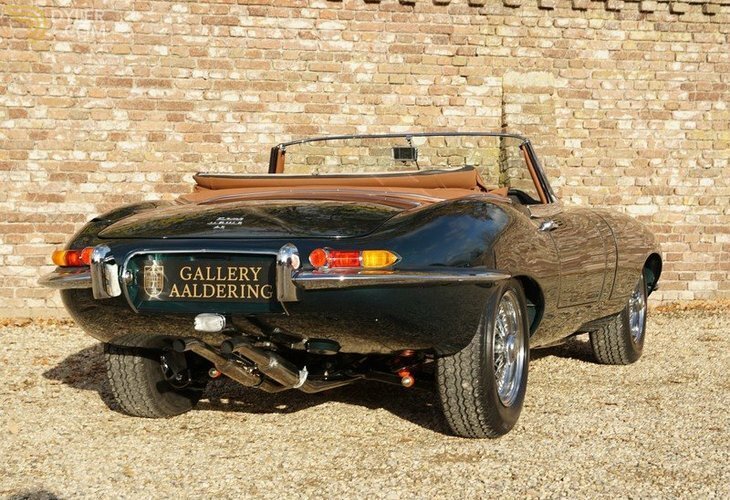 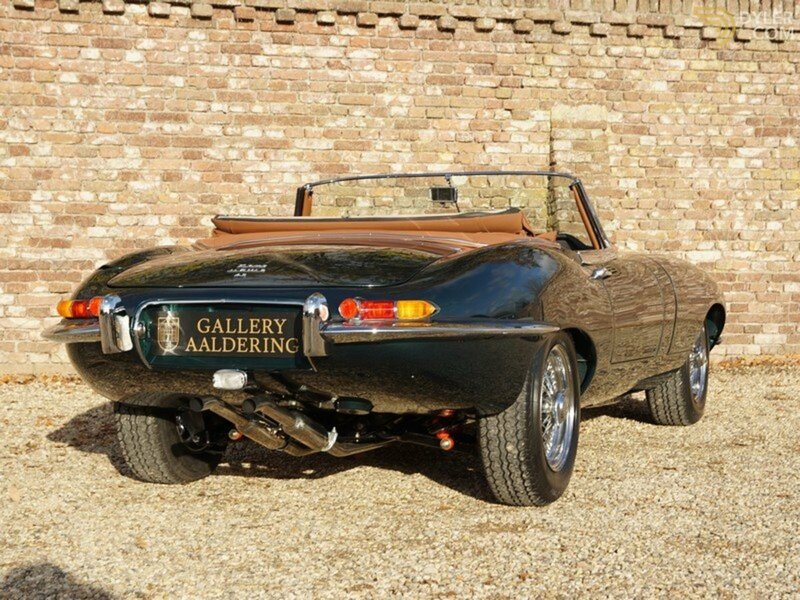 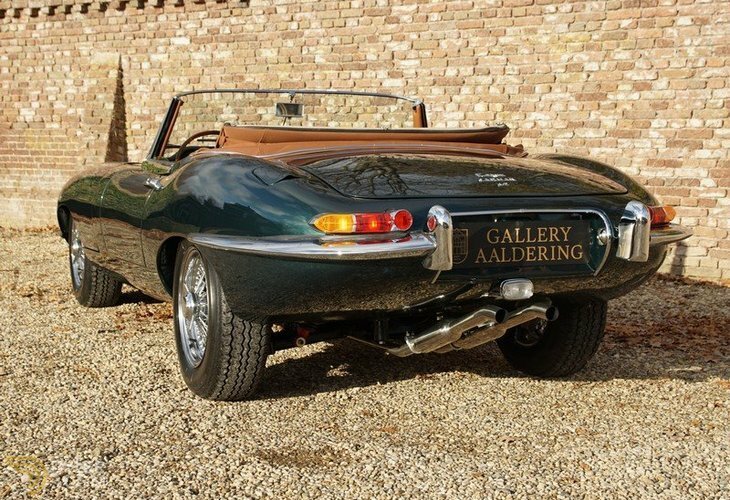 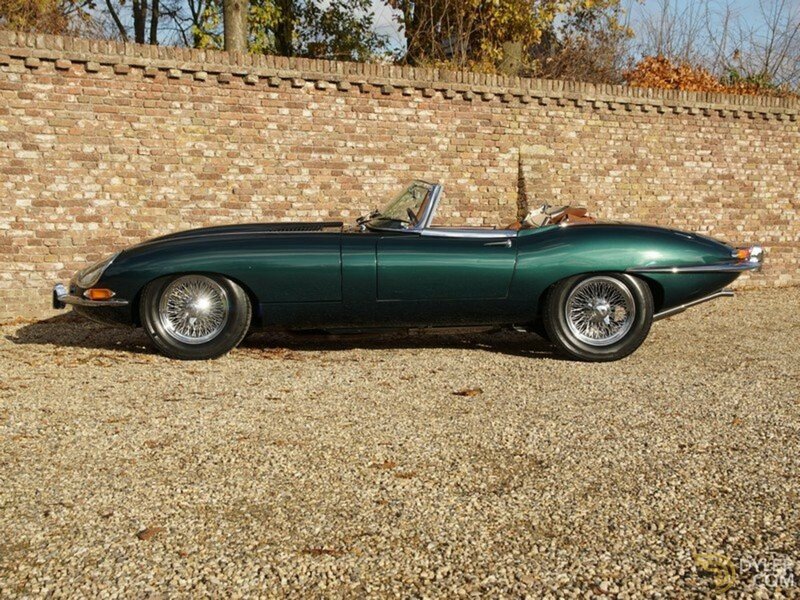 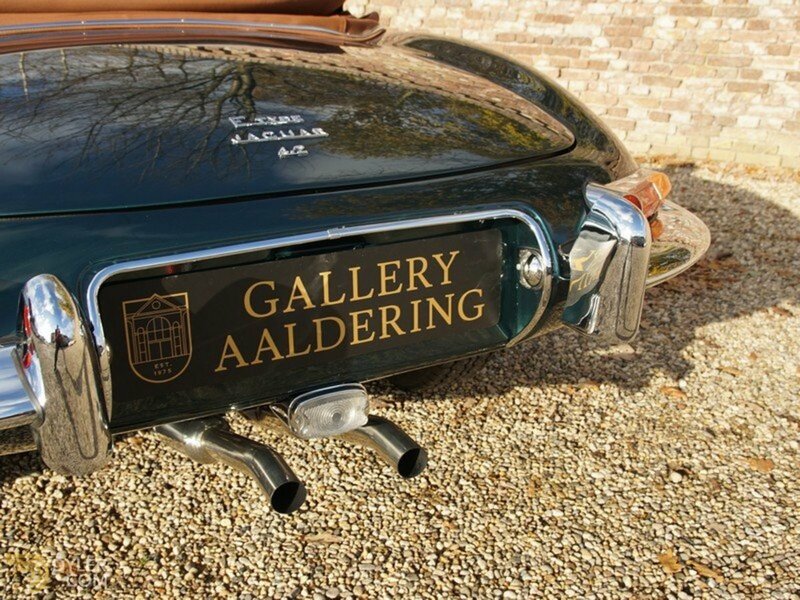 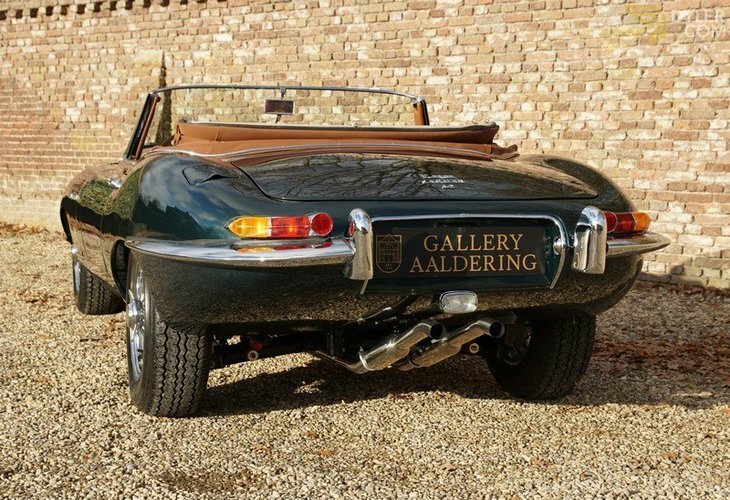 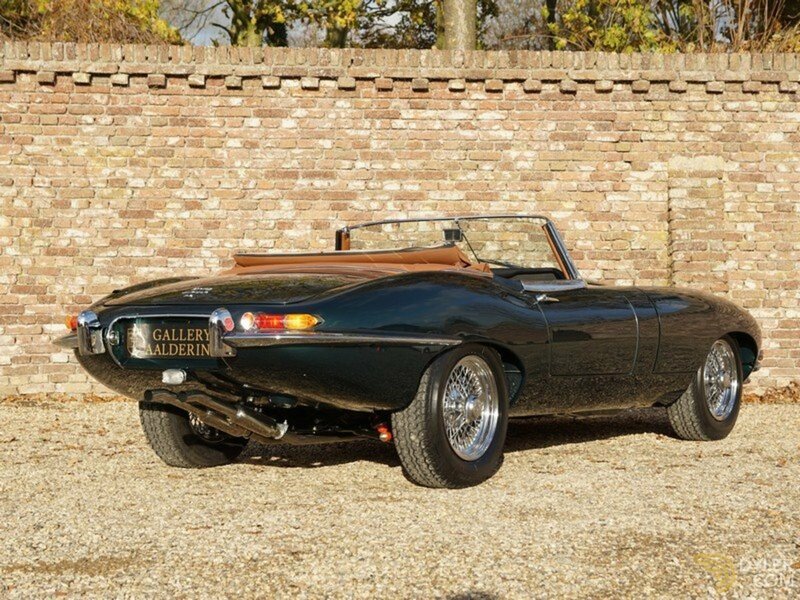 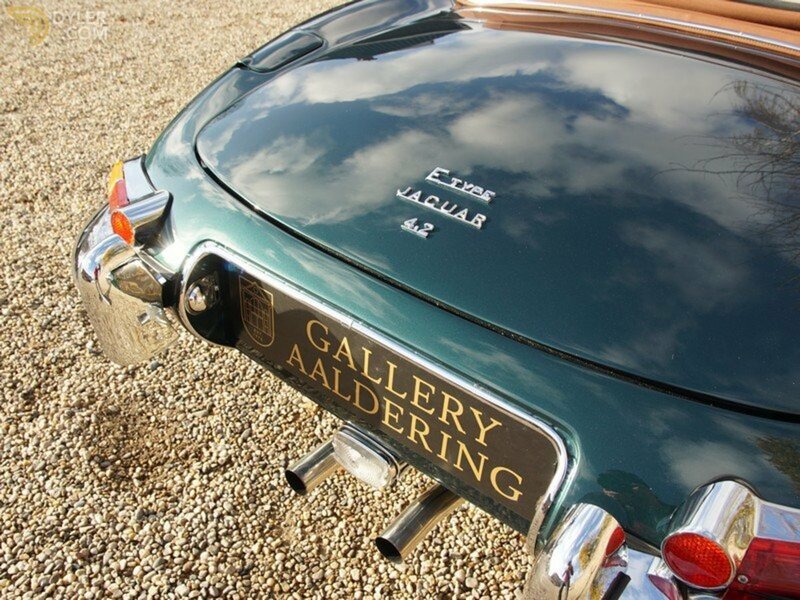 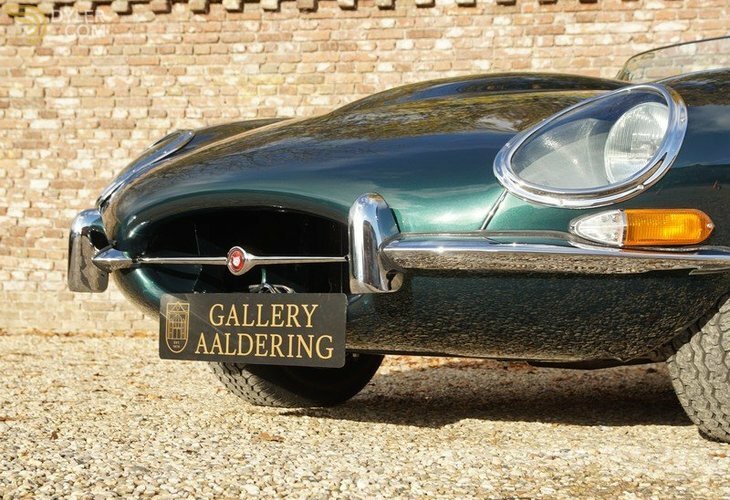 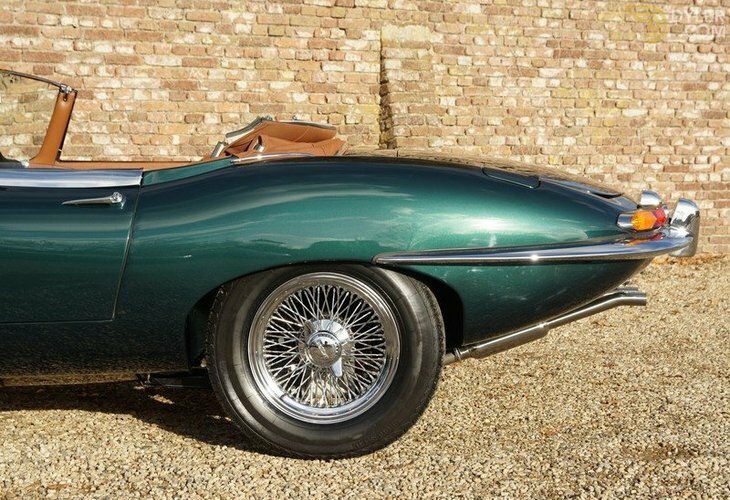 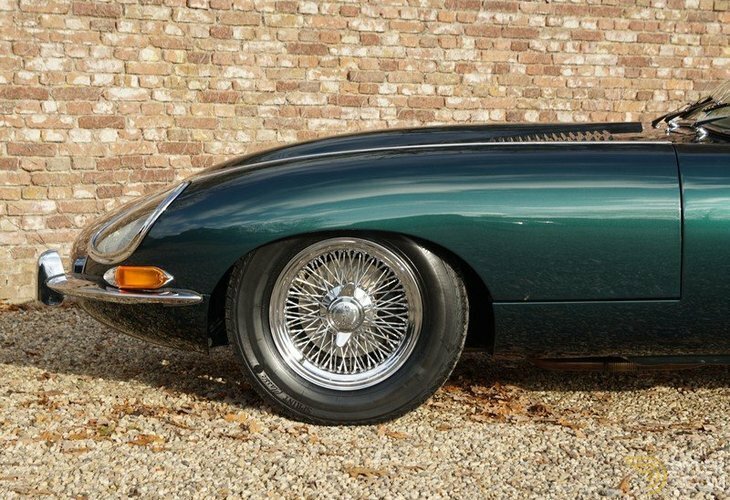 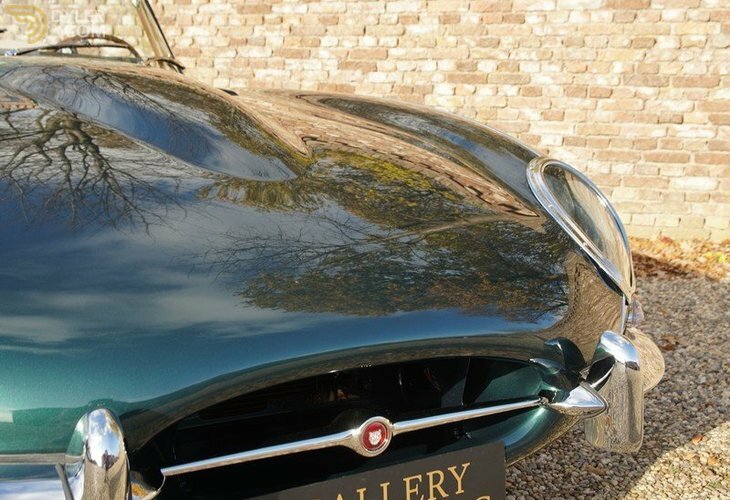 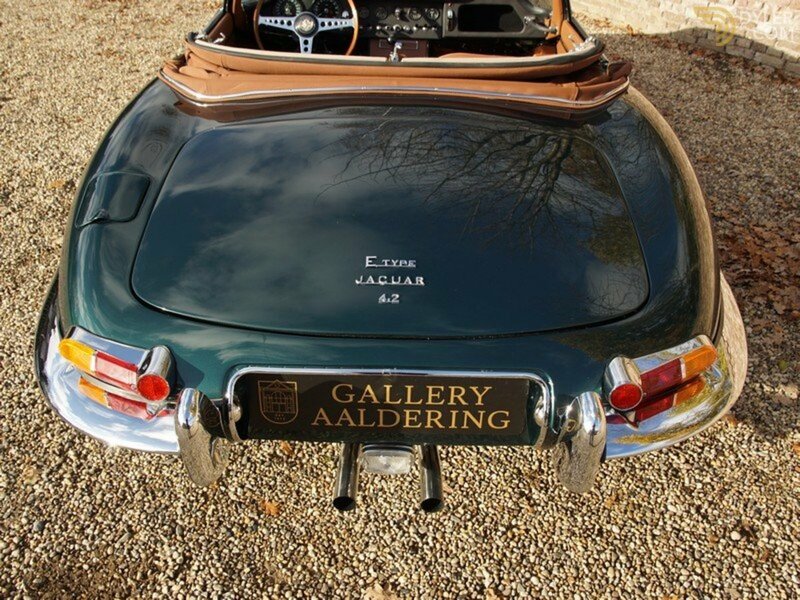 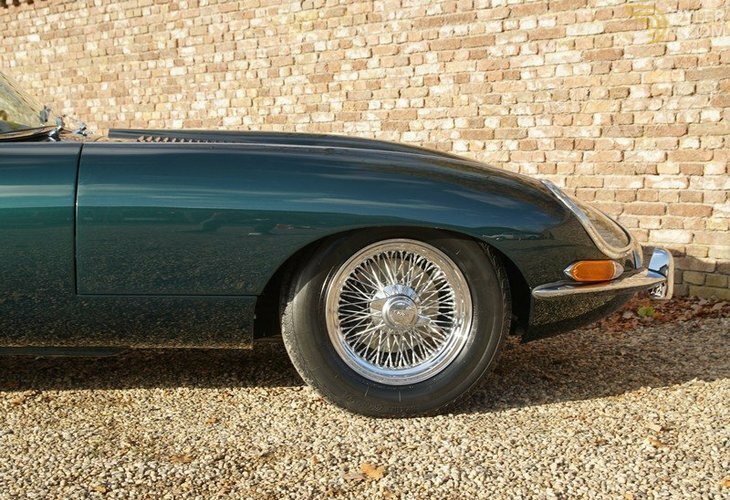 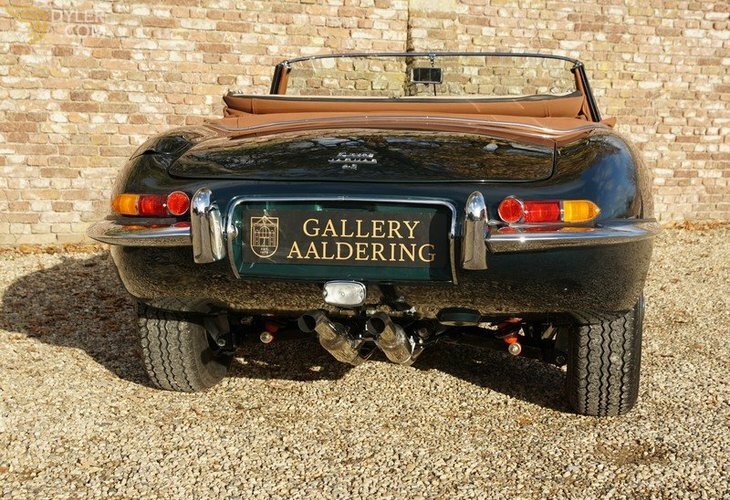 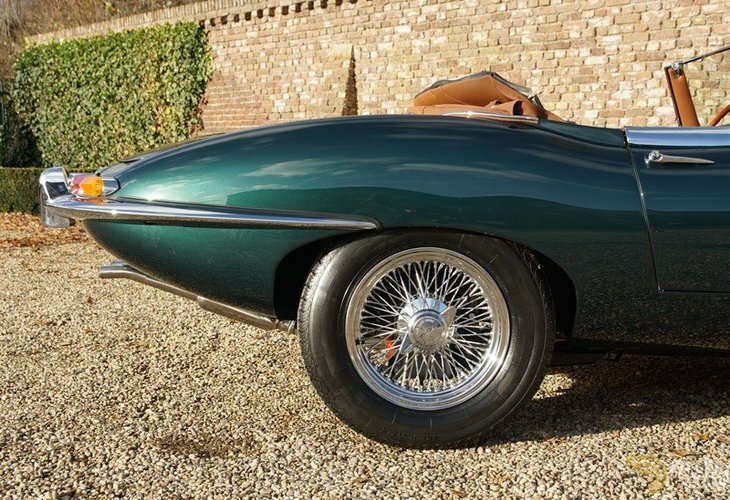 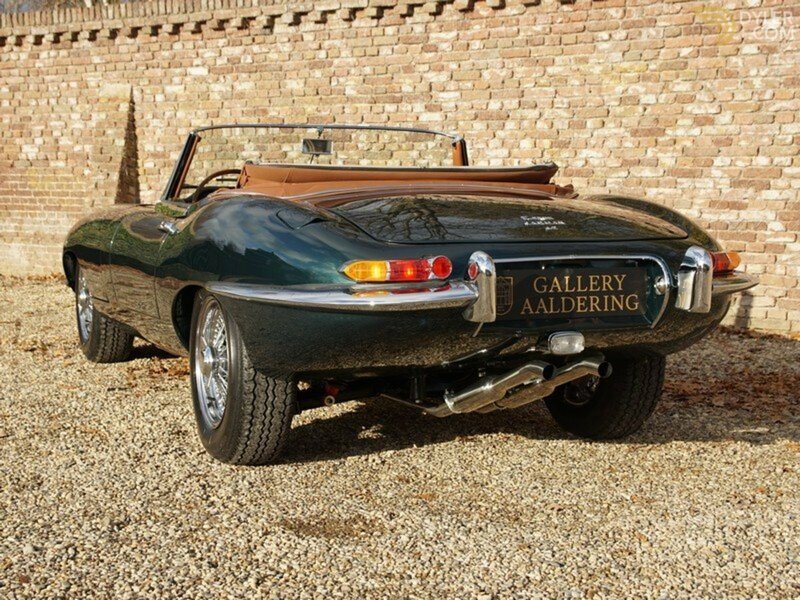 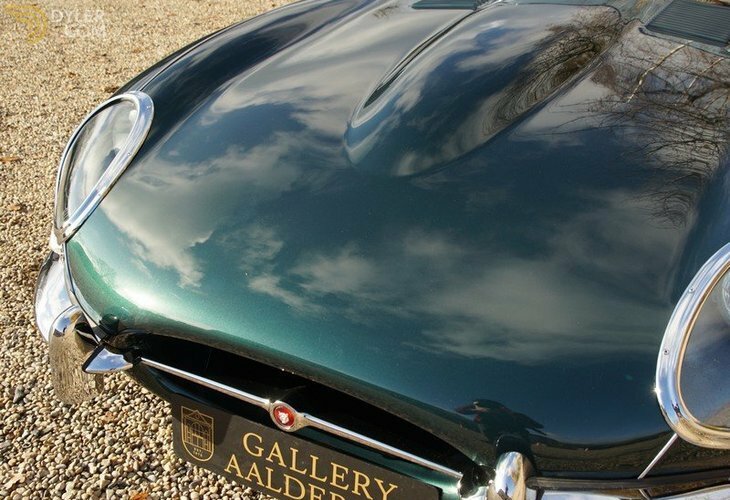 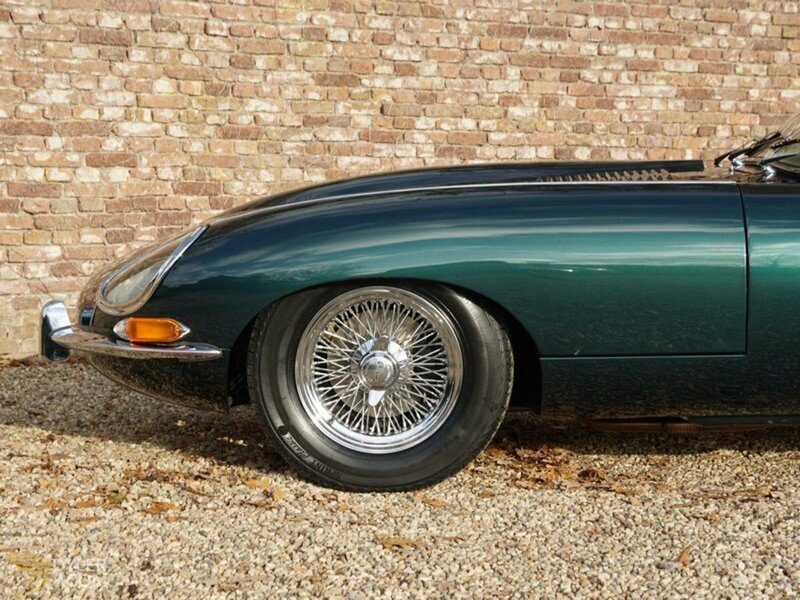 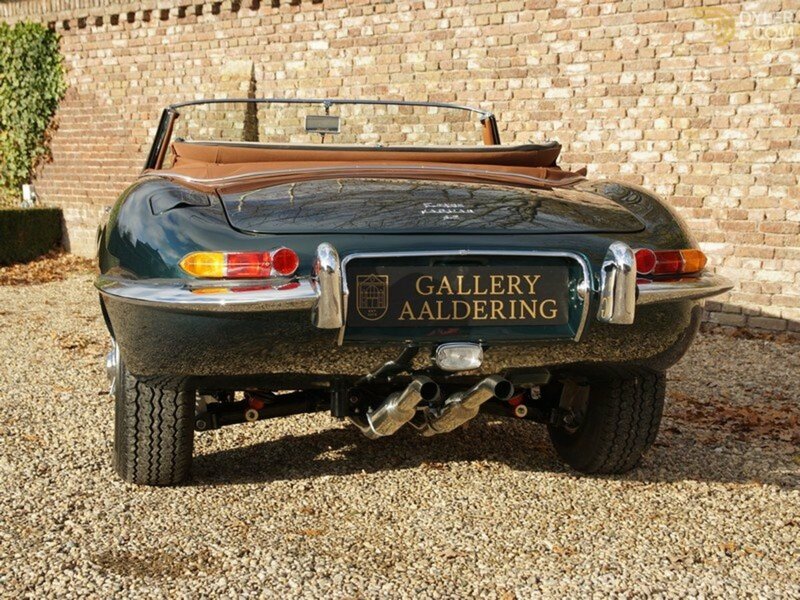 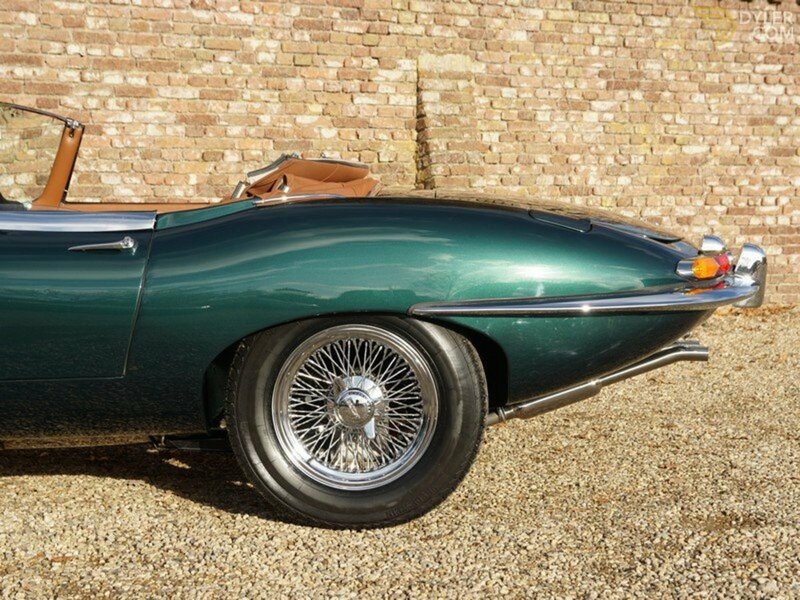 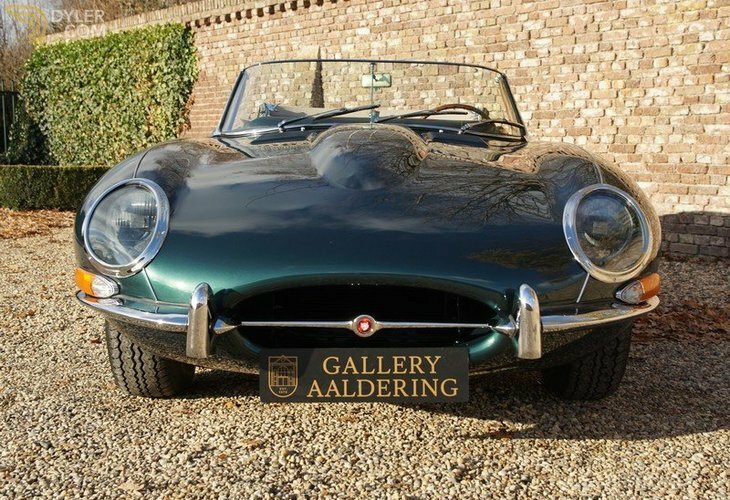 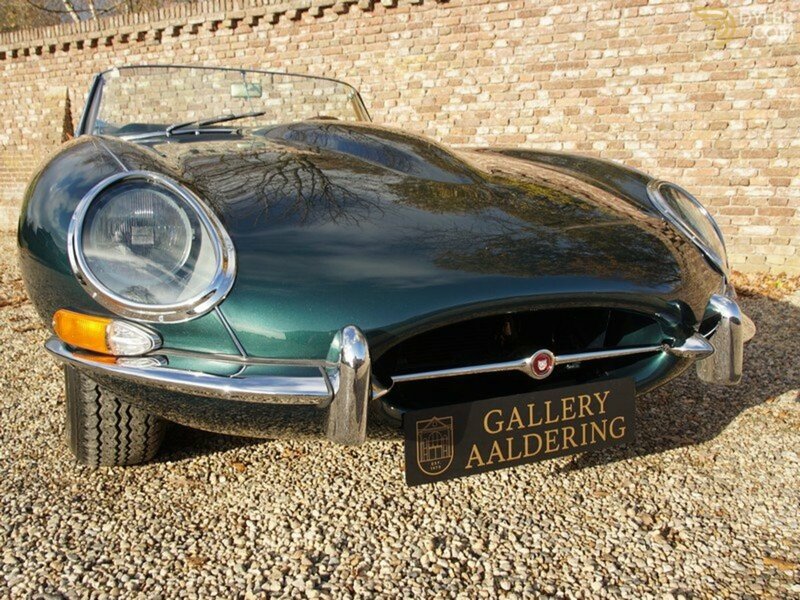 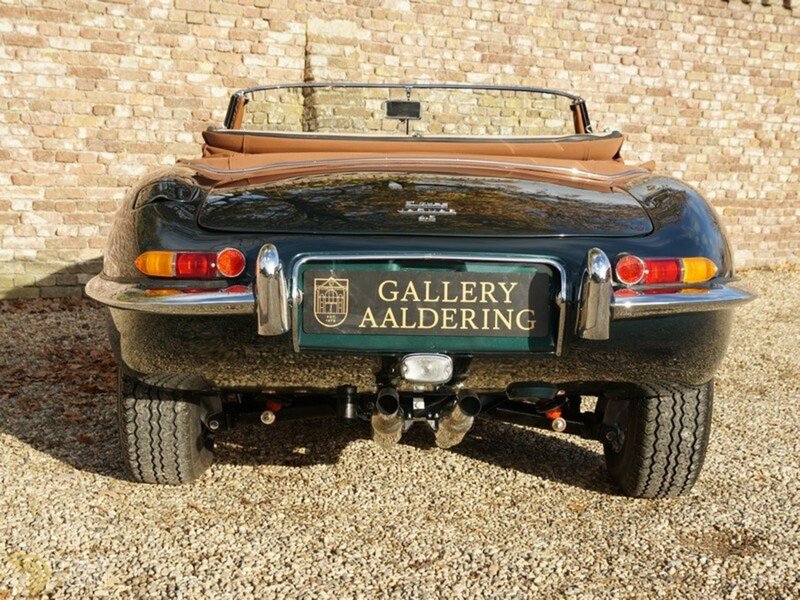 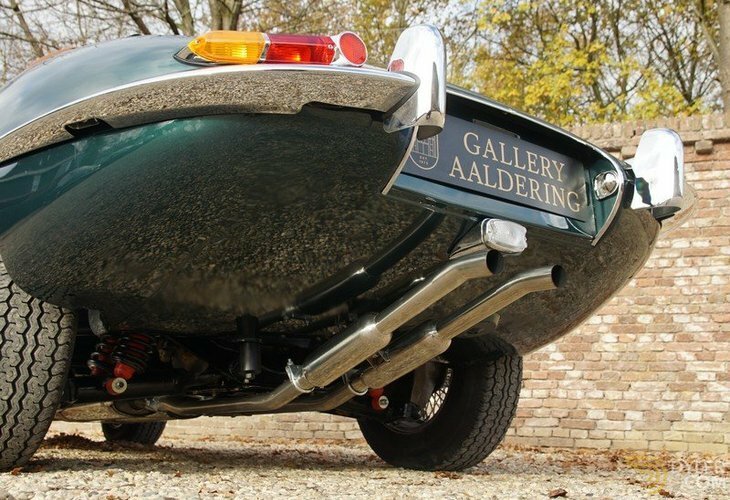 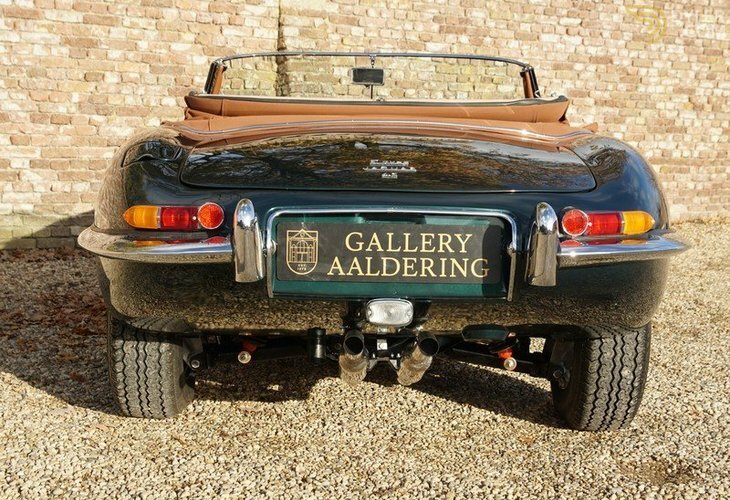 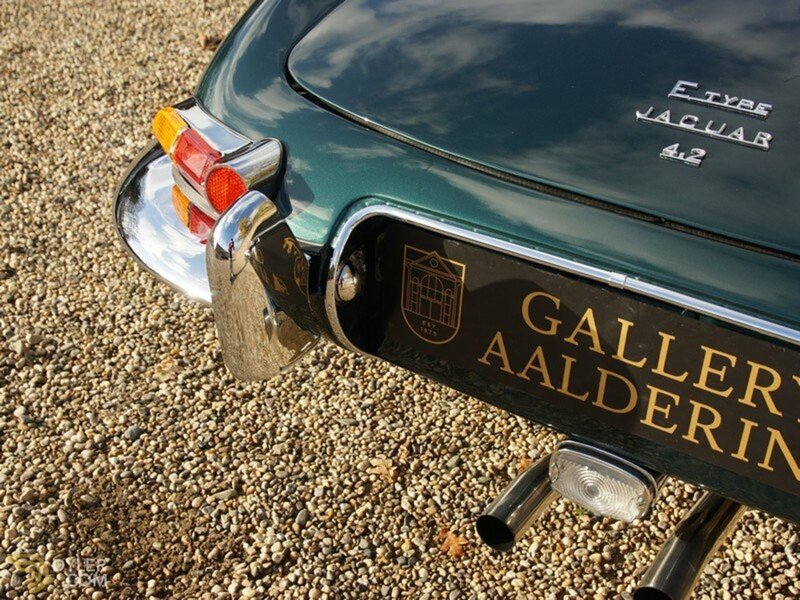 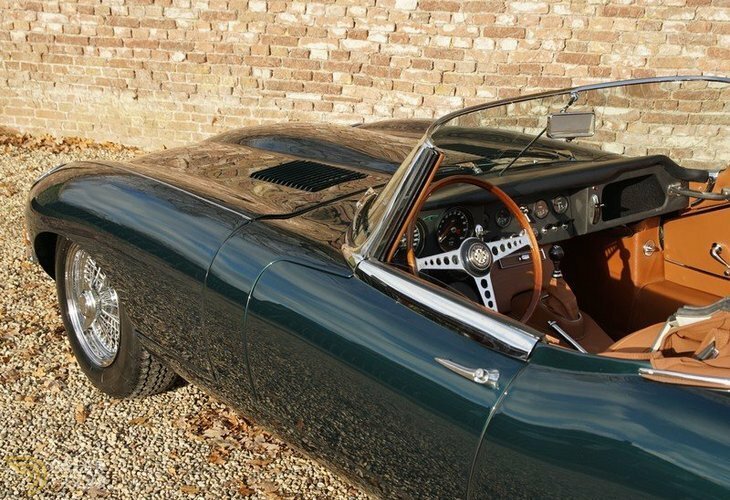 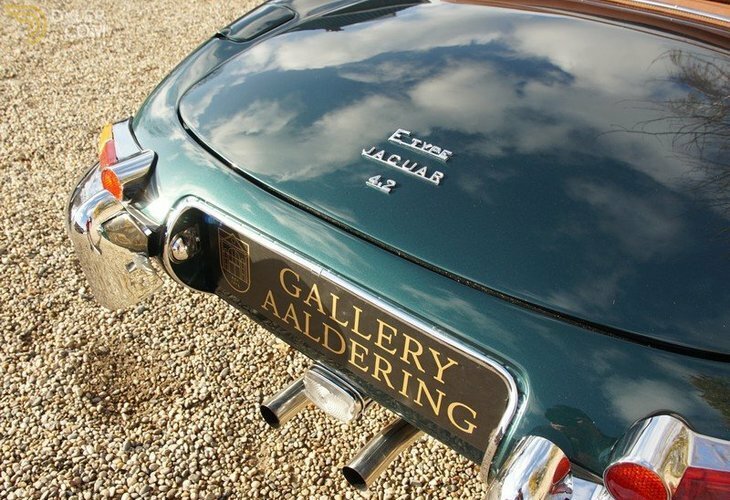 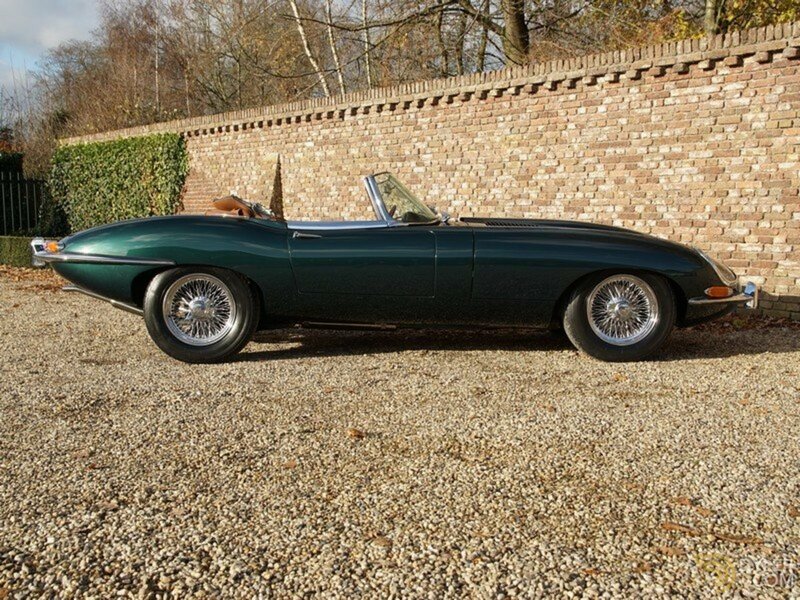 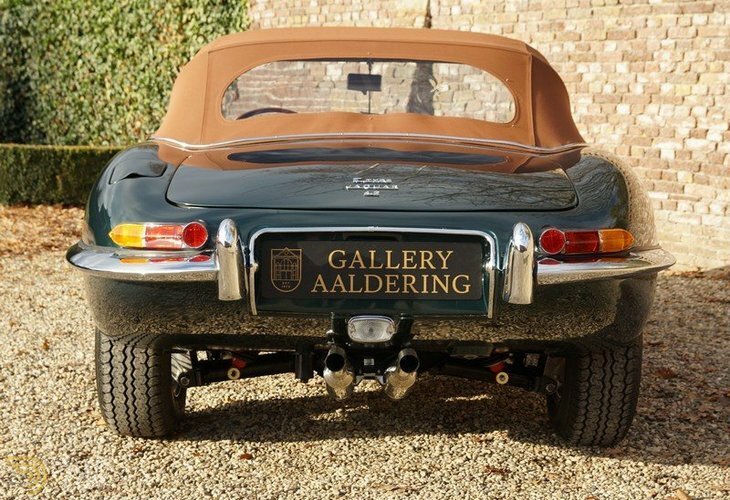 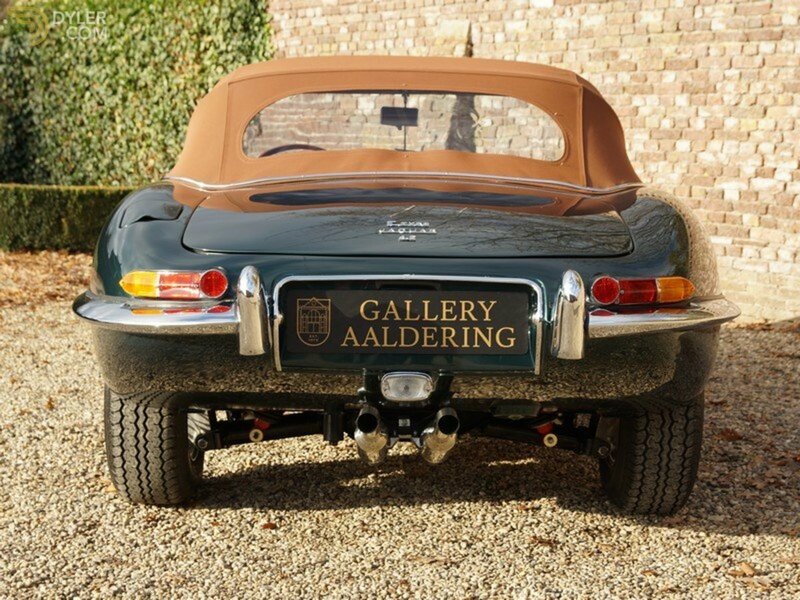 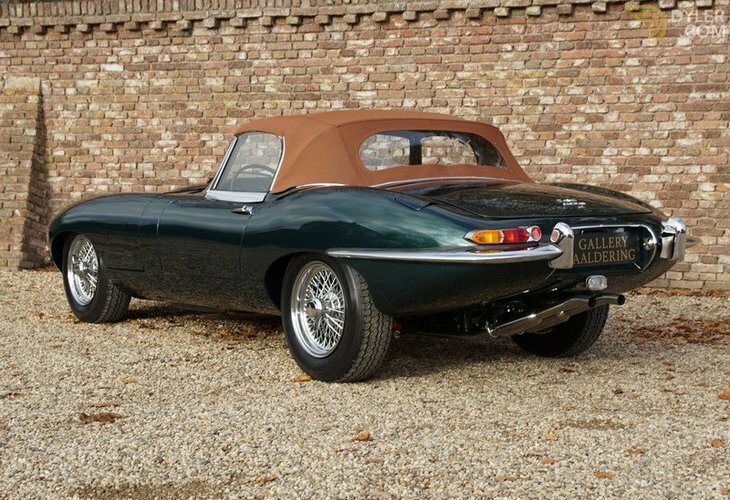 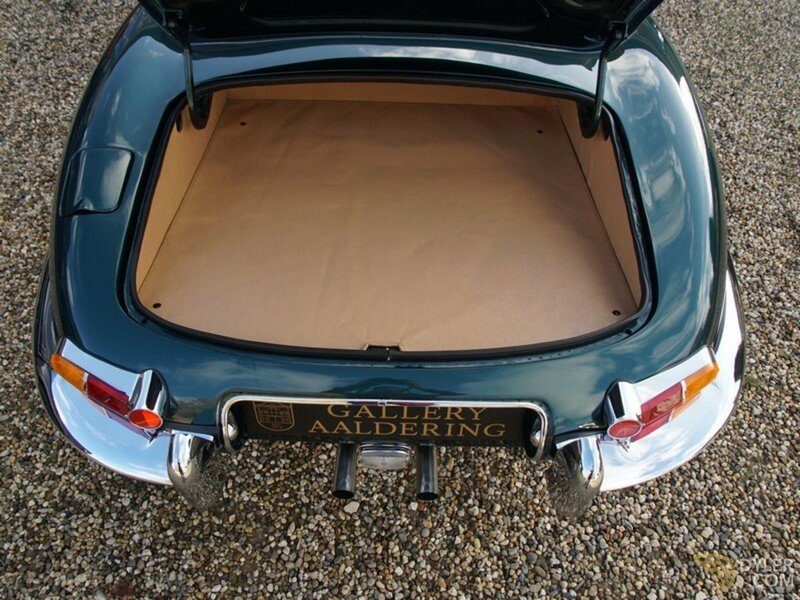 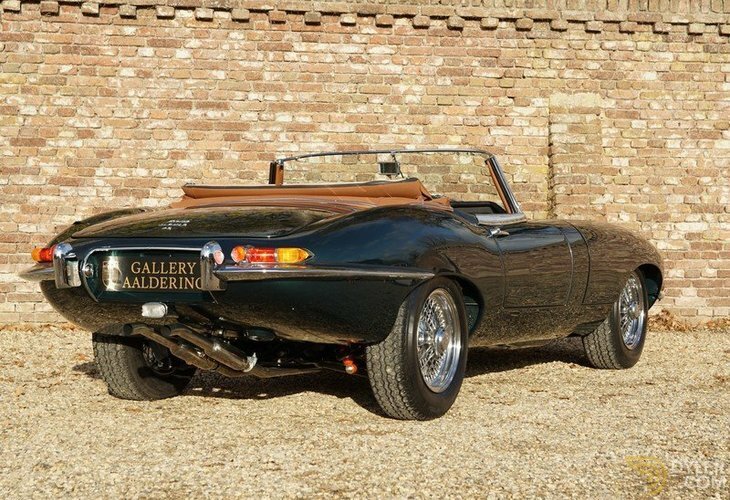 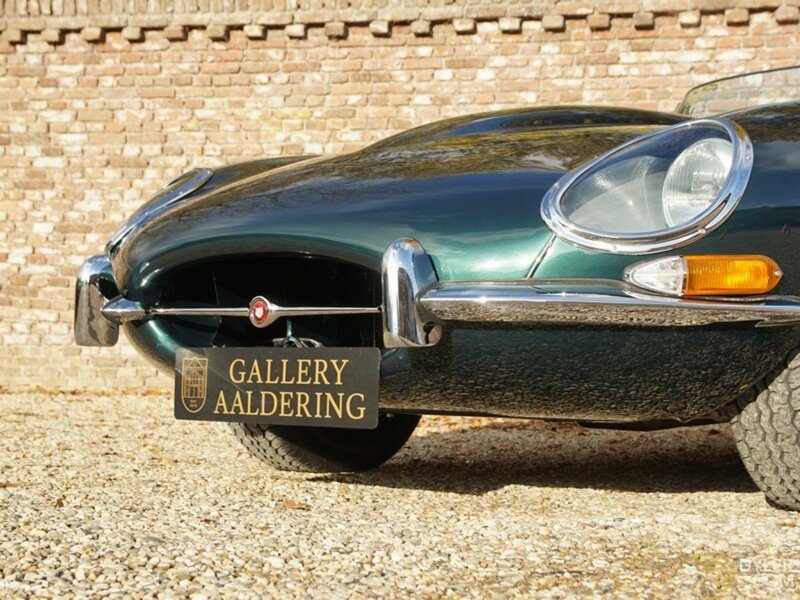 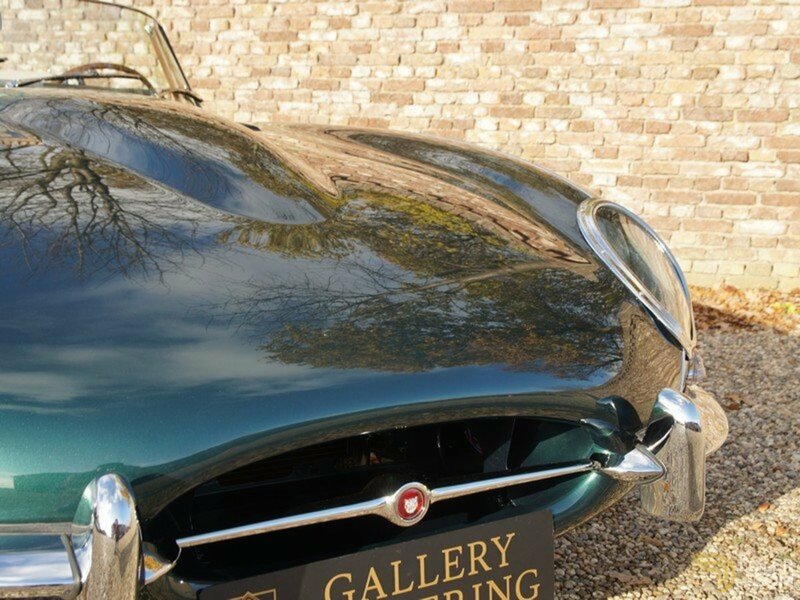 A simply beautiful E-Type finished in a stunning colour scheme!